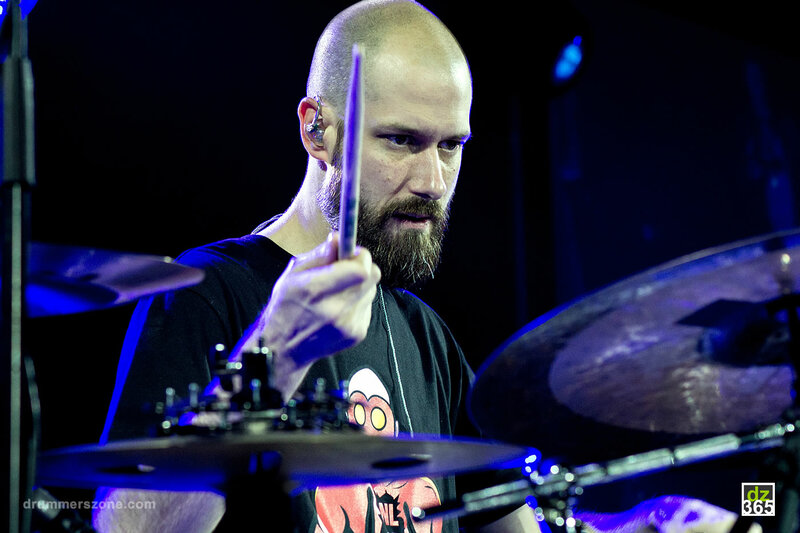 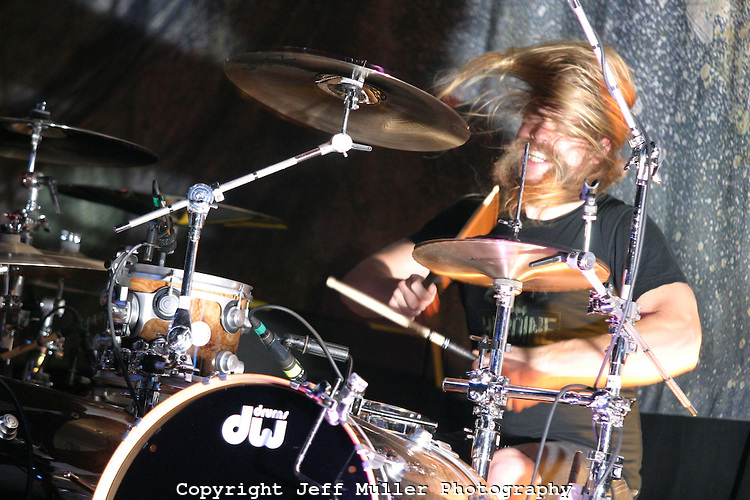 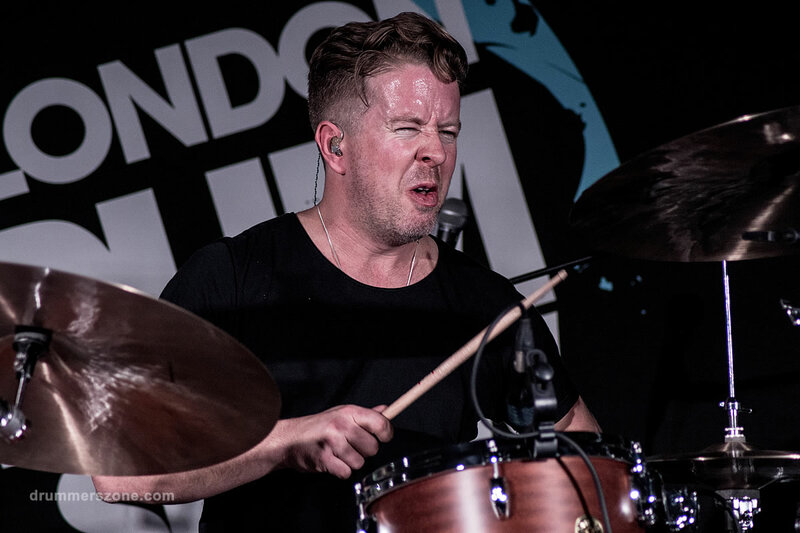 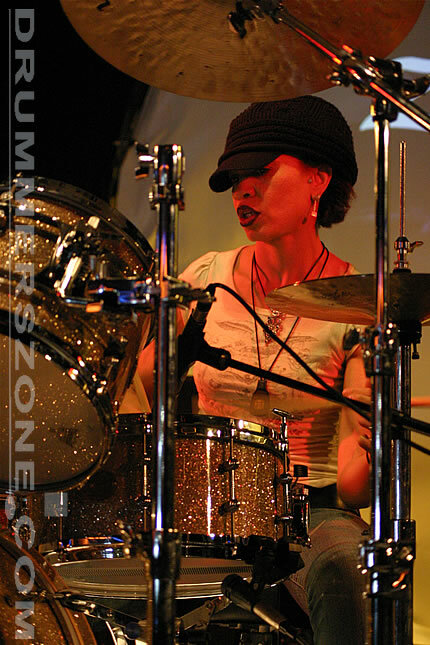 Cindy's clinic at the Adams Drumworld Festival. 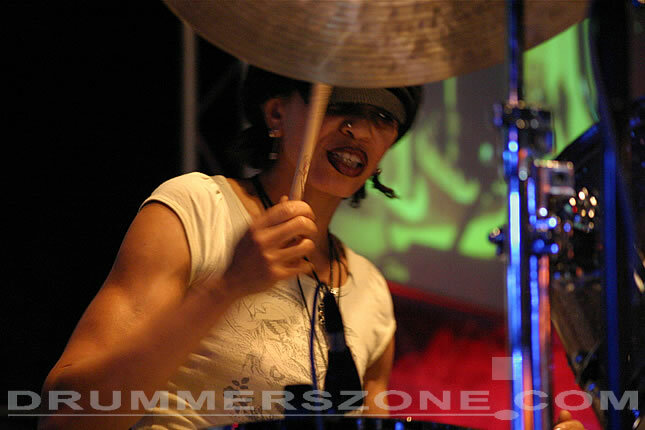 Cindy Blackman clinic at Adams Drummerfestival 2009, Belgium. 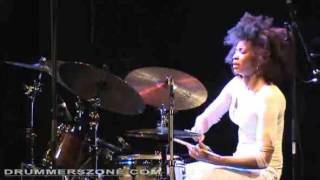 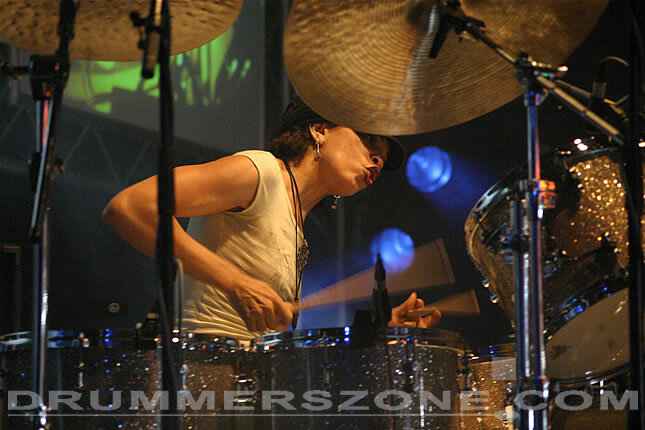 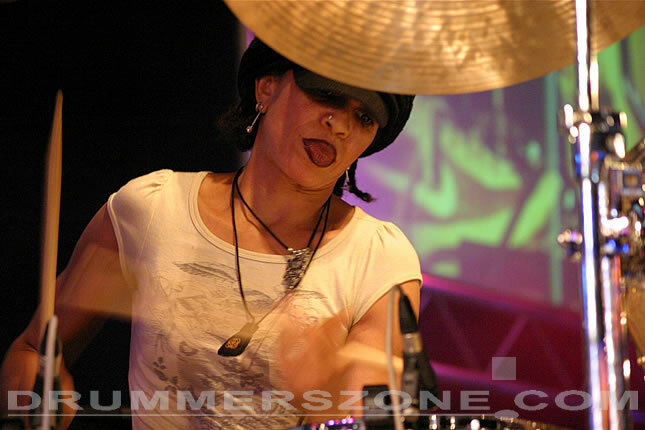 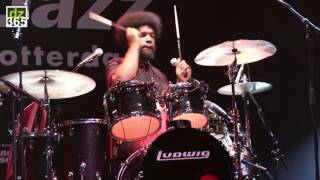 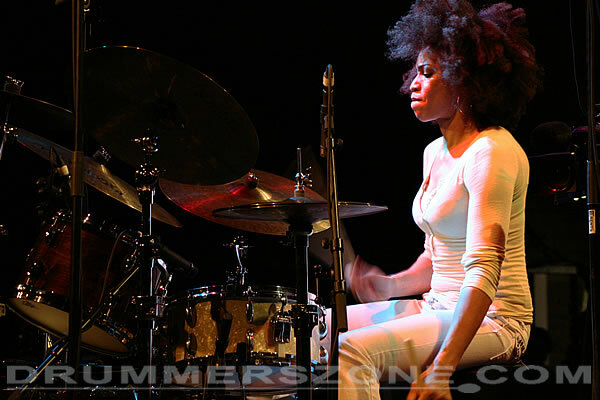 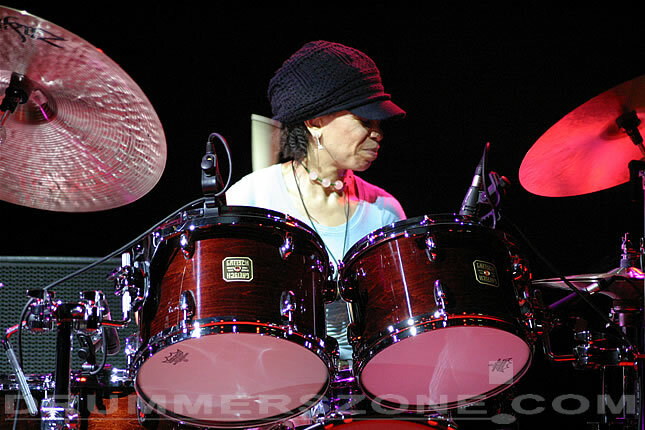 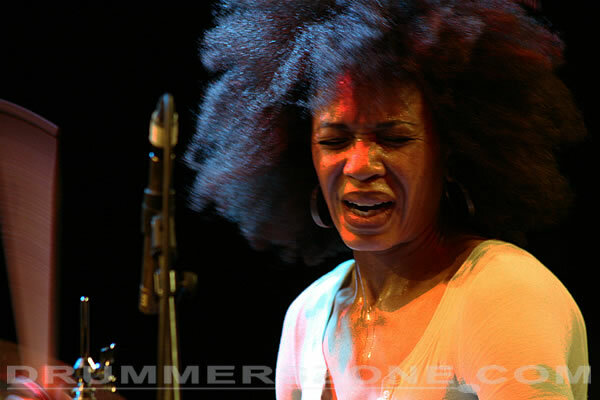 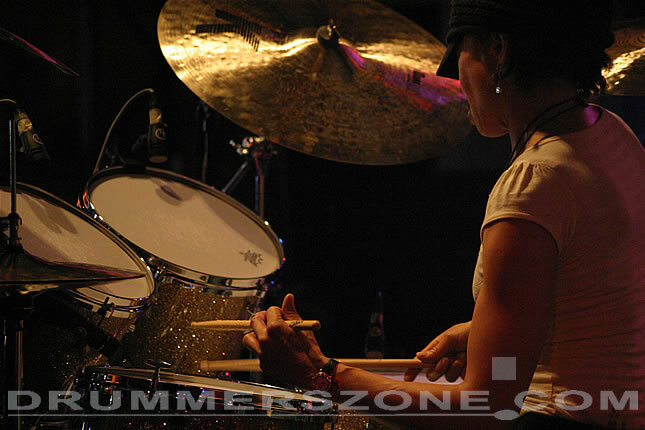 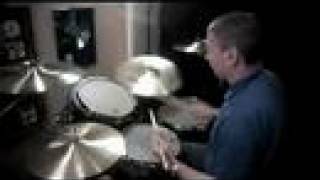 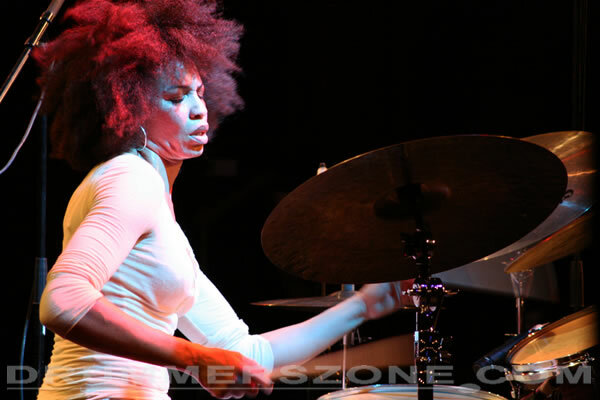 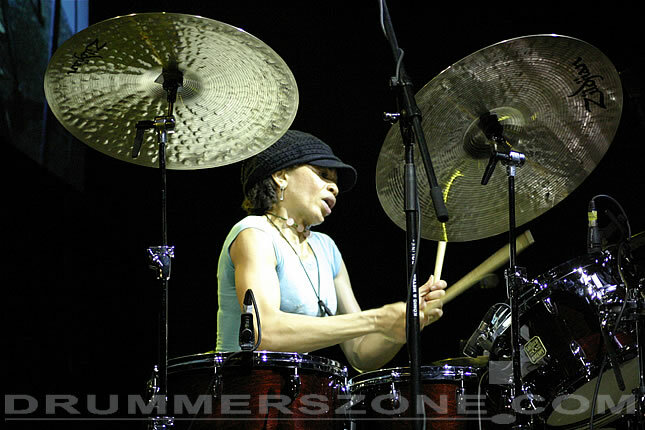 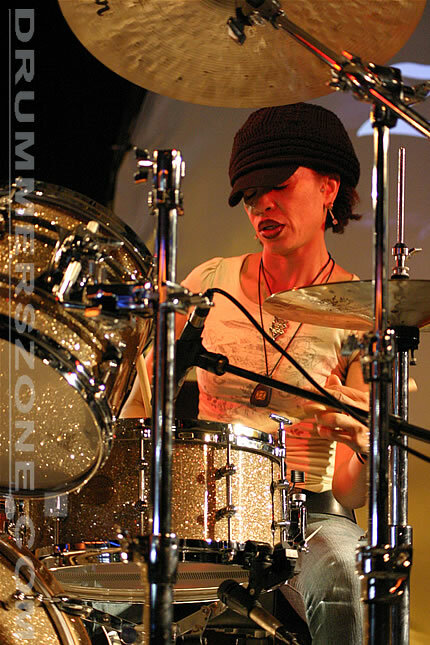 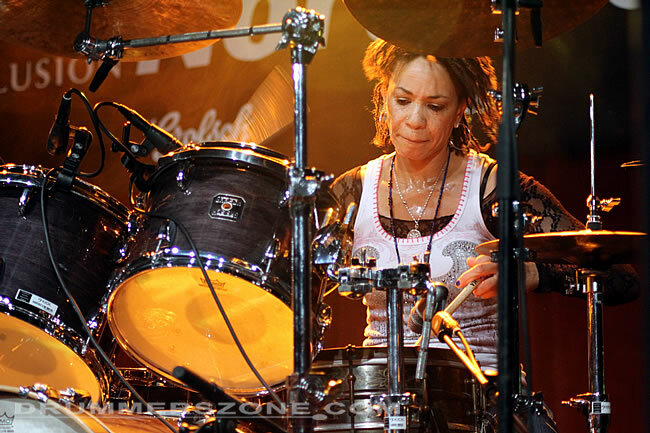 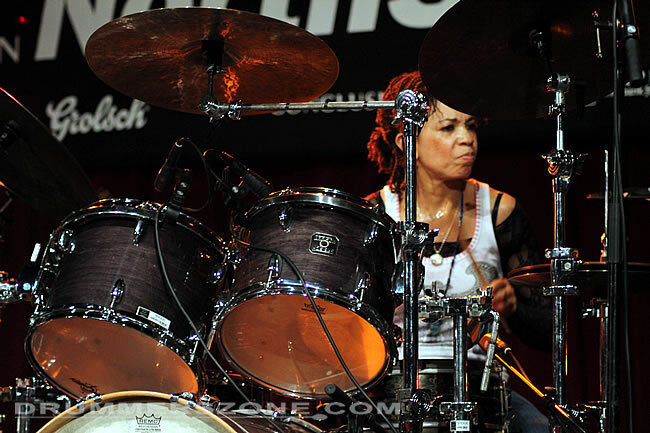 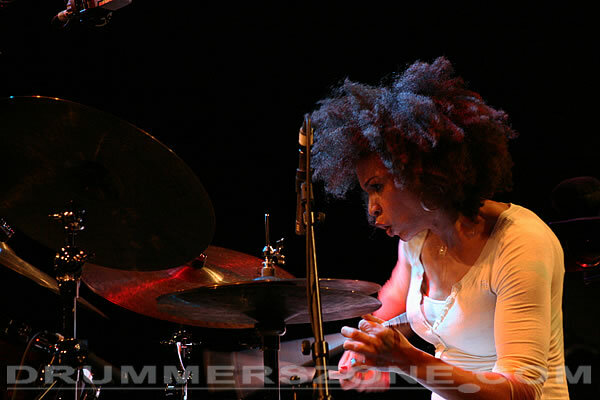 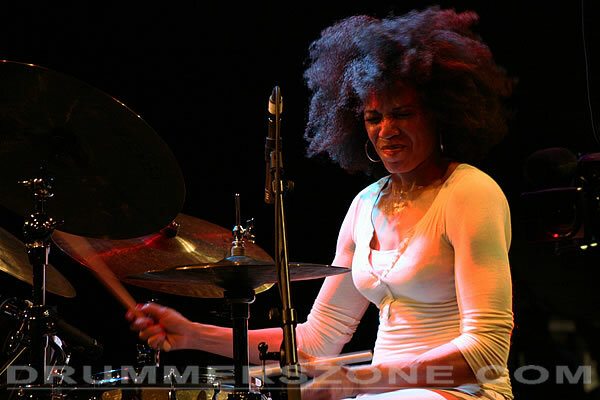 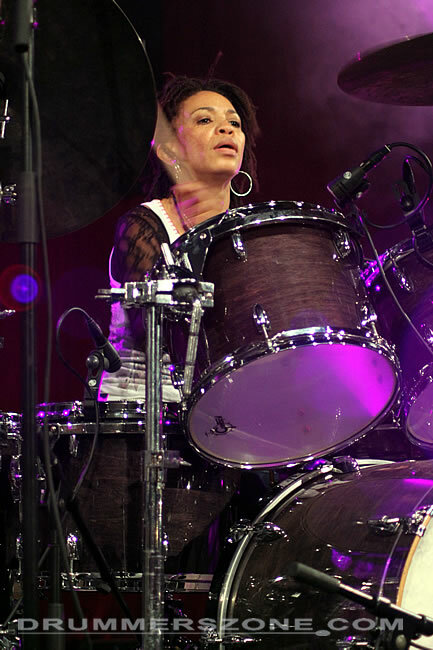 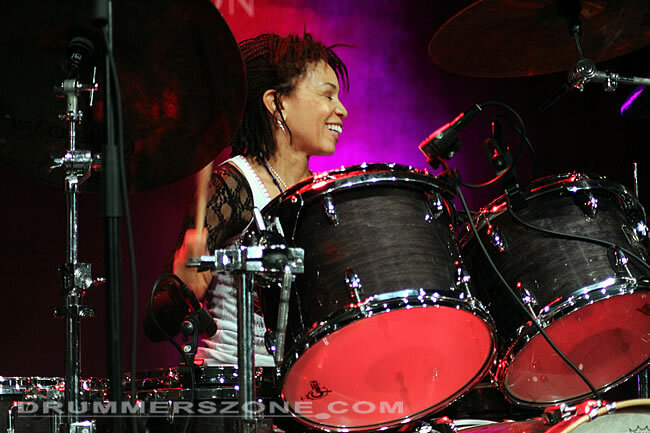 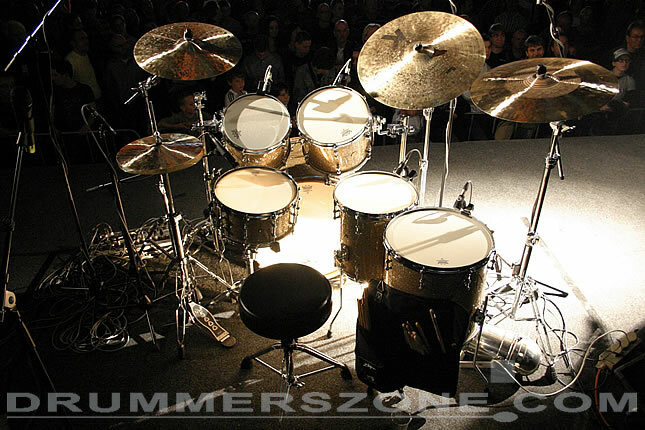 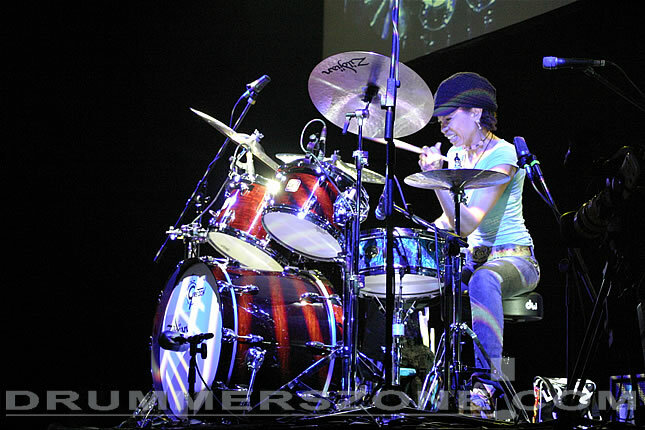 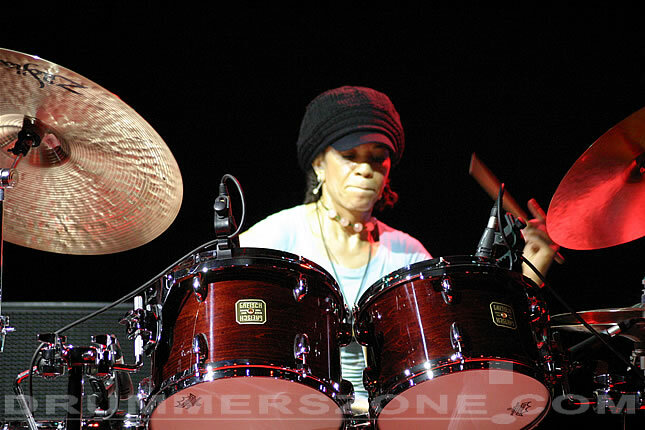 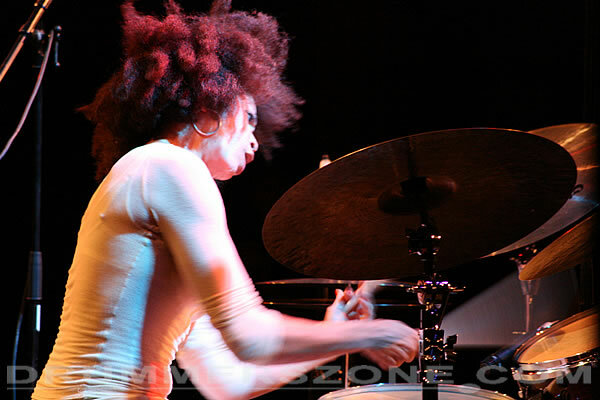 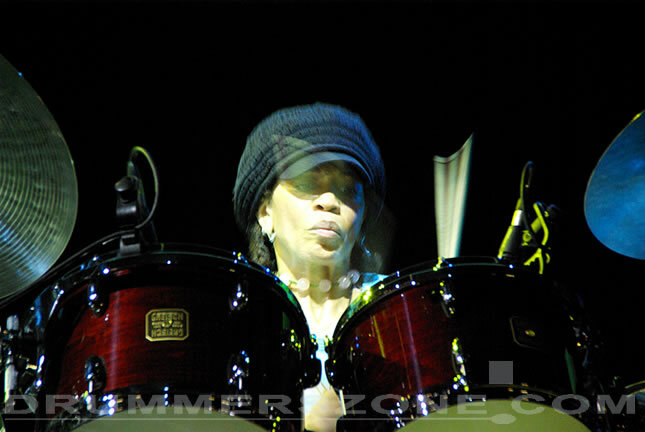 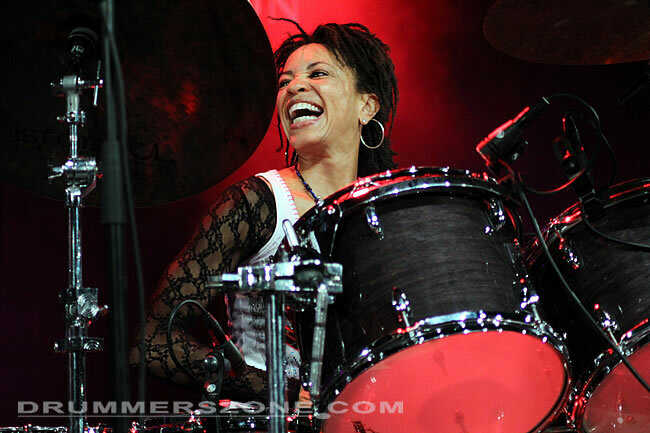 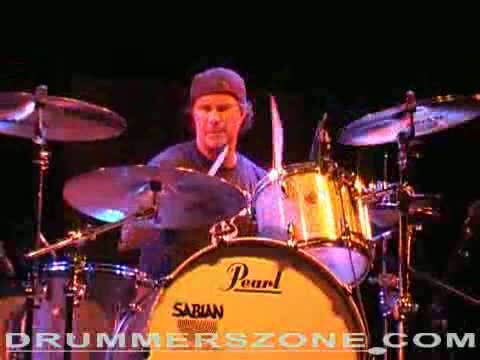 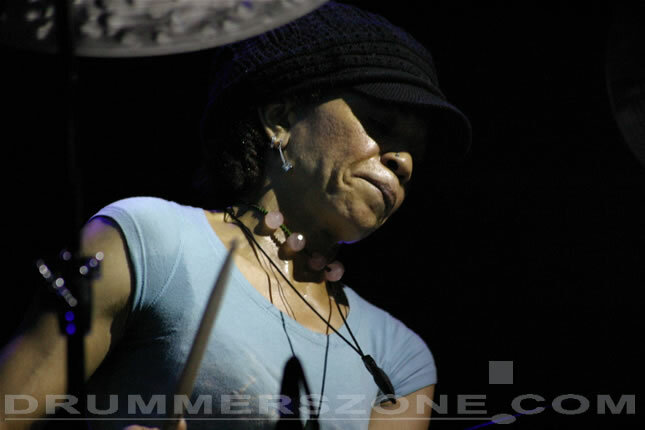 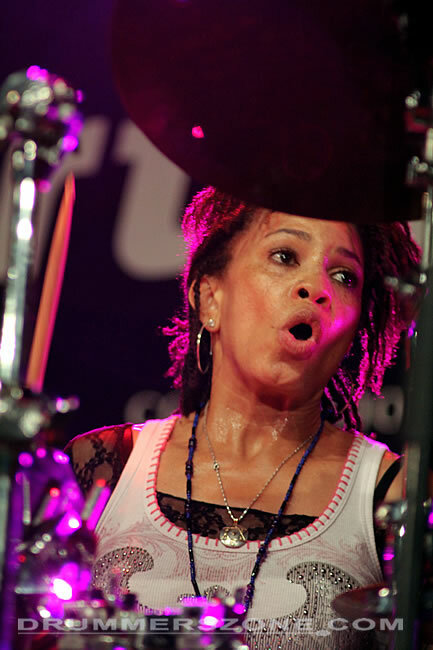 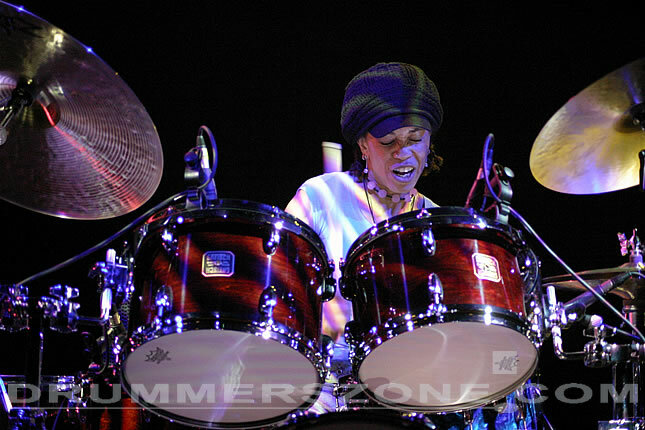 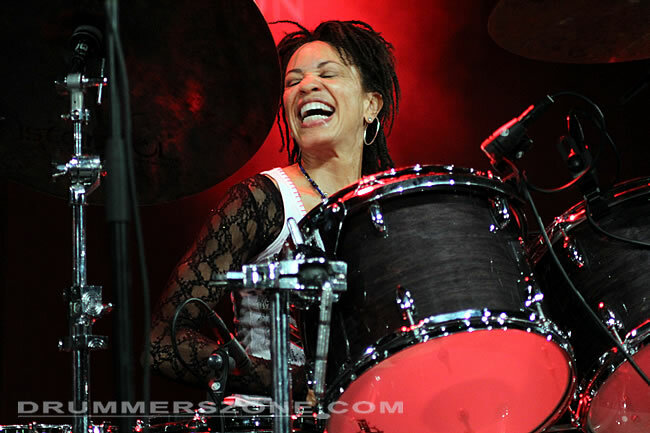 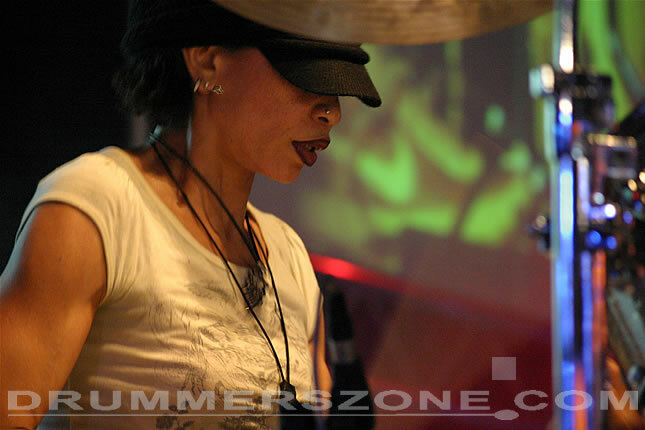 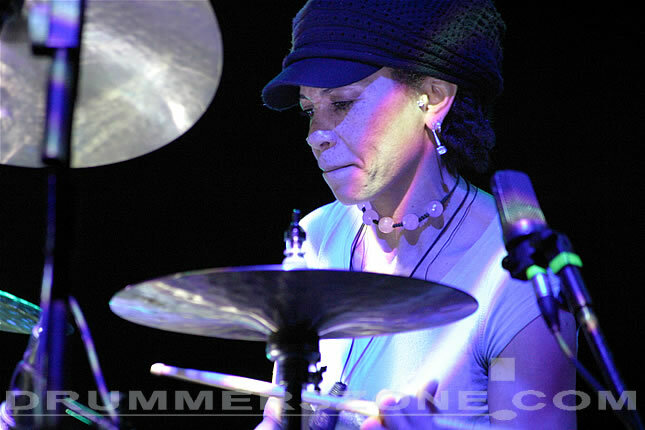 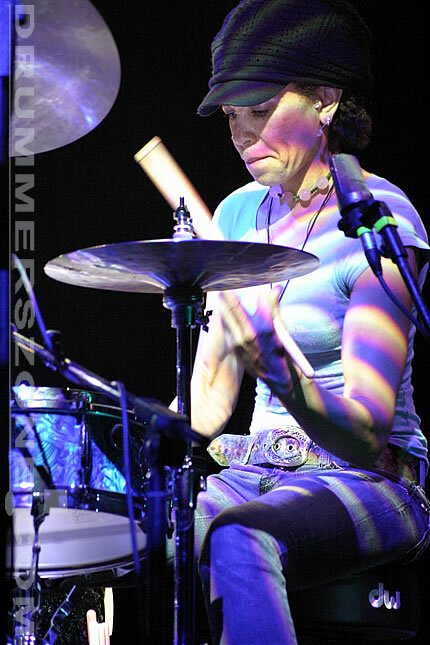 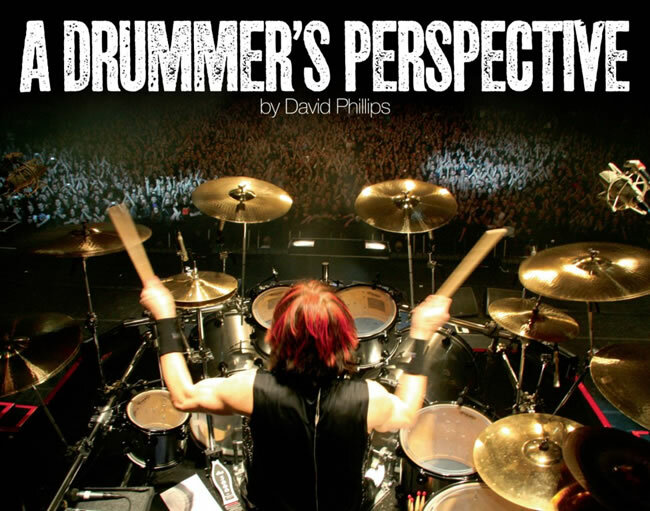 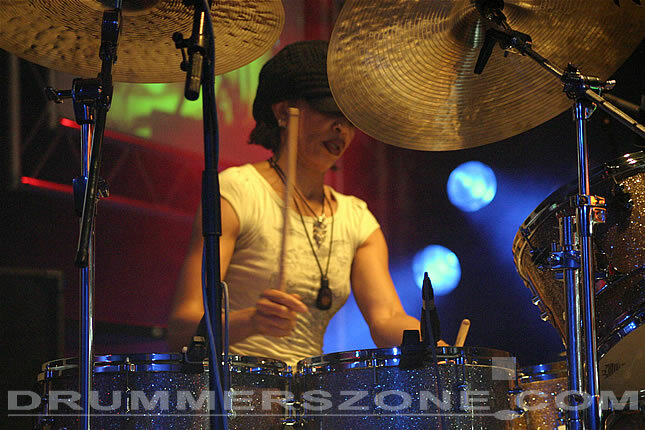 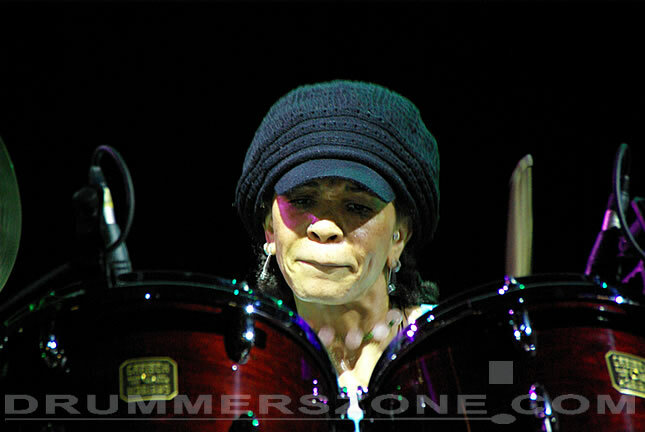 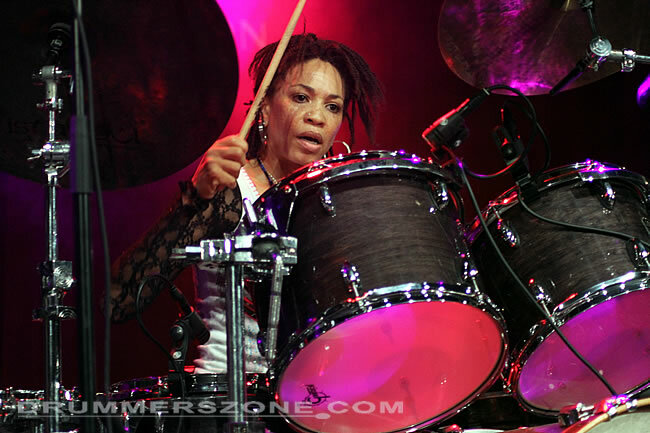 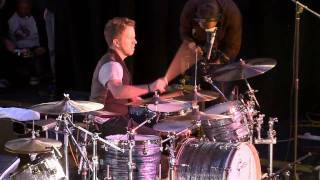 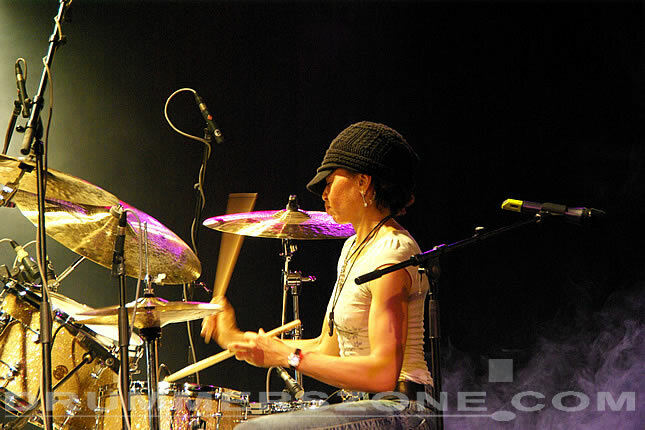 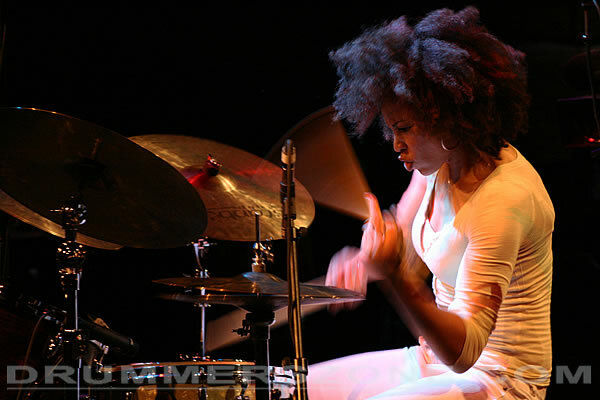 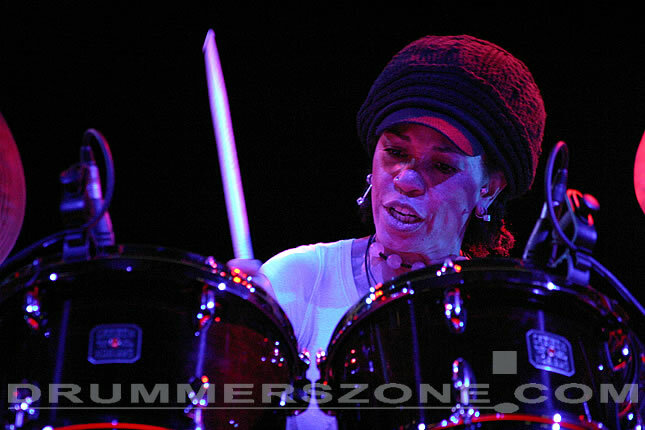 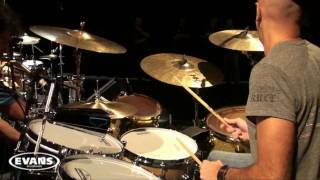 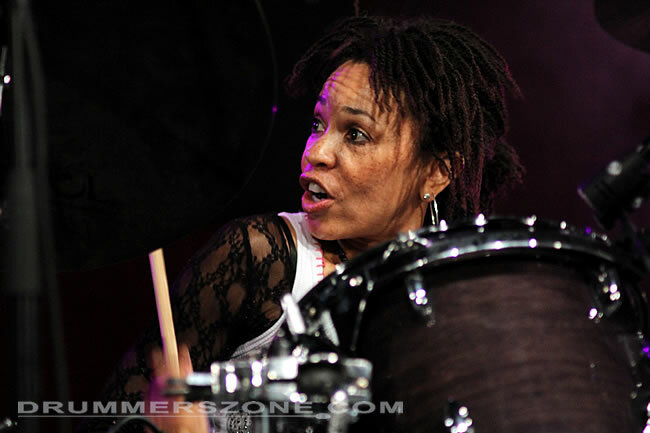 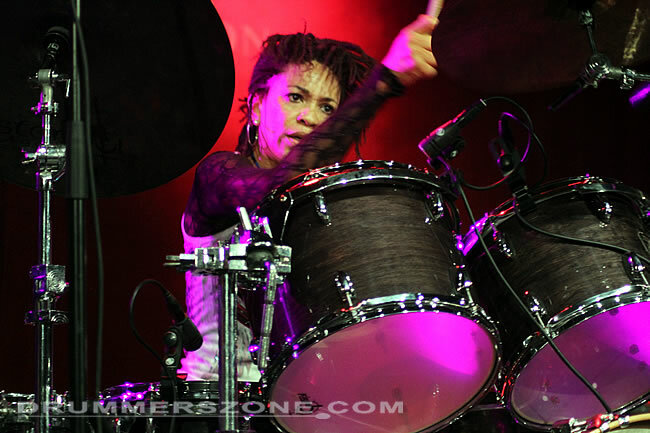 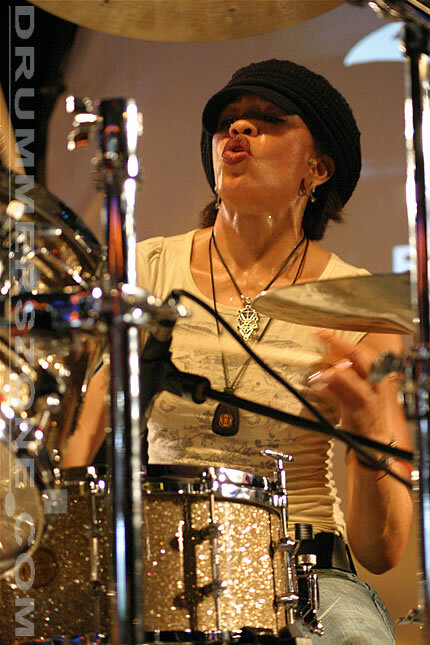 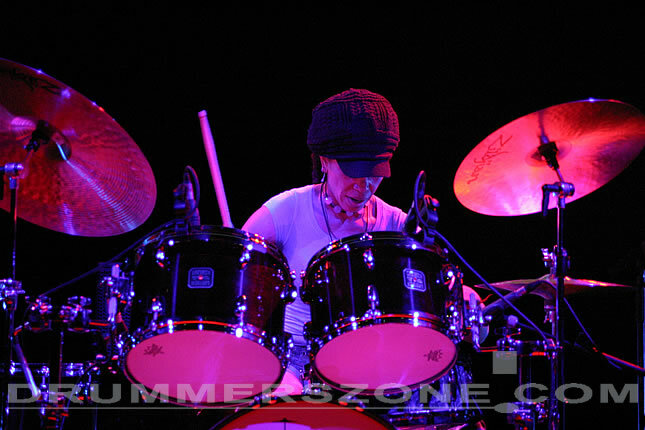 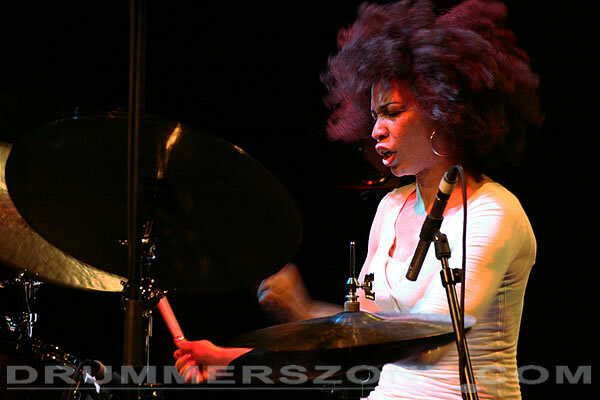 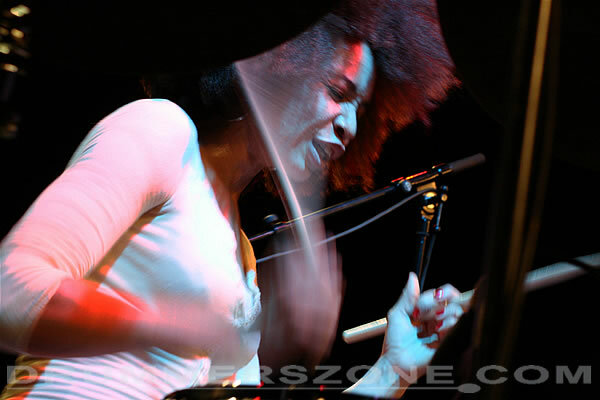 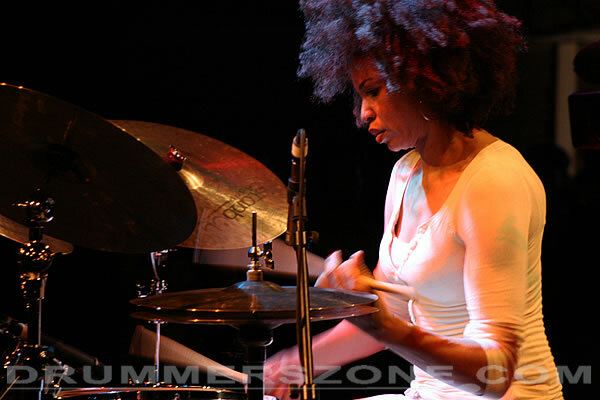 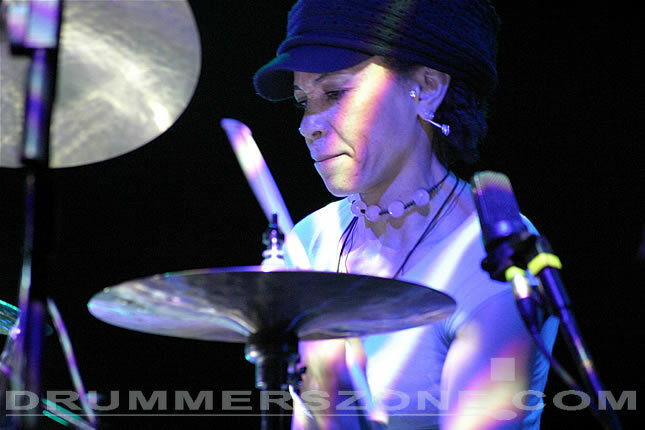 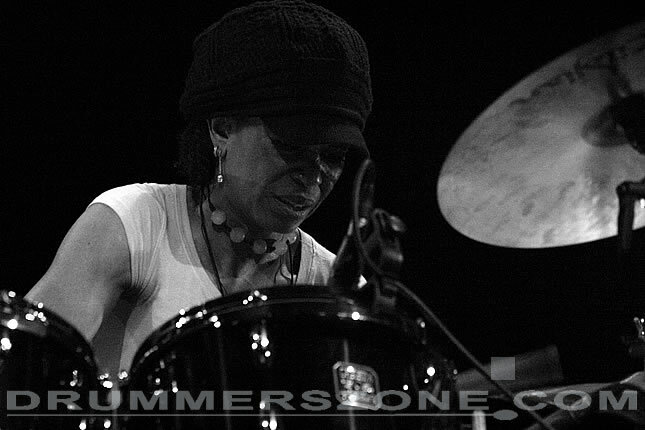 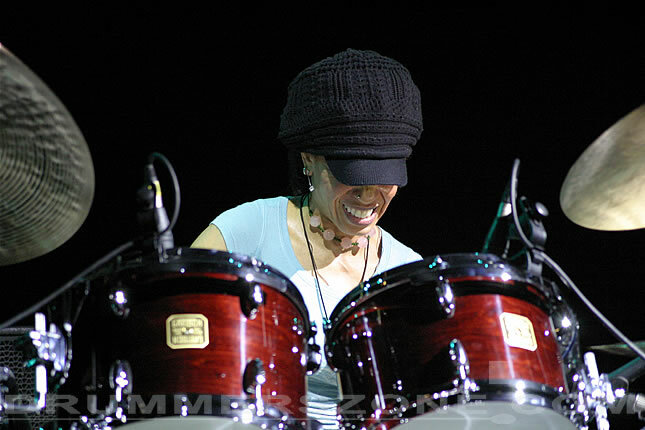 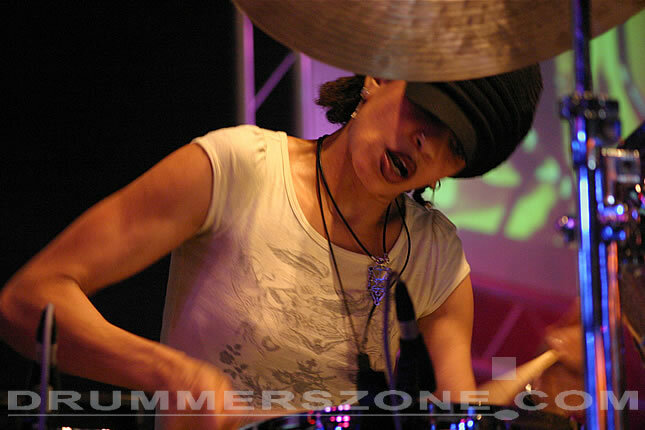 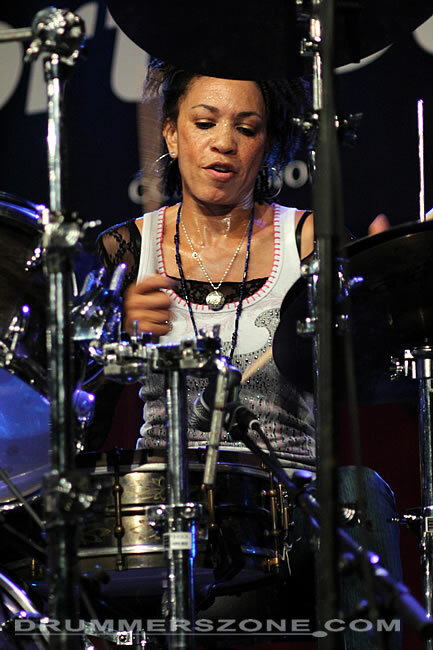 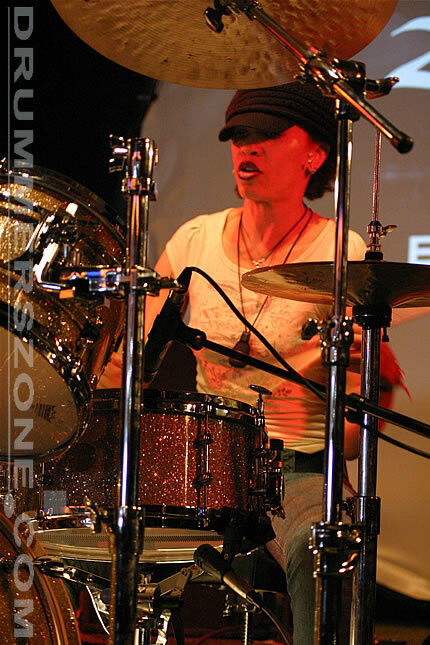 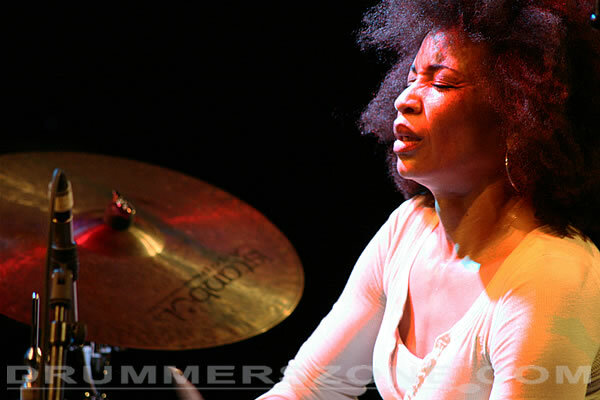 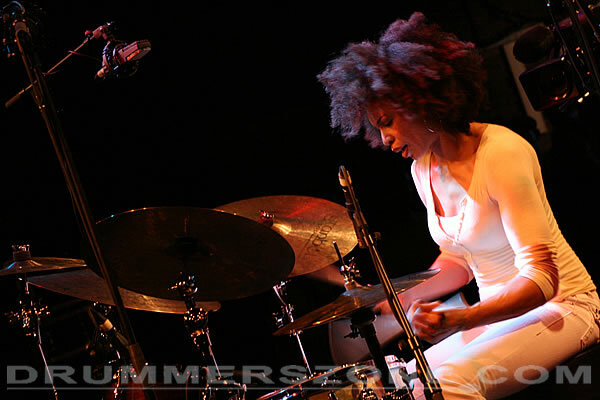 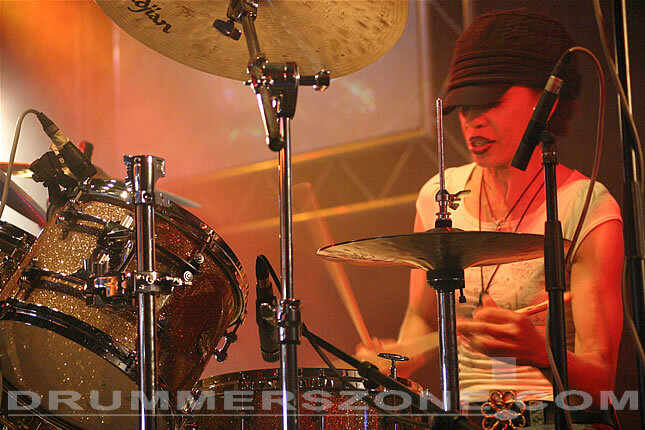 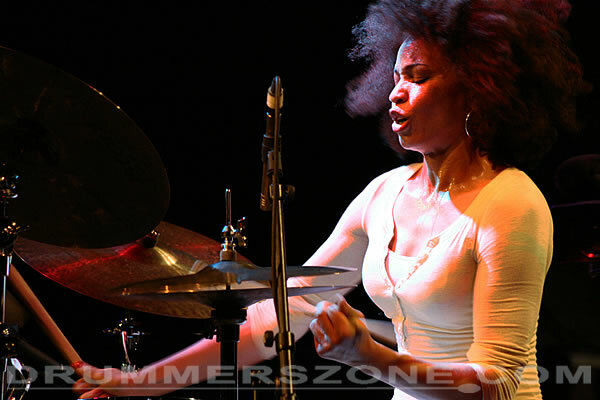 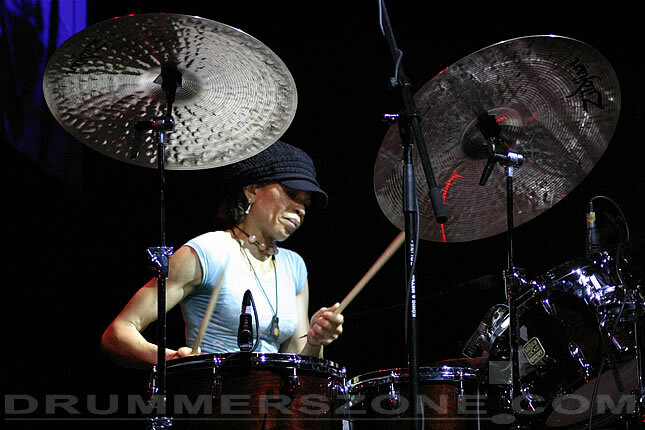 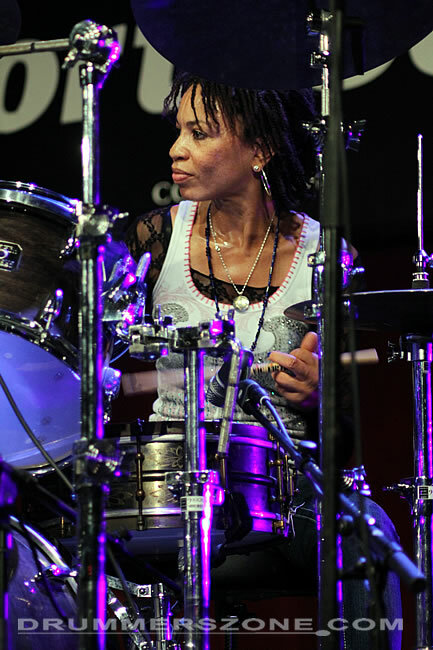 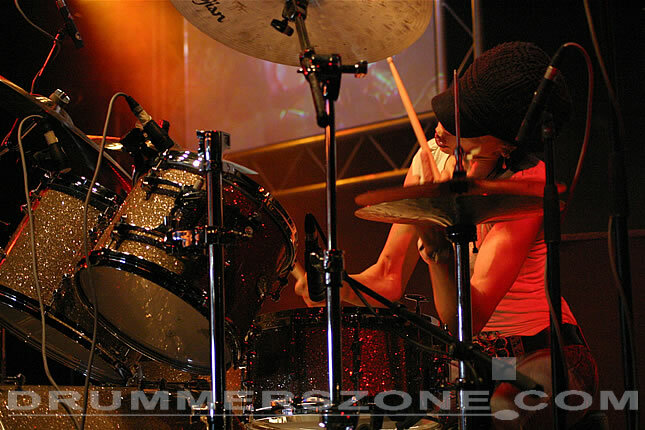 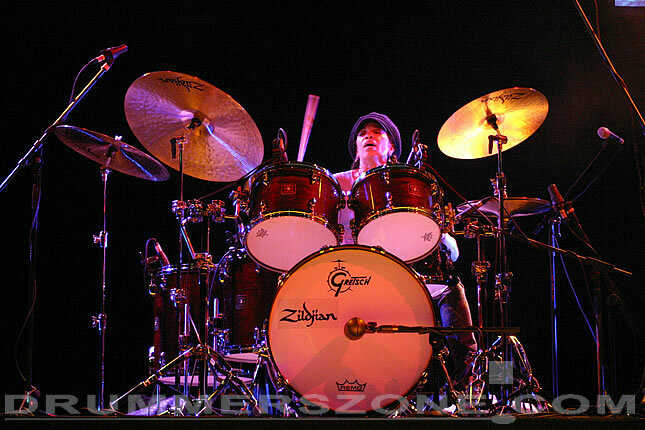 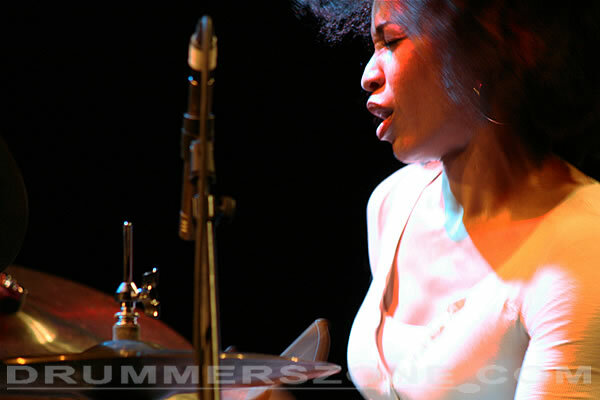 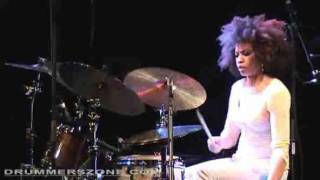 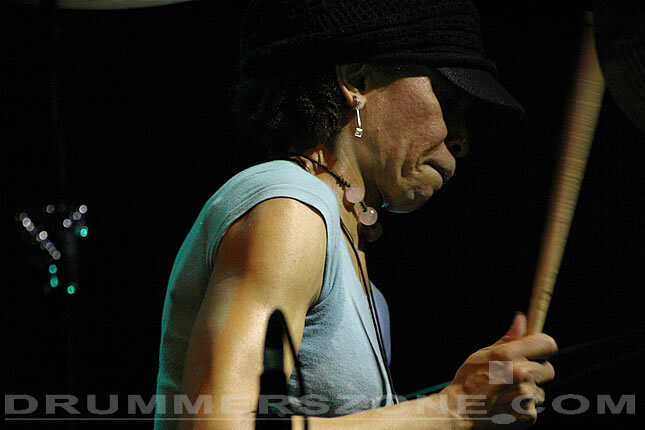 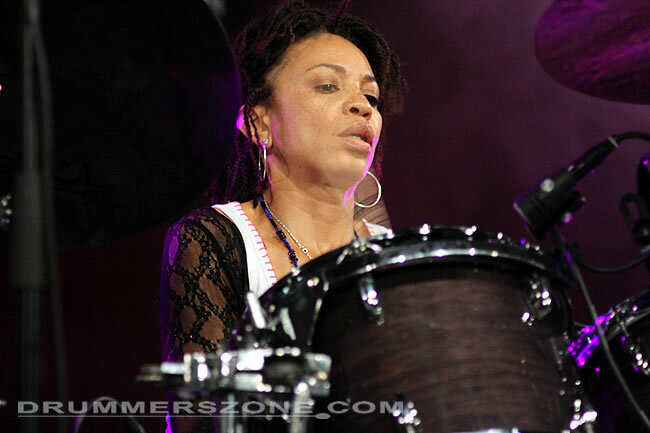 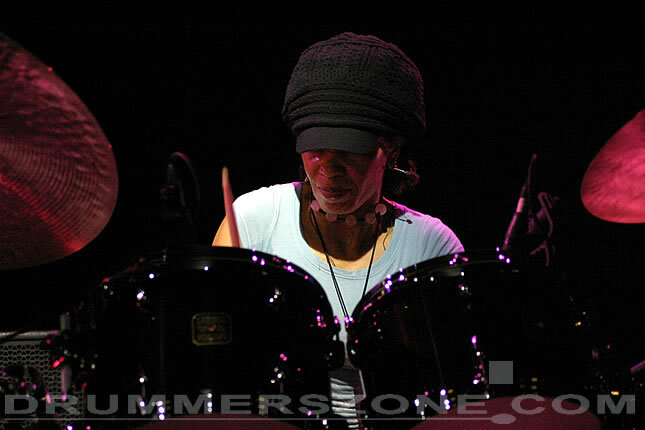 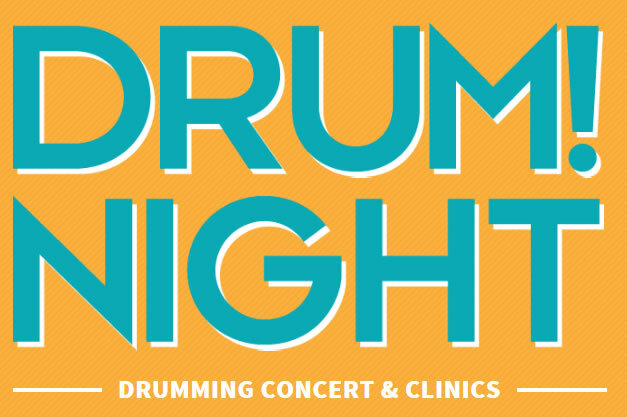 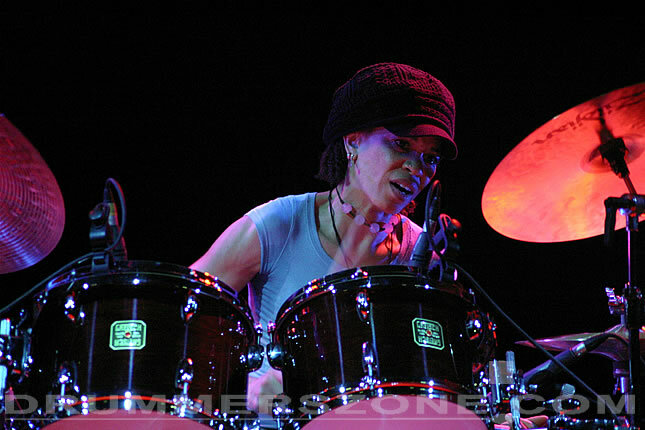 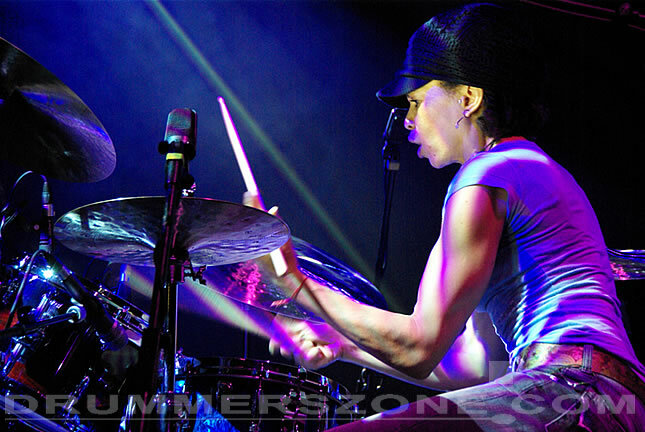 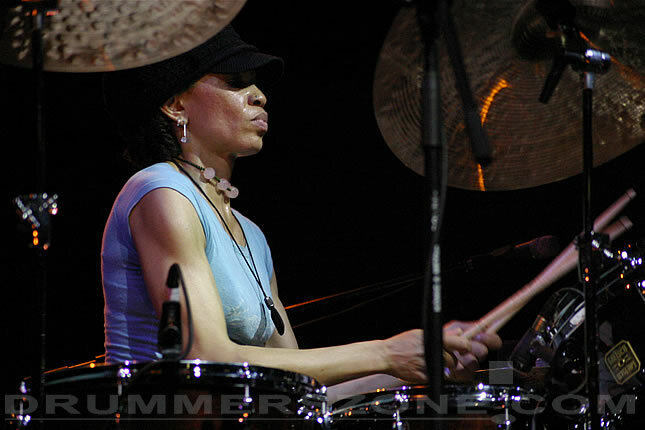 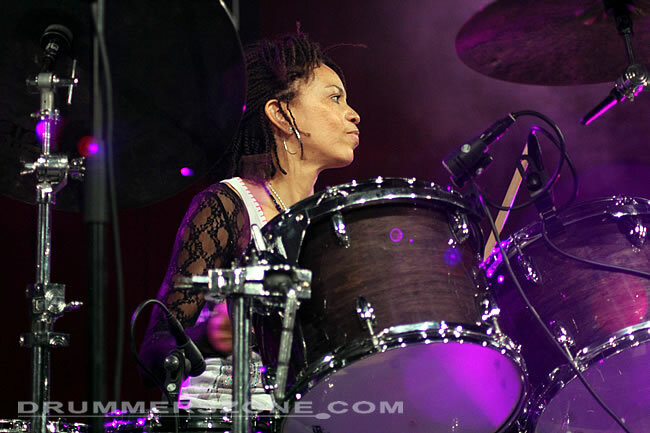 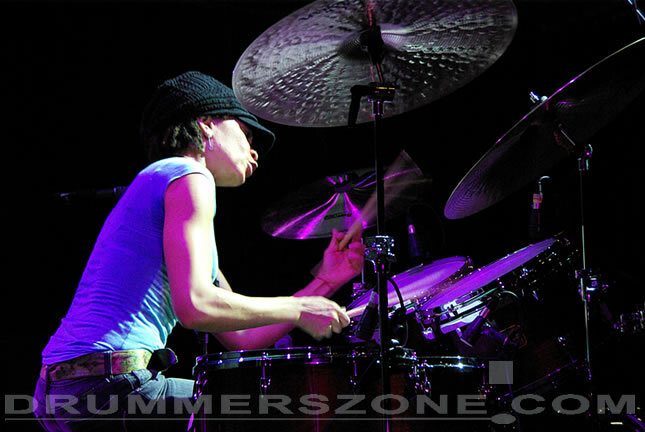 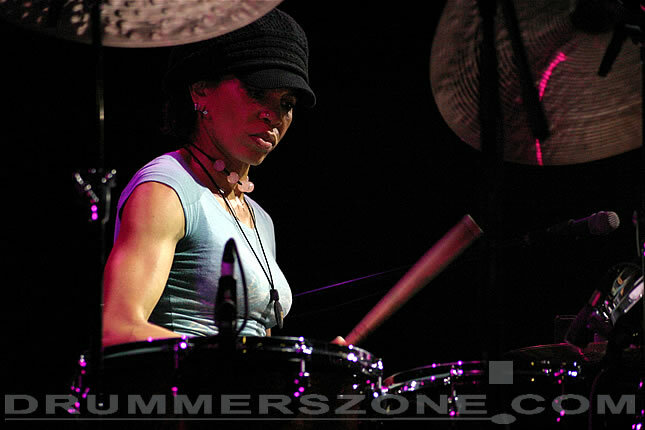 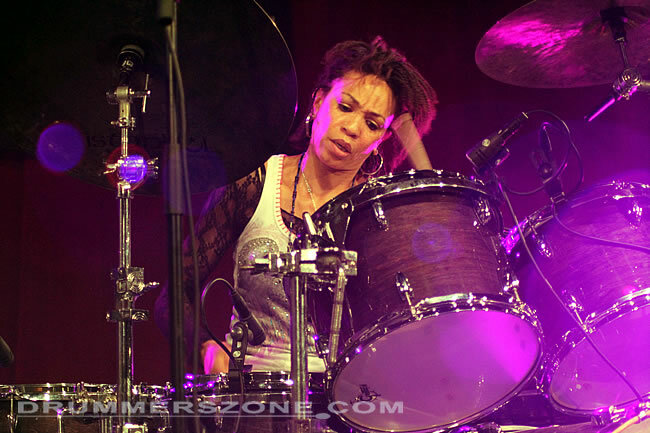 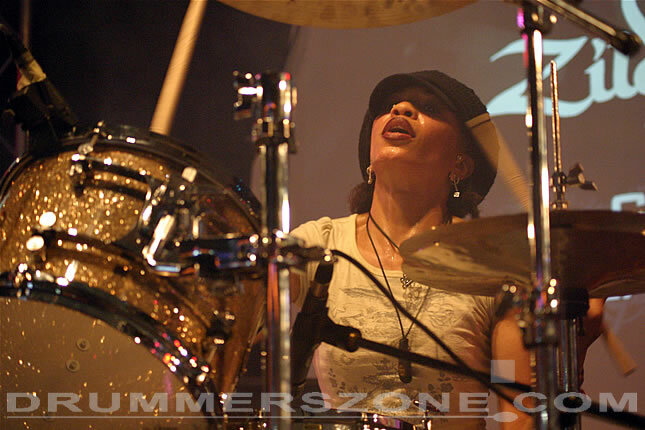 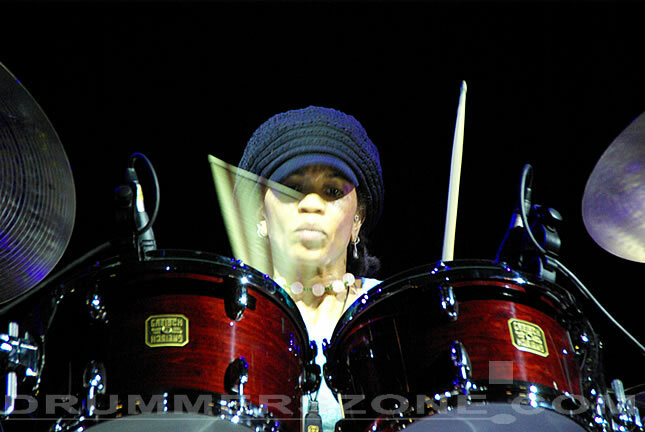 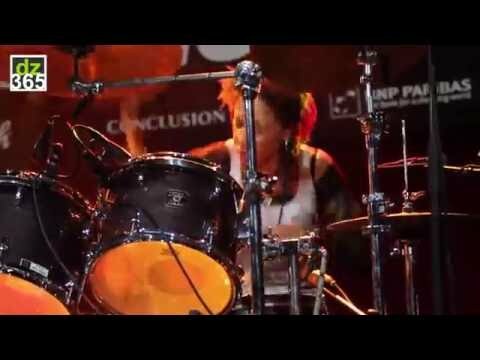 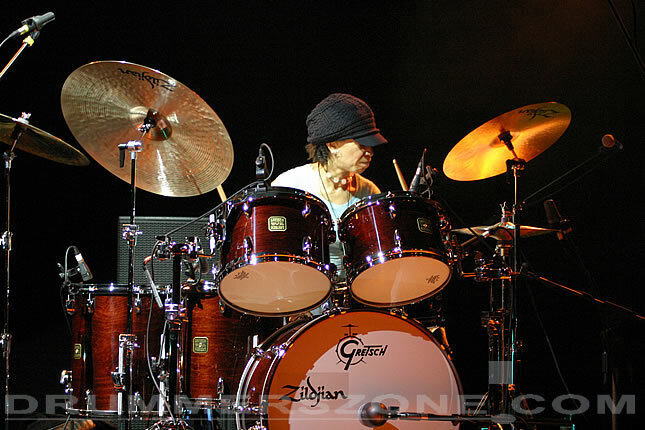 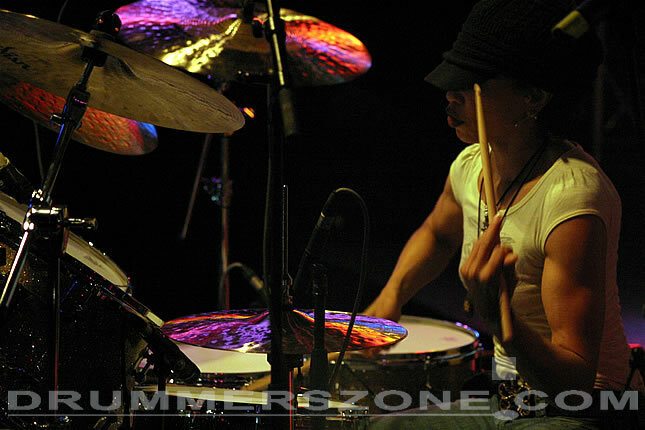 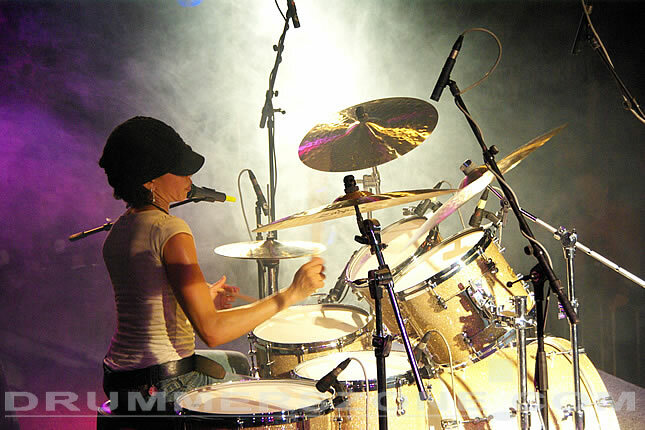 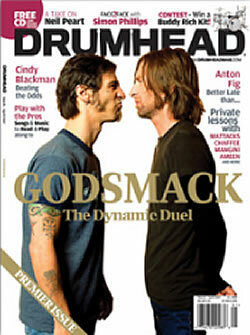 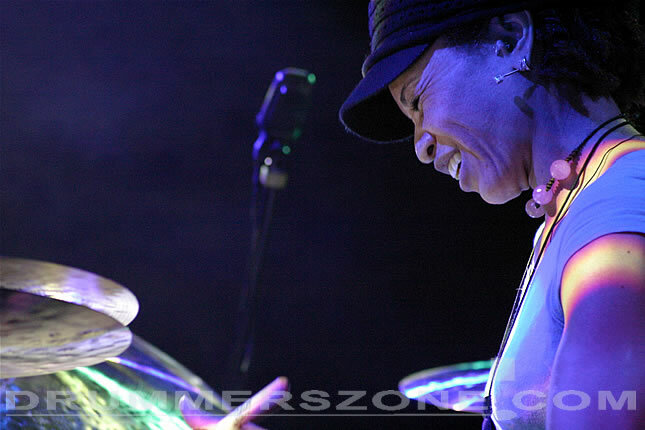 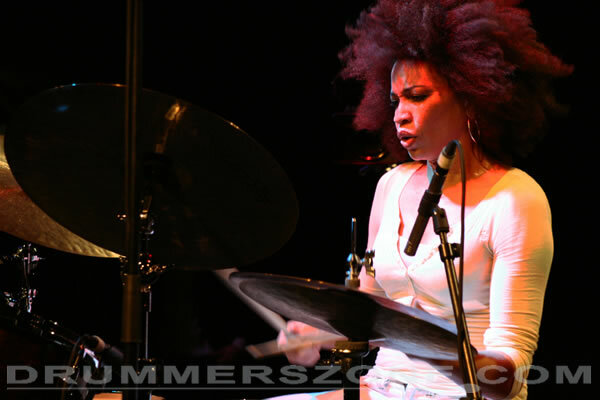 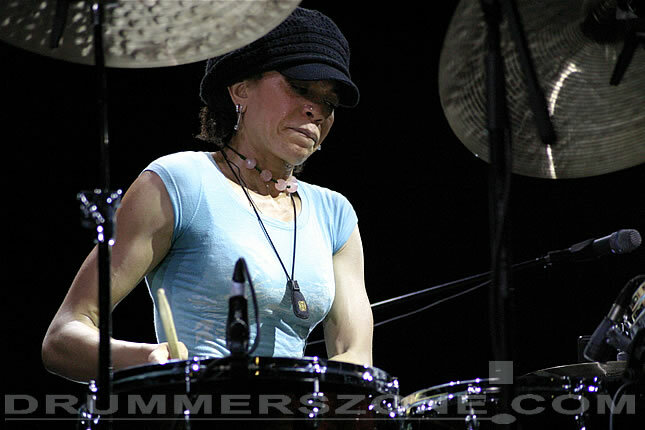 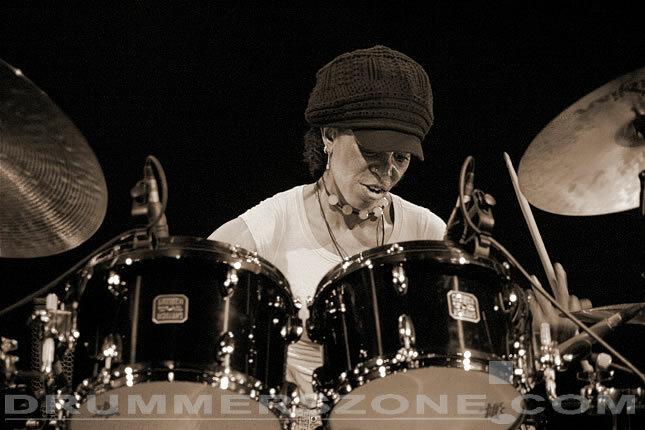 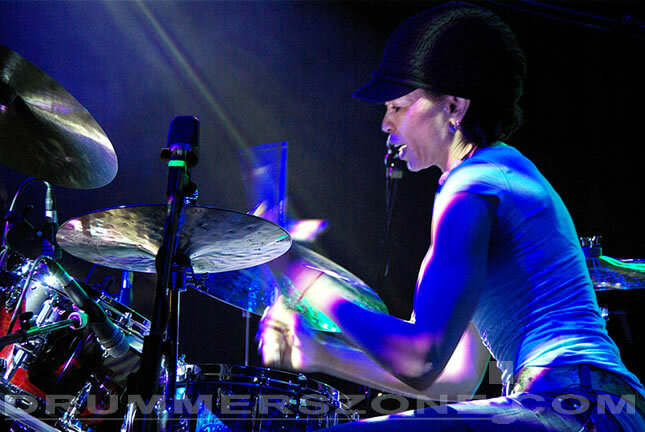 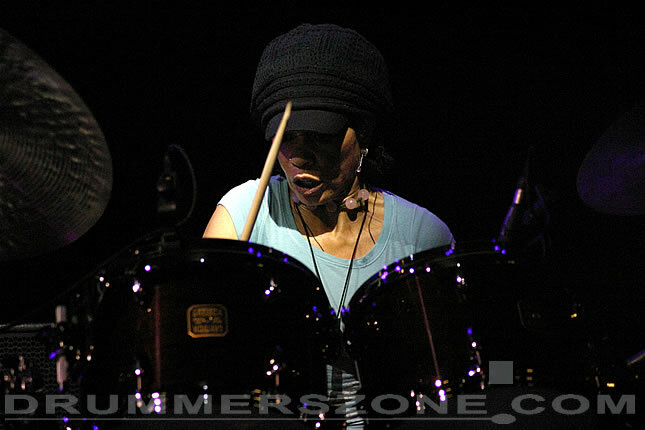 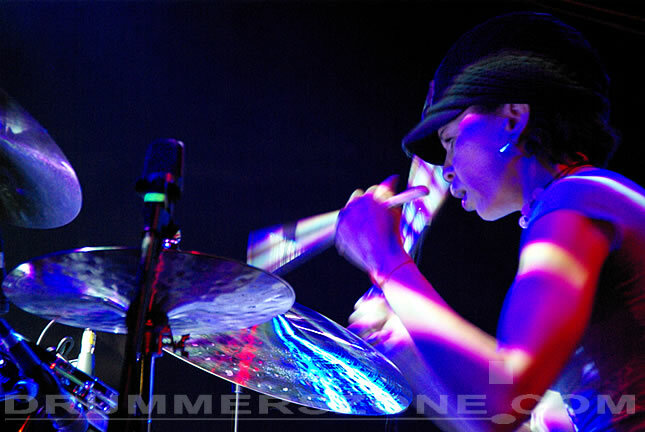 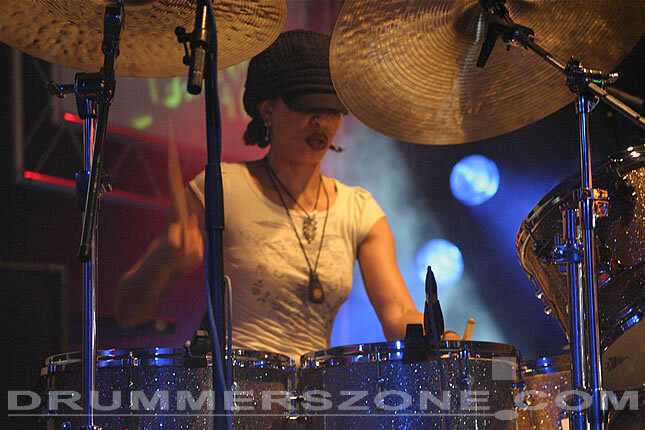 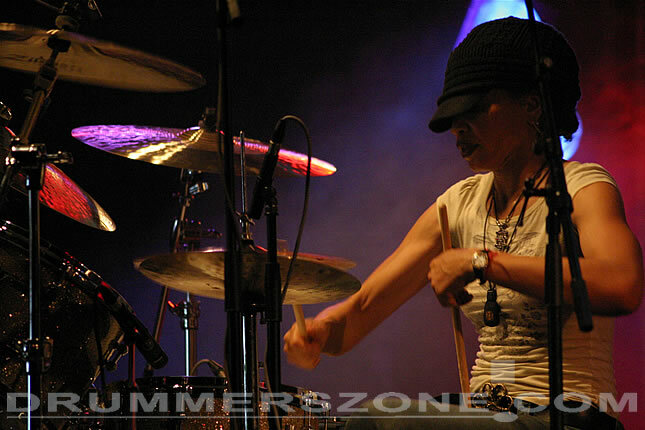 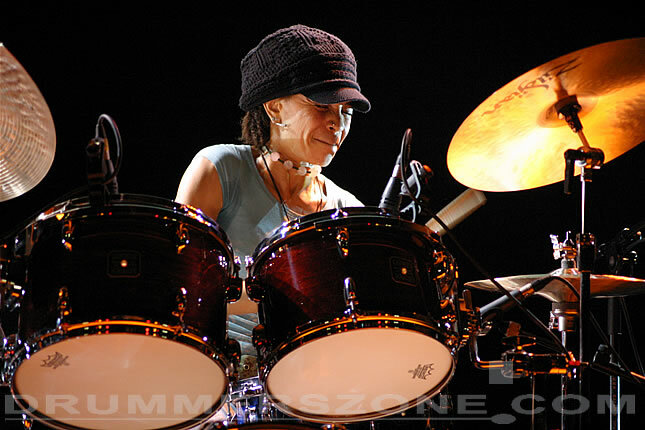 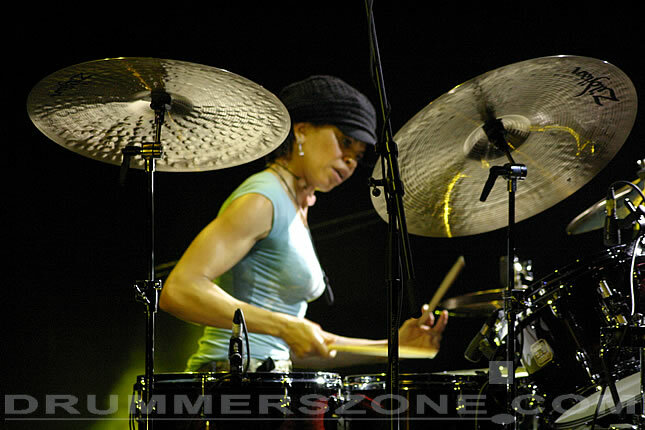 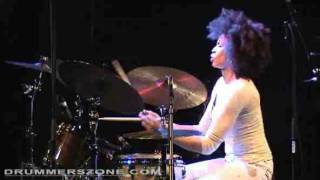 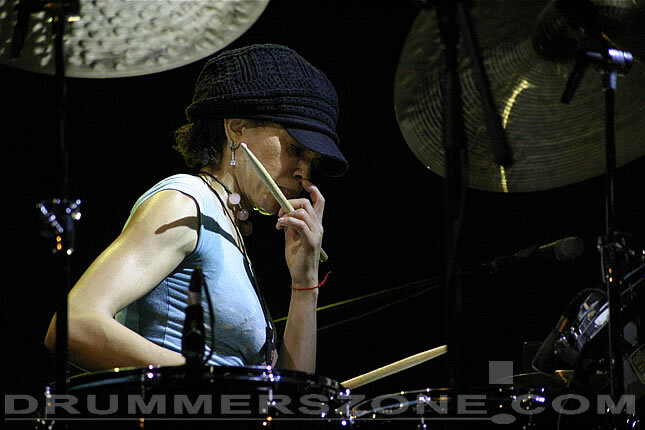 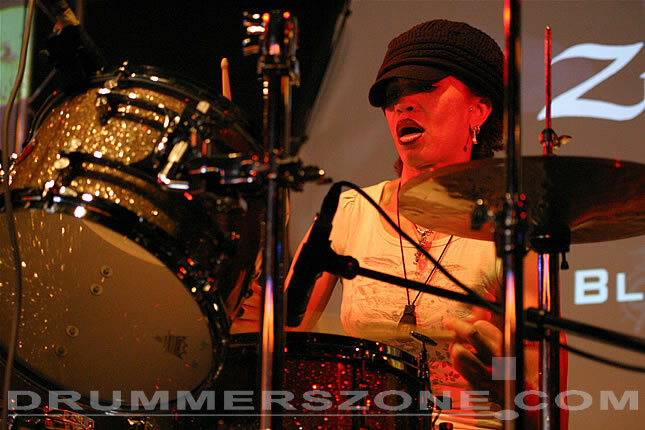 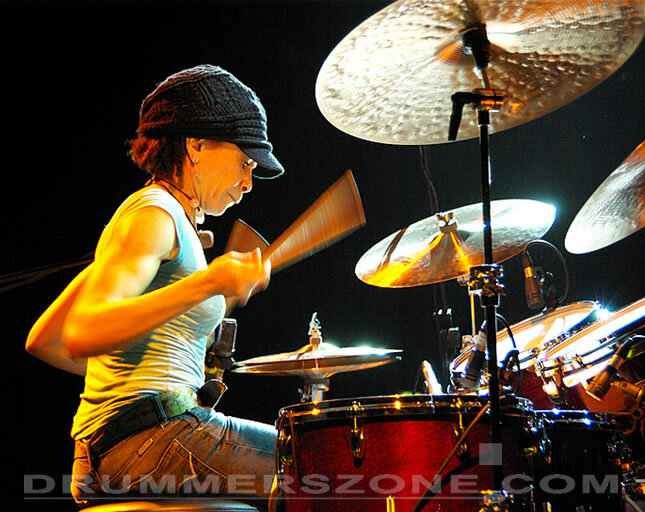 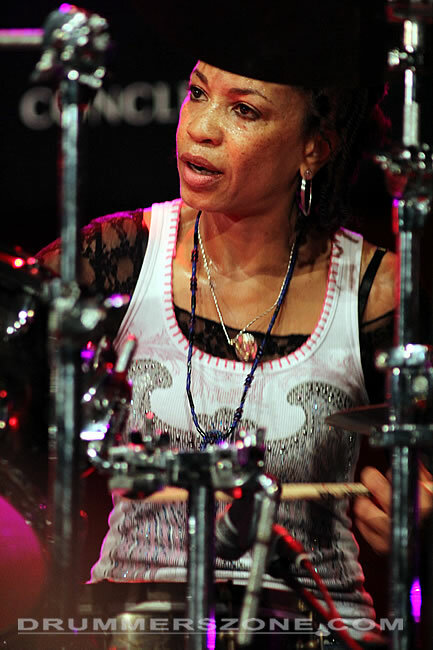 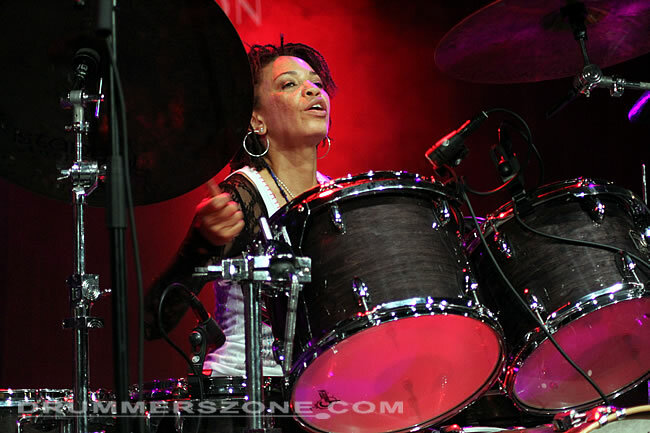 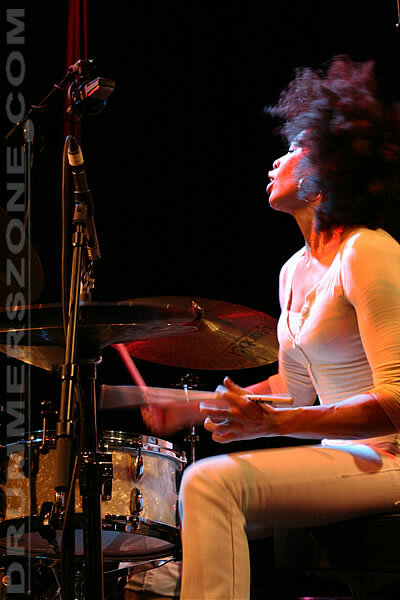 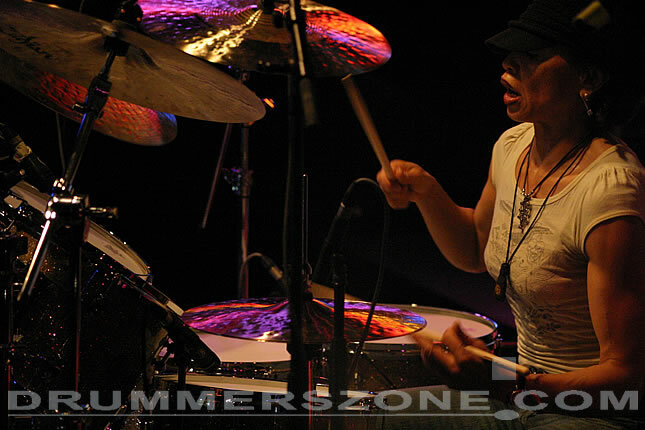 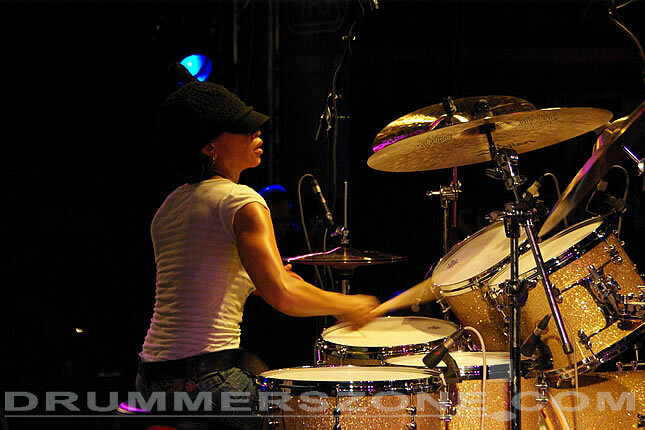 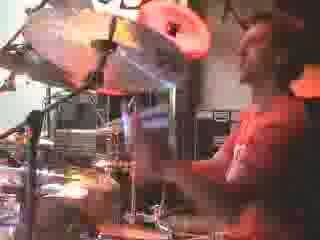 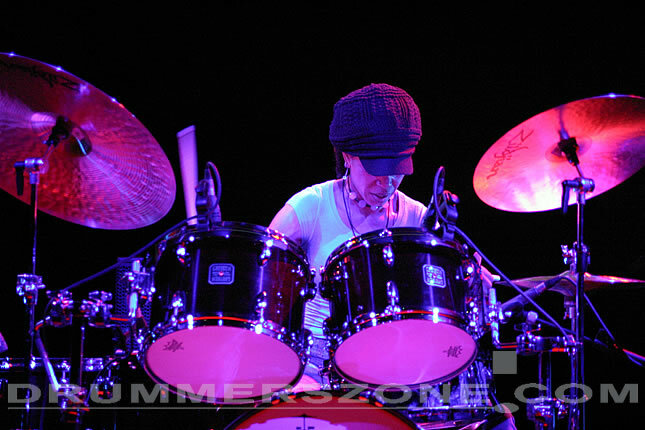 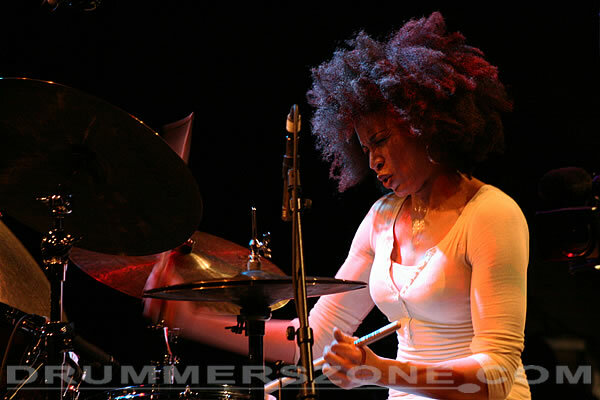 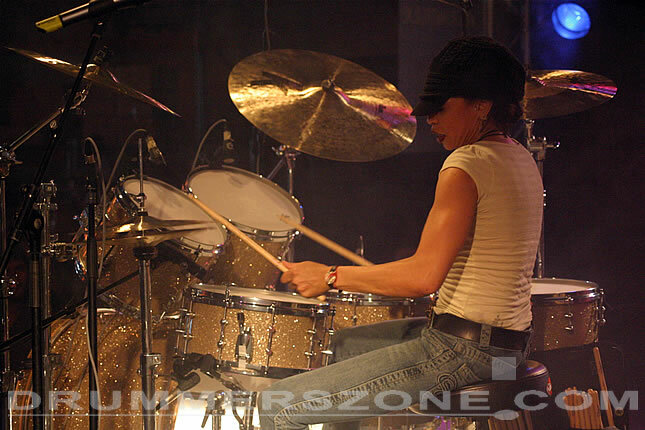 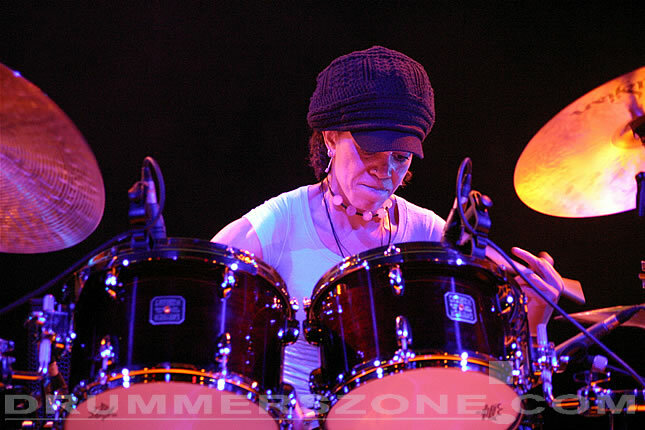 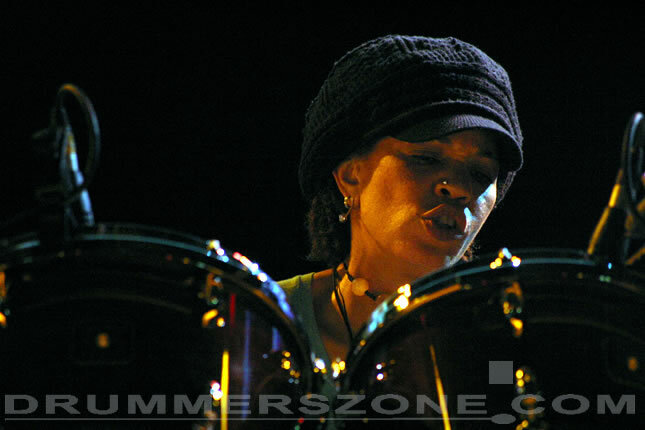 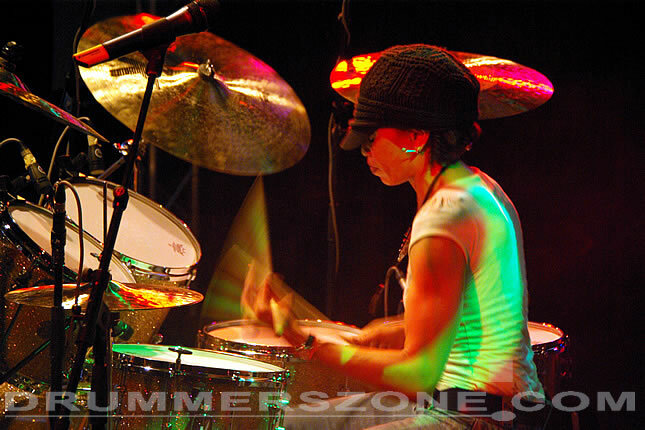 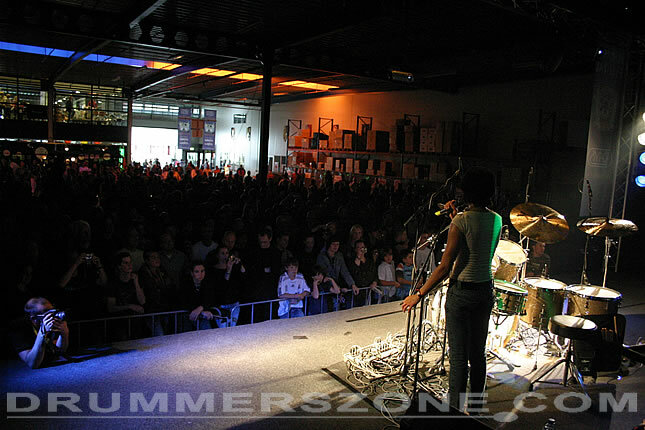 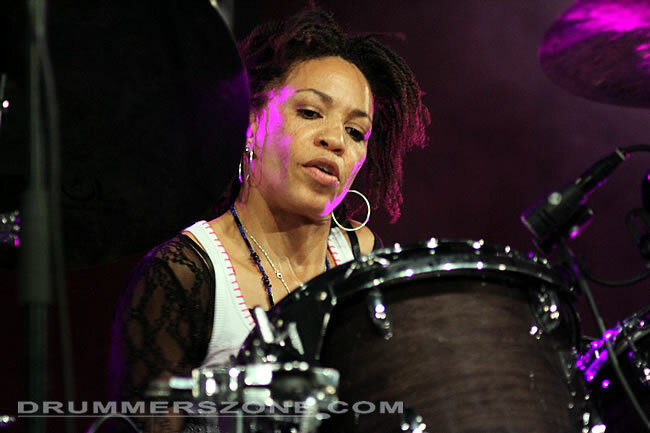 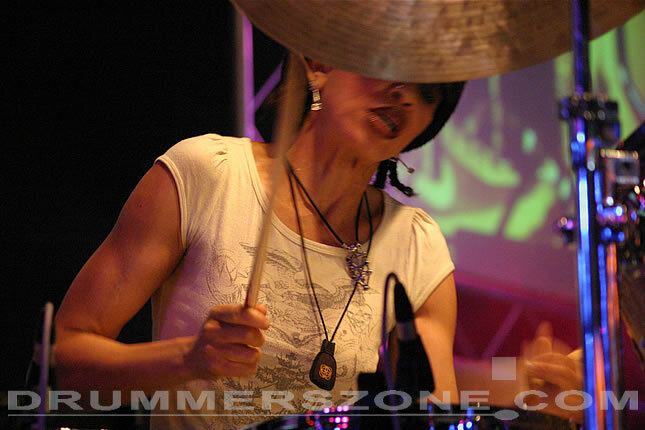 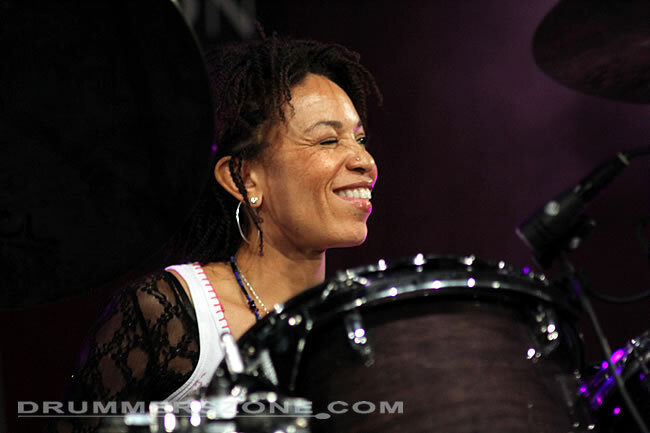 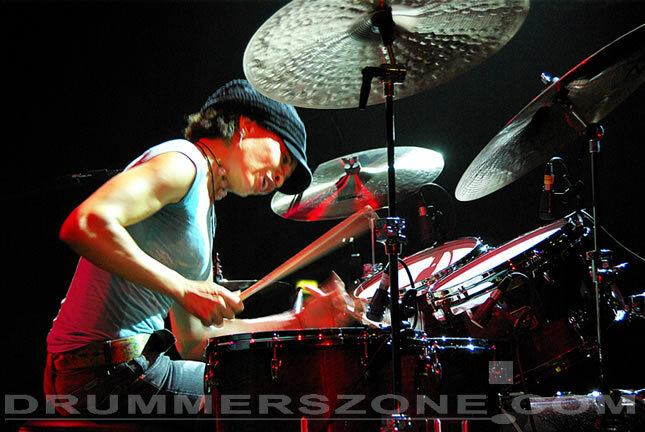 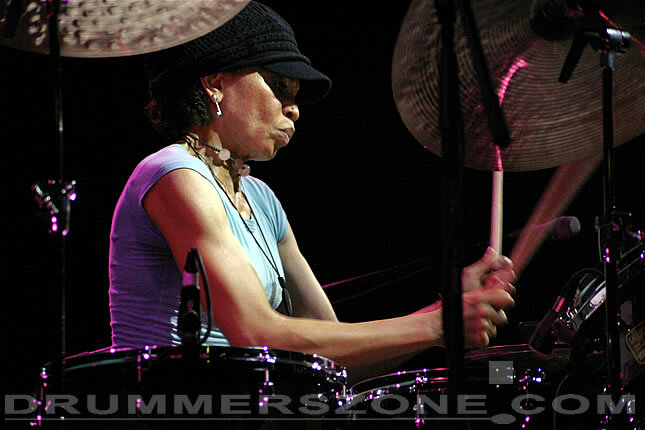 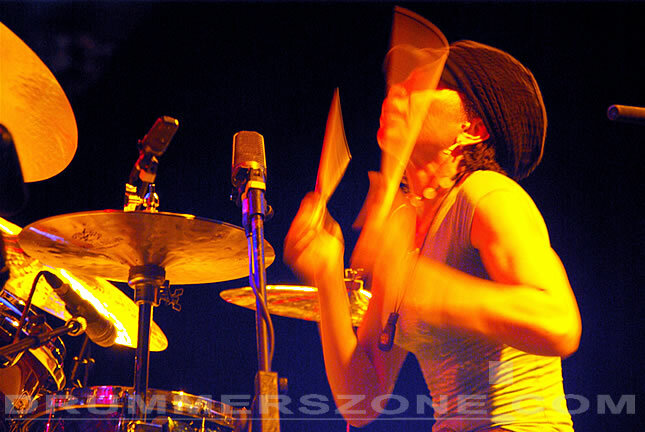 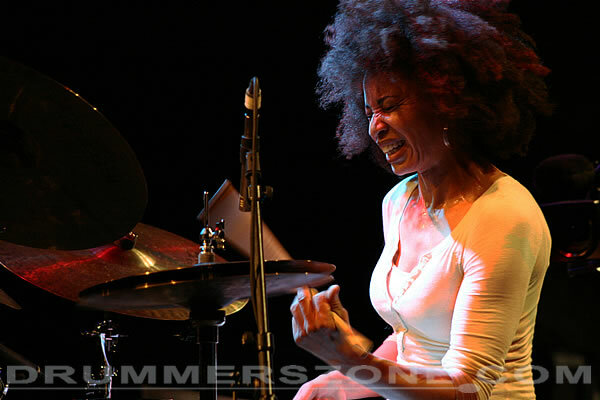 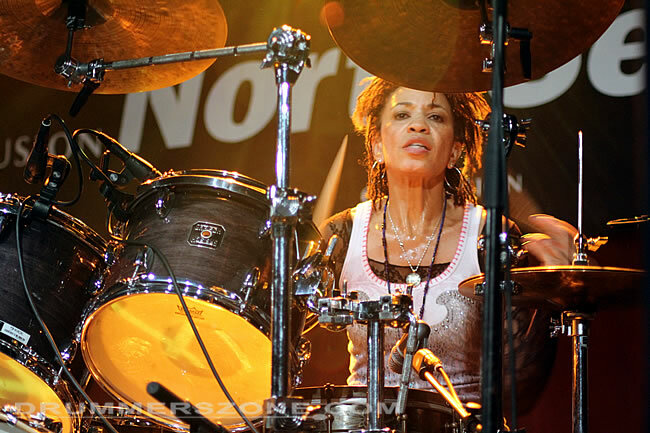 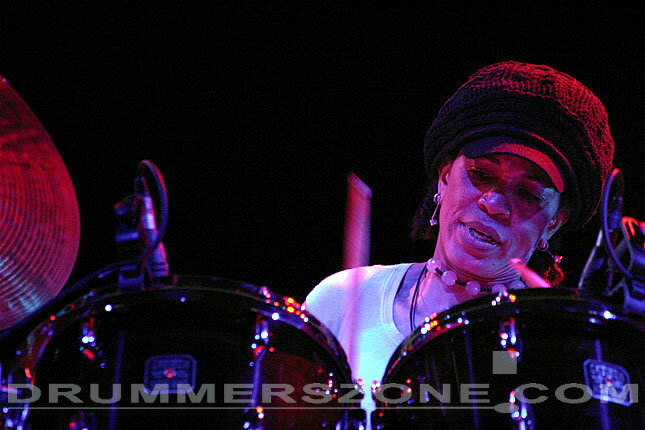 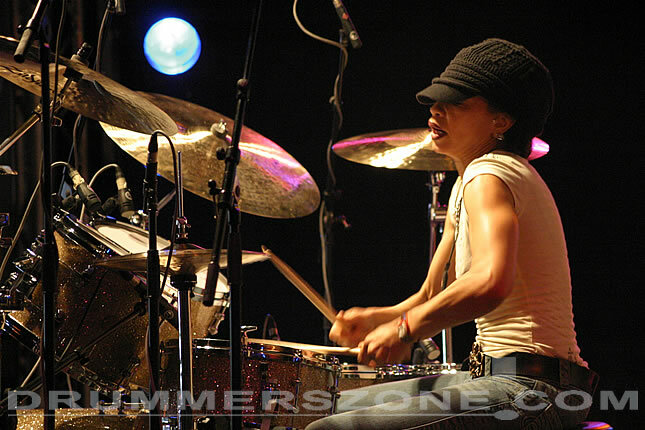 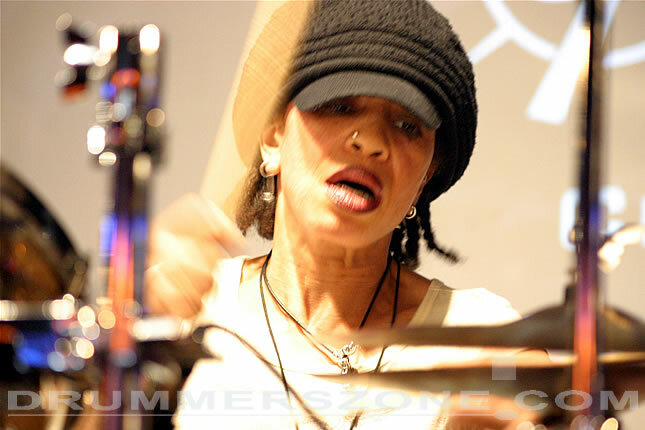 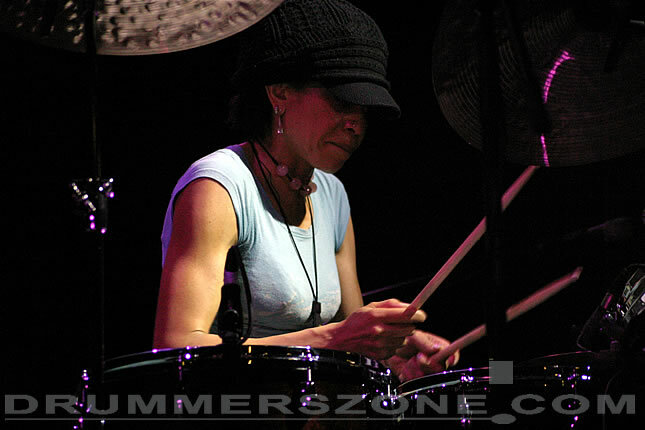 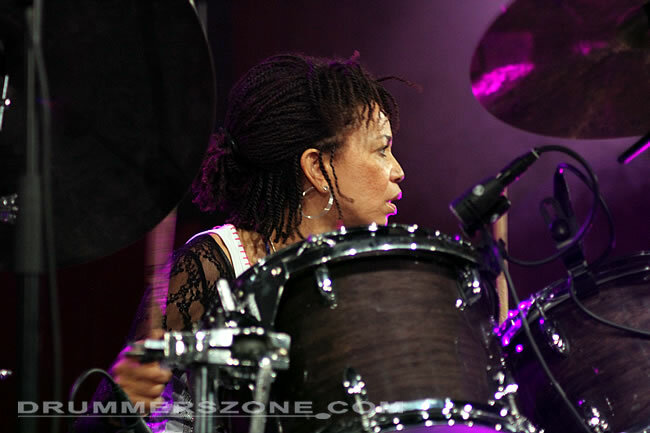 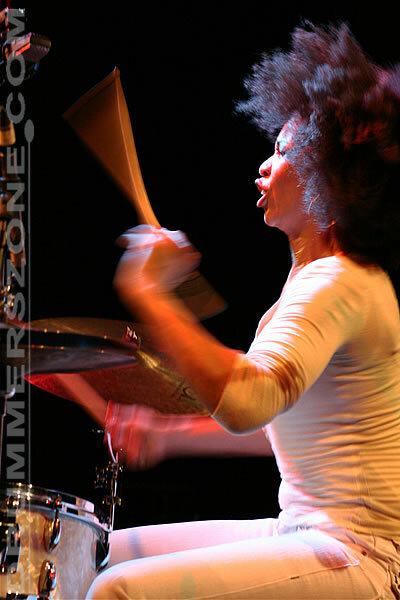 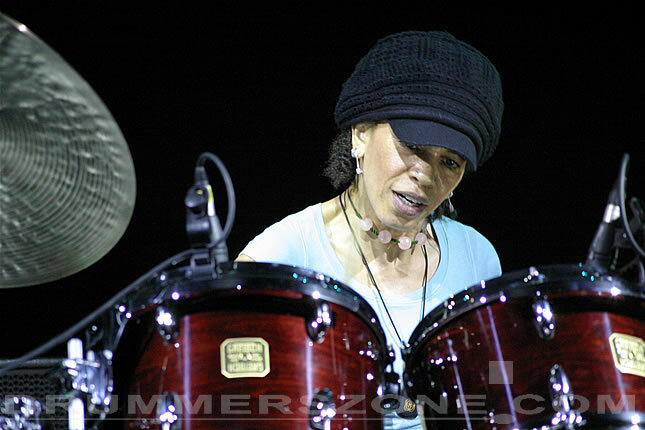 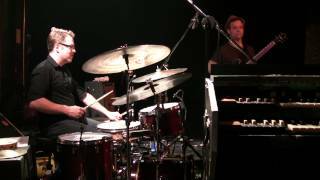 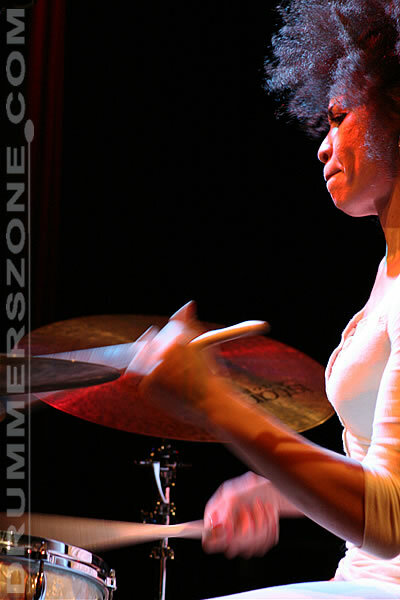 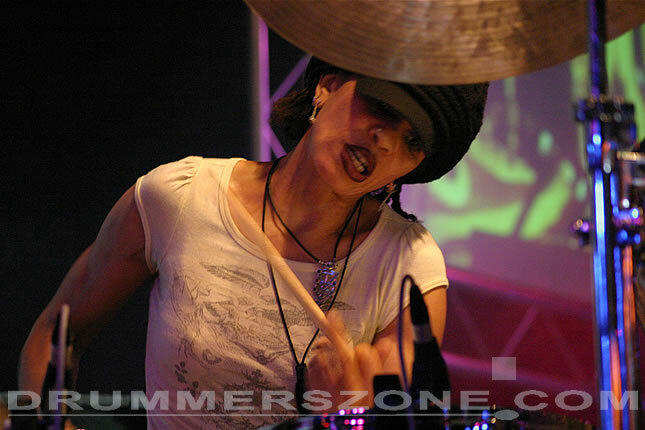 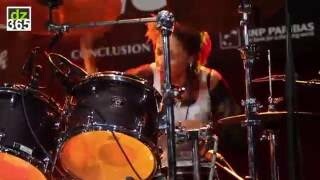 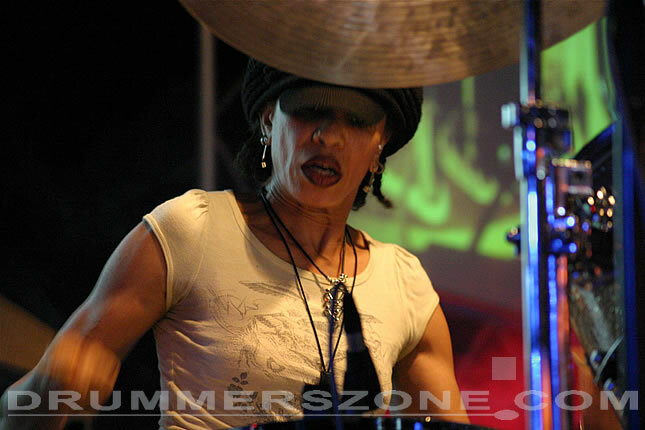 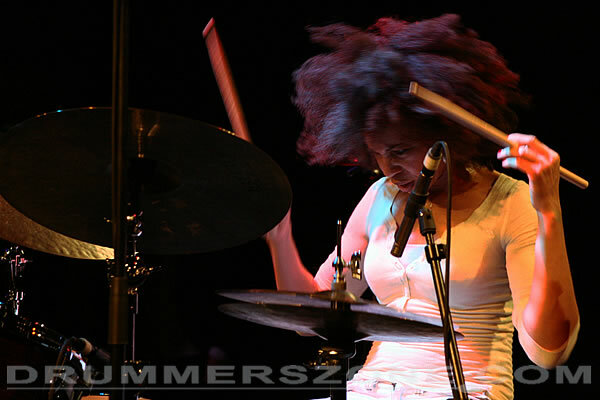 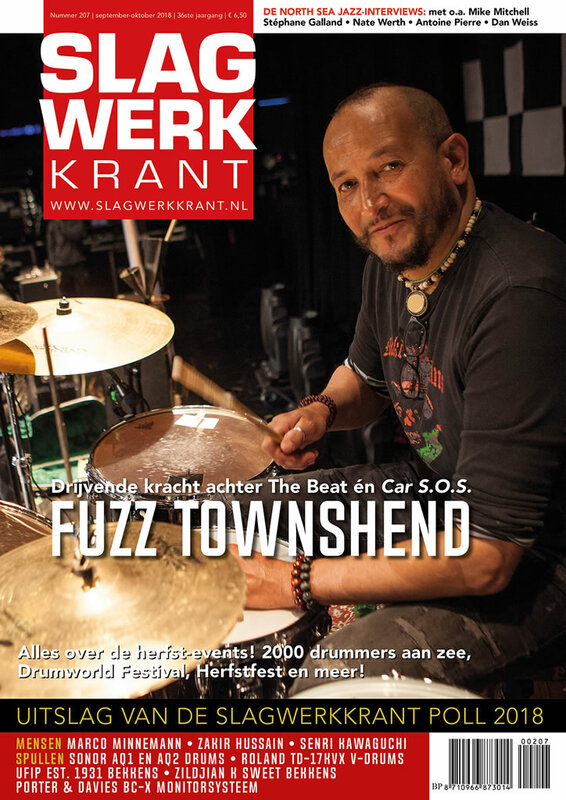 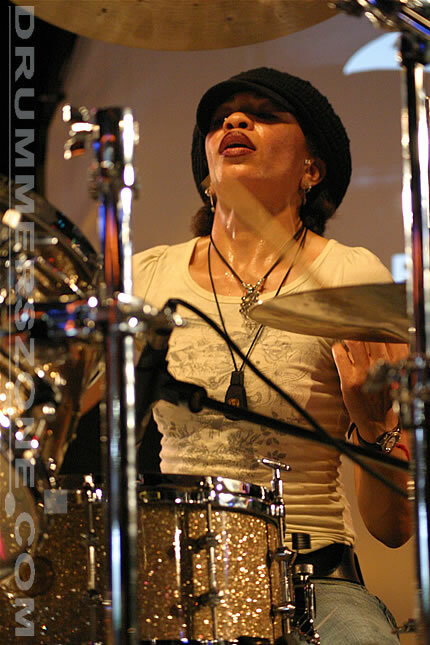 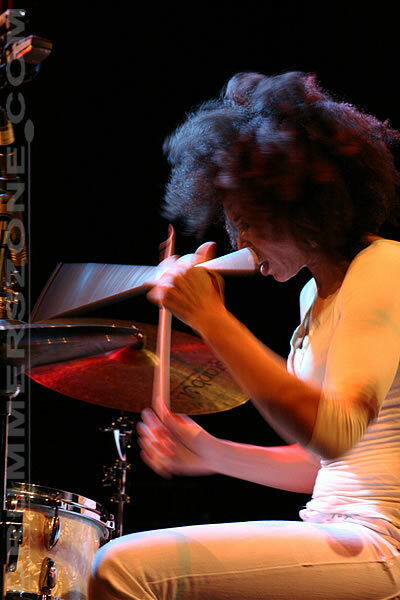 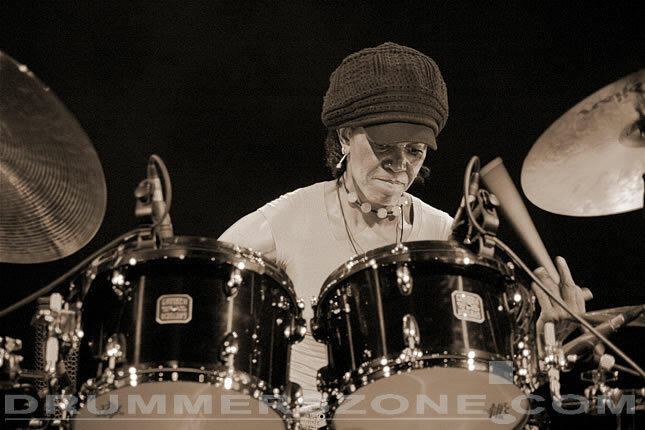 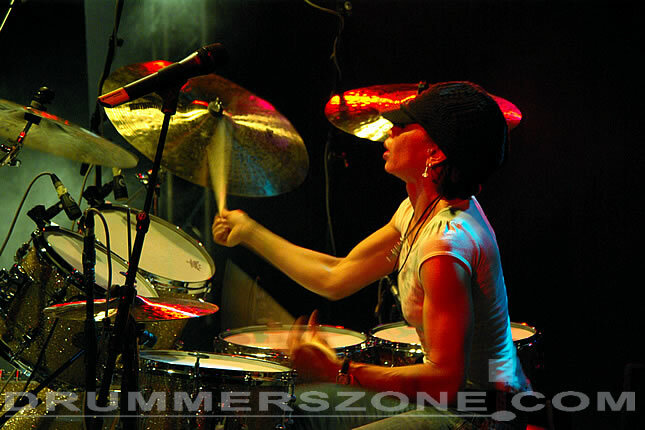 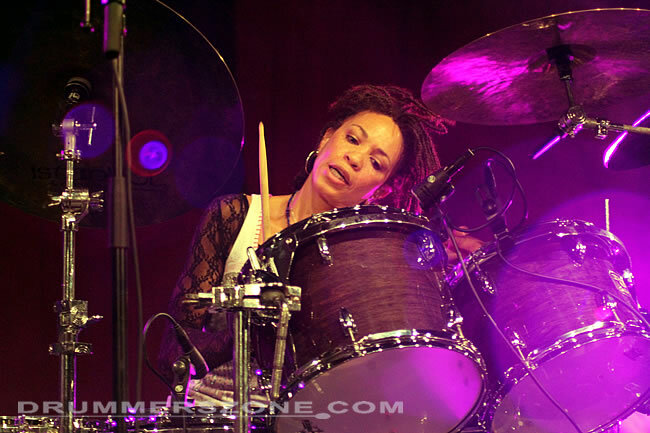 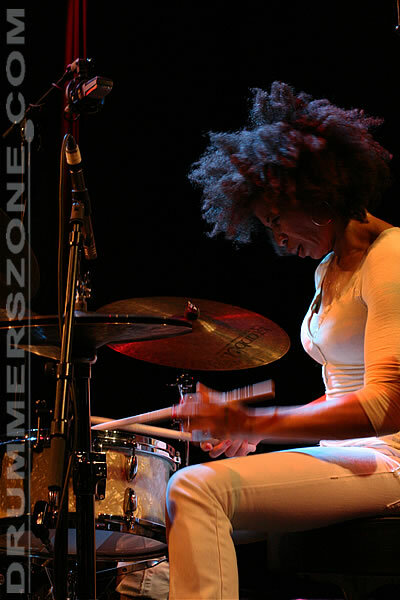 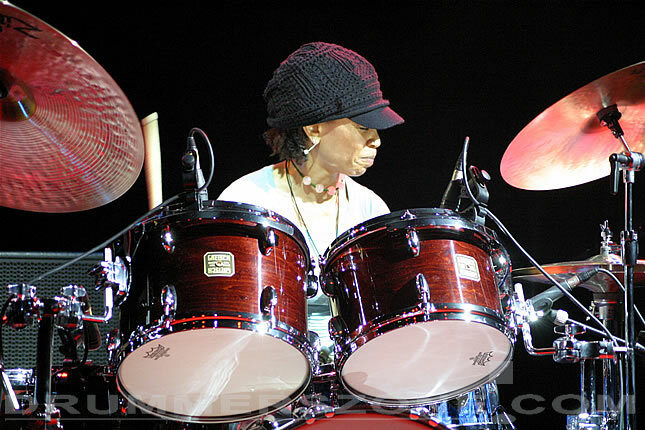 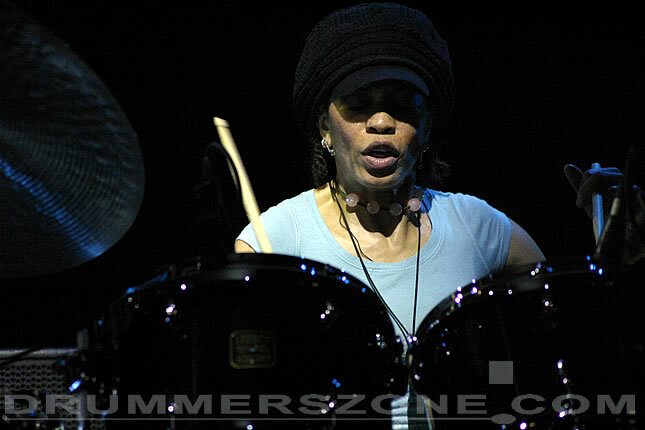 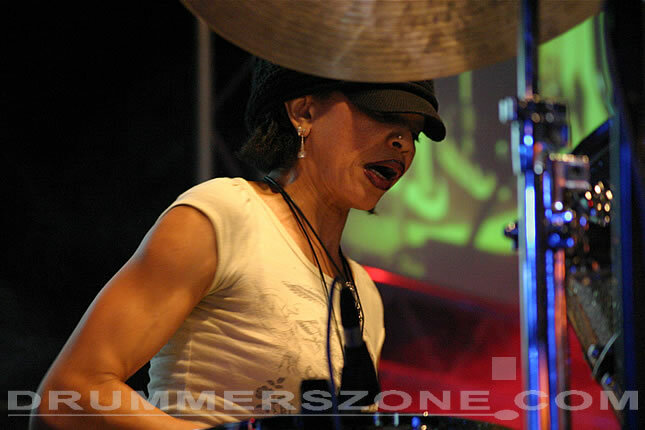 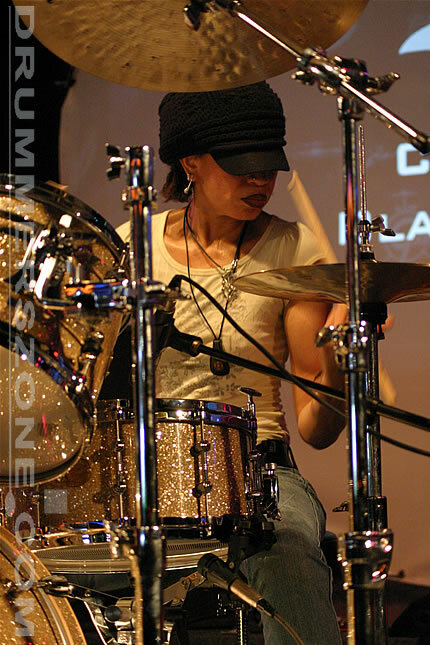 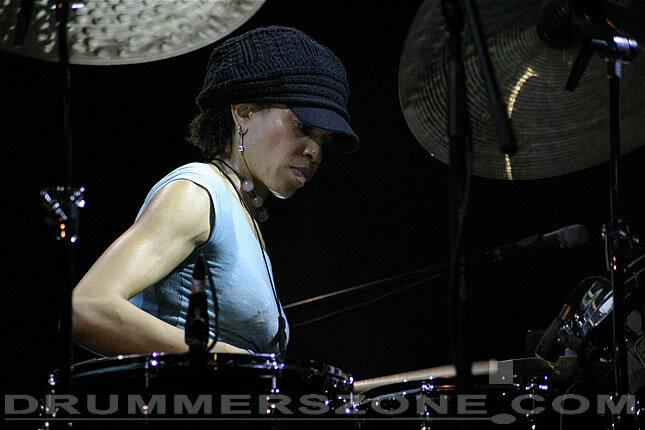 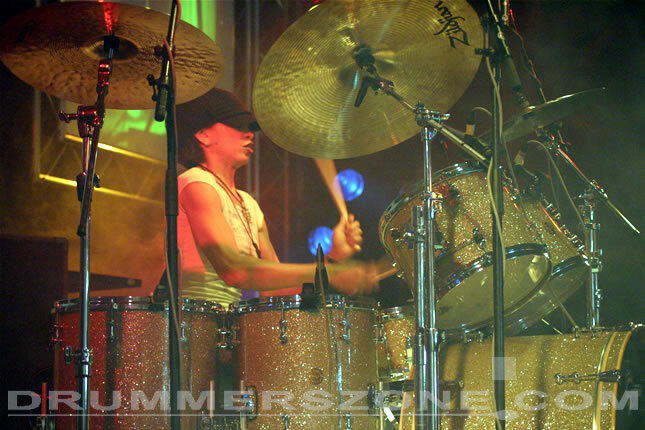 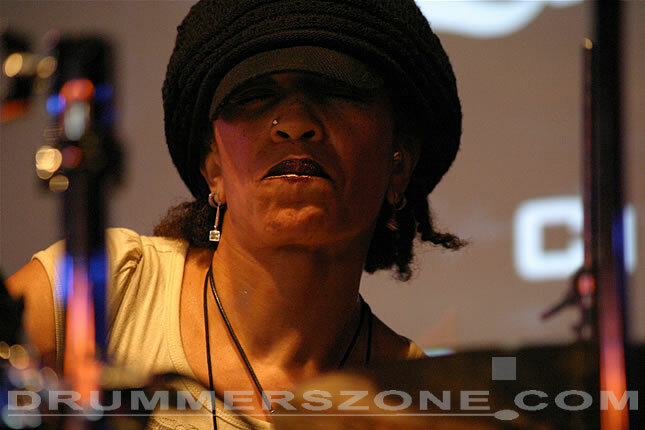 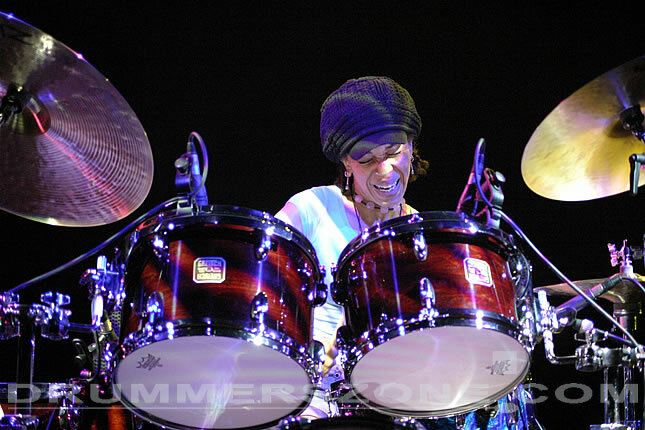 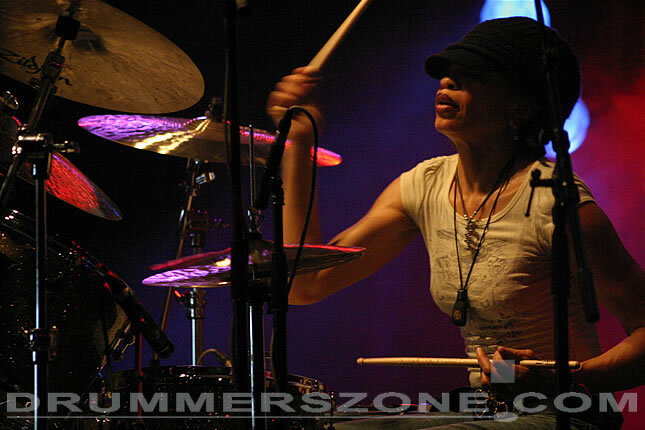 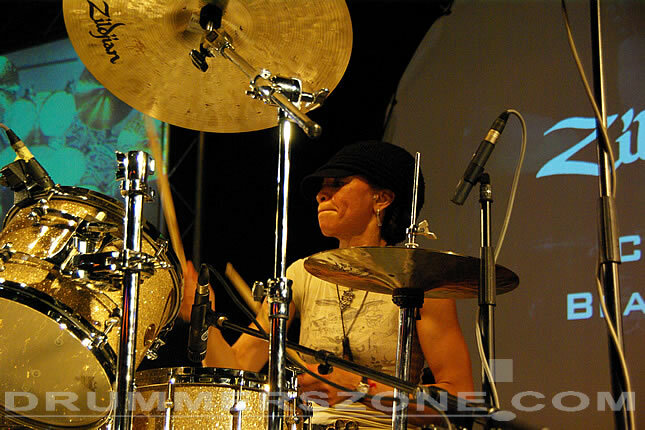 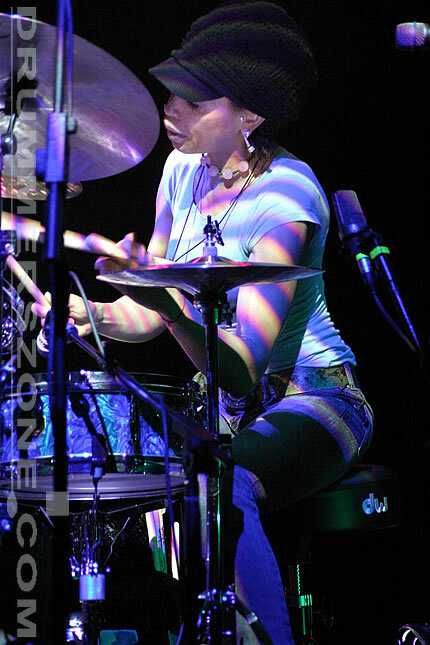 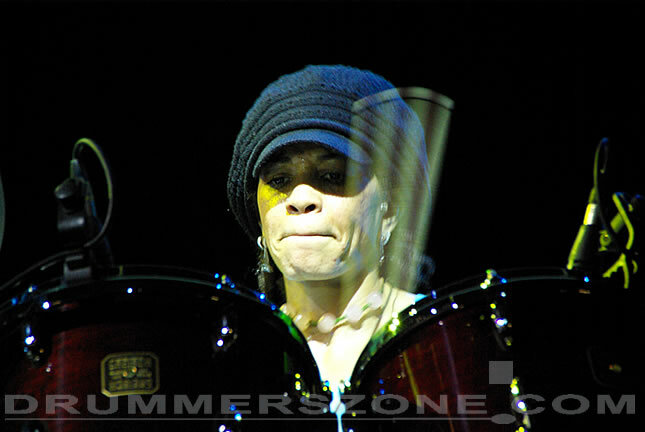 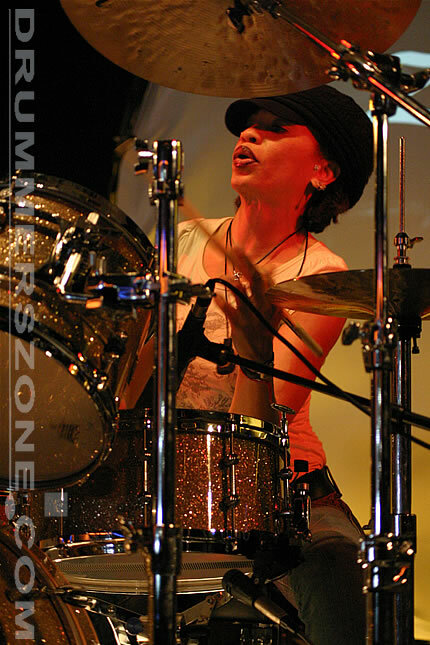 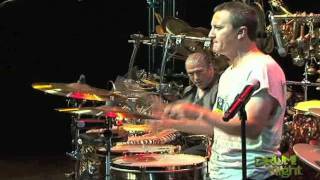 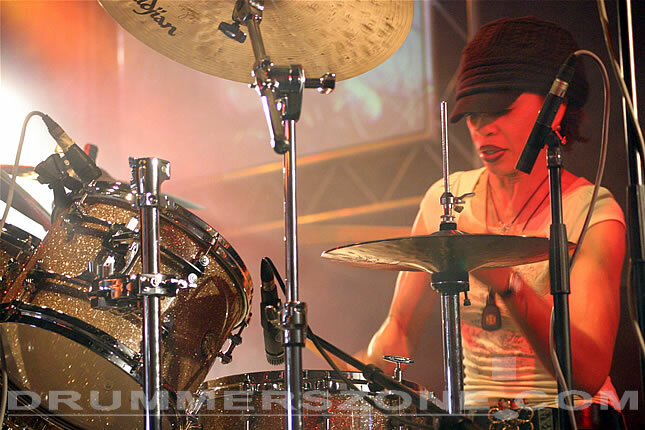 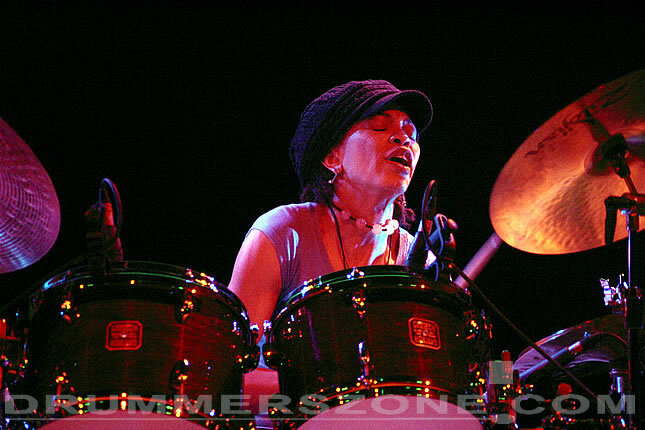 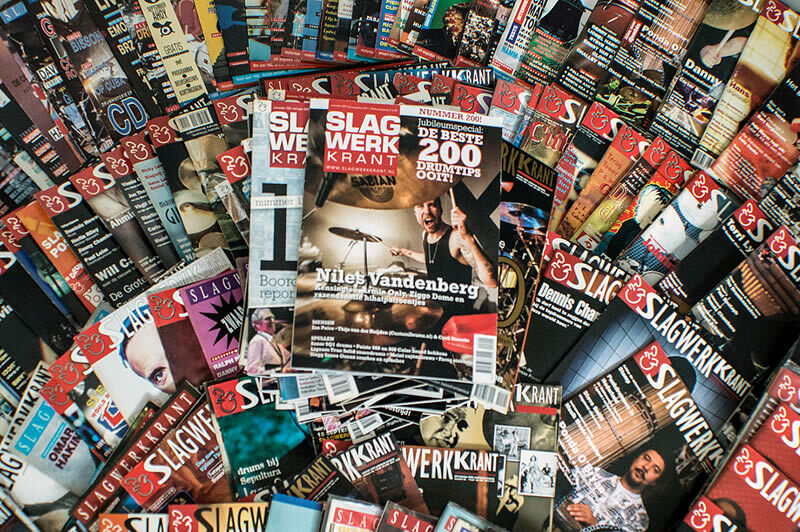 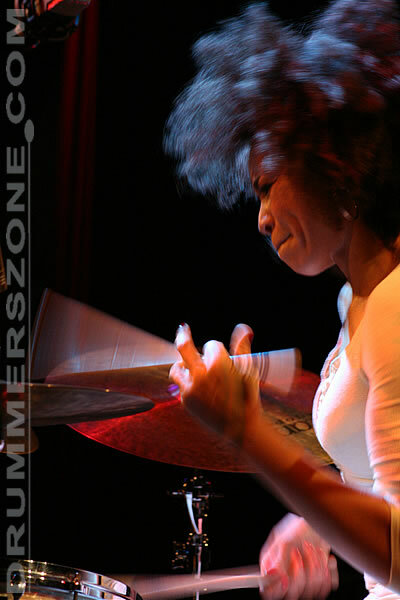 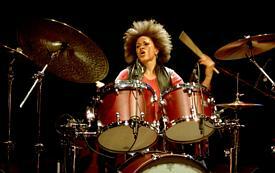 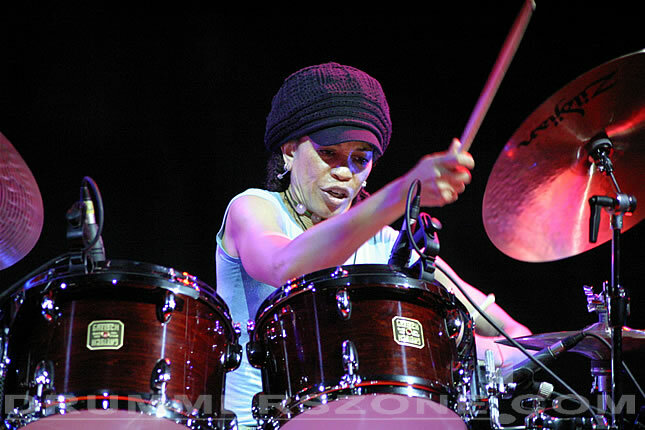 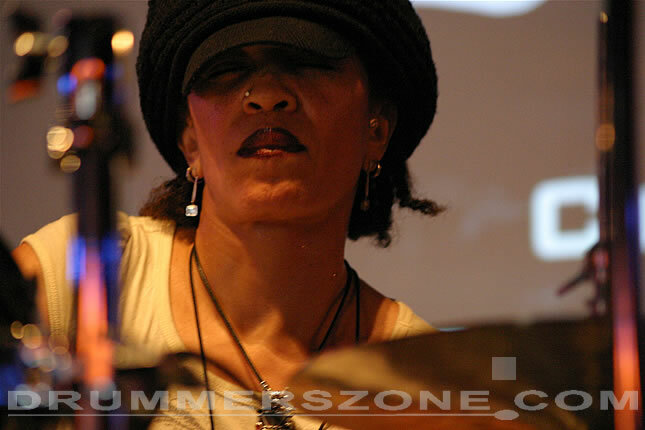 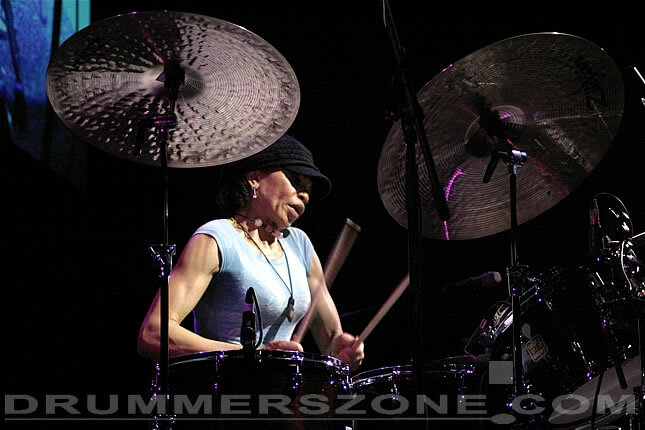 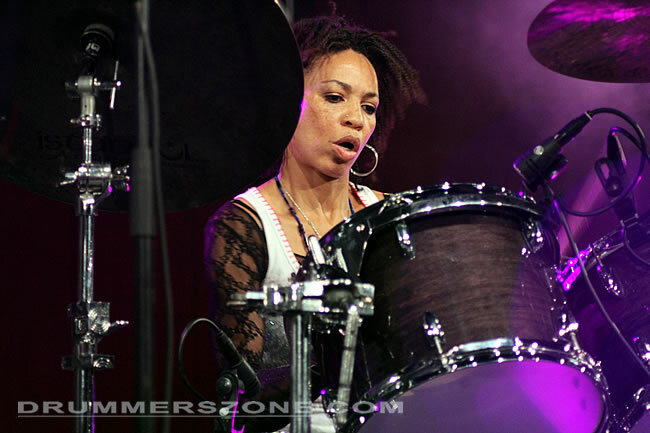 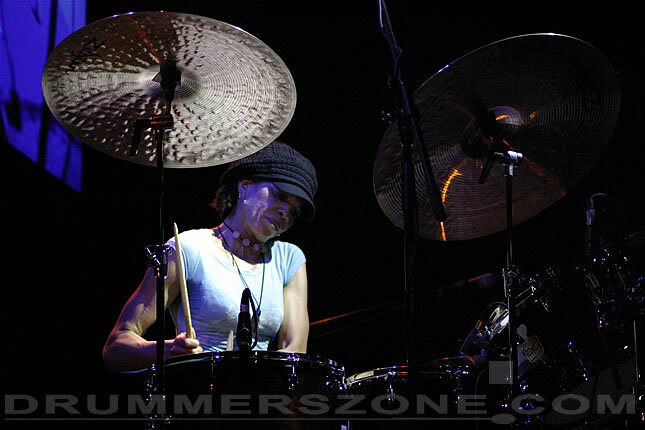 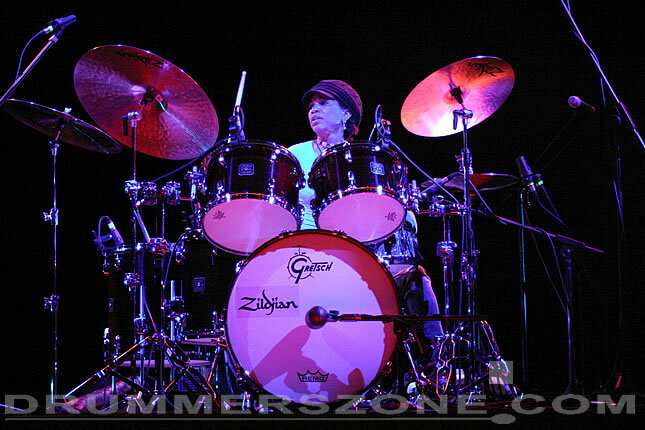 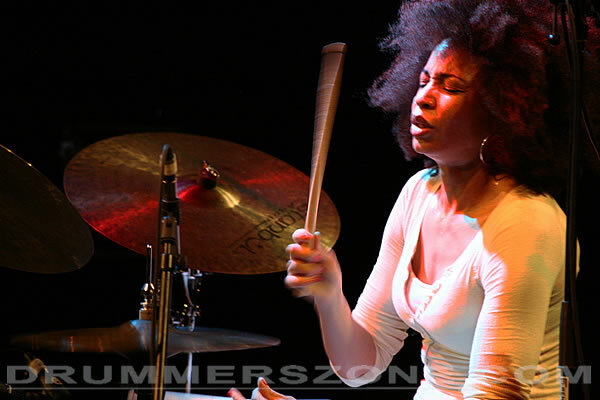 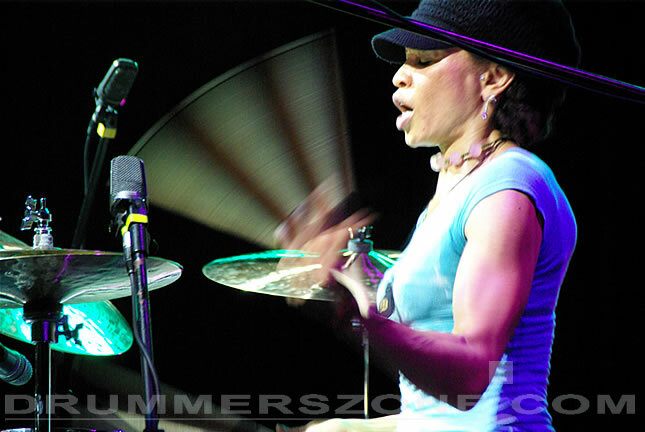 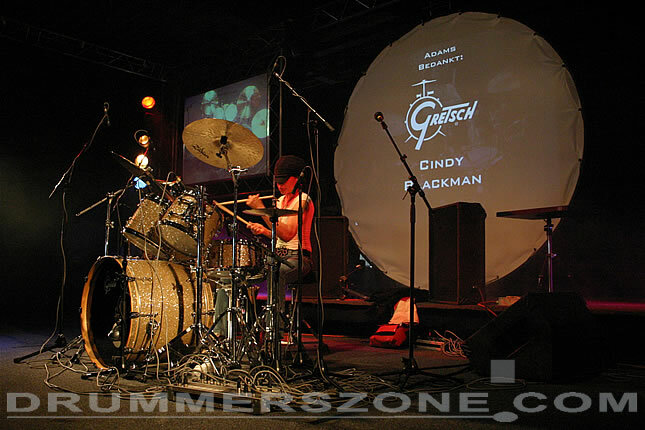 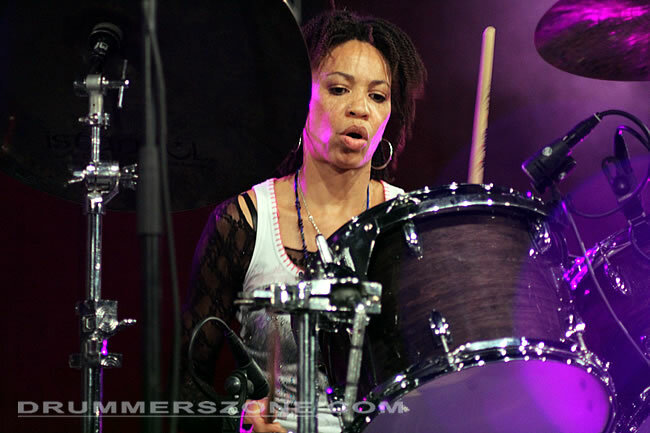 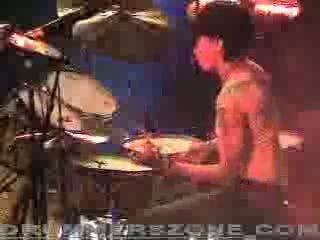 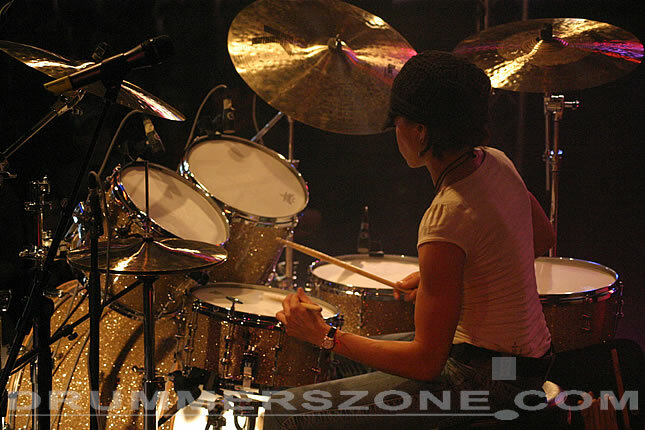 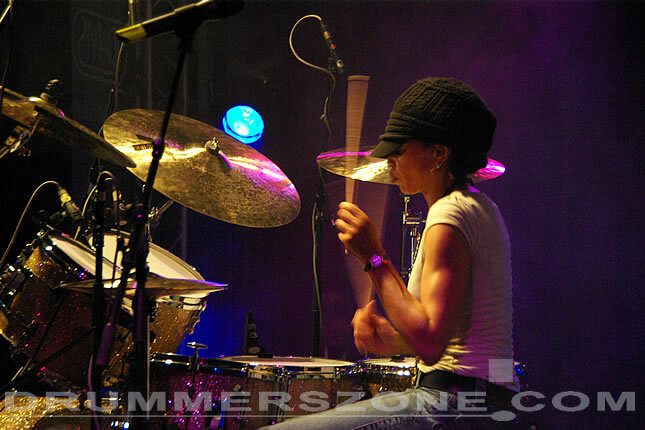 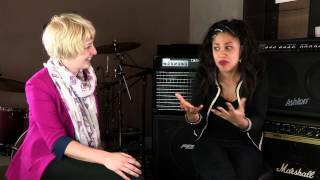 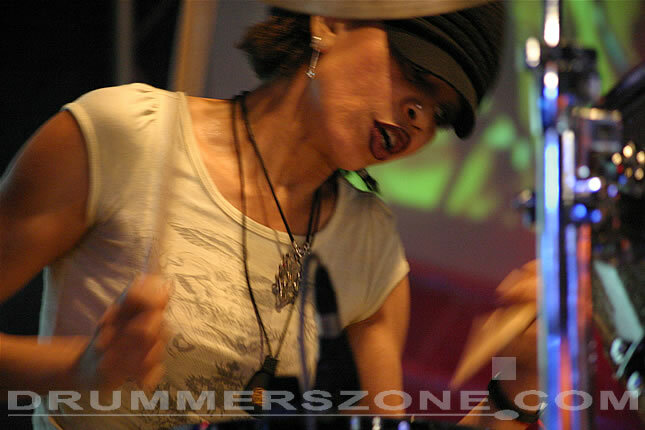 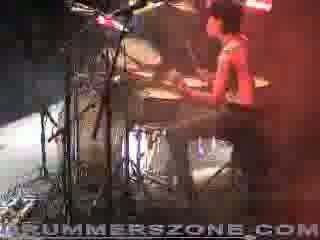 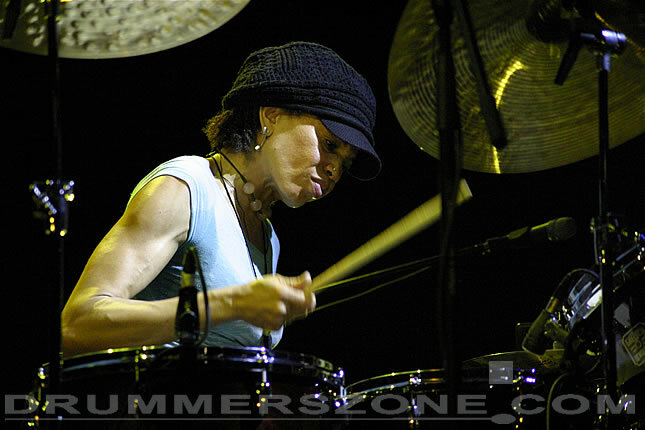 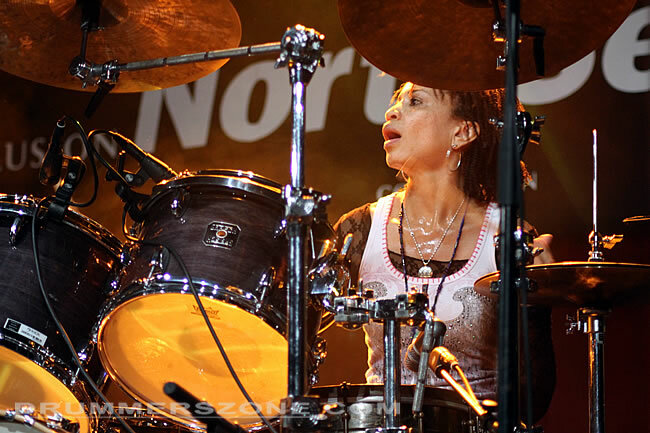 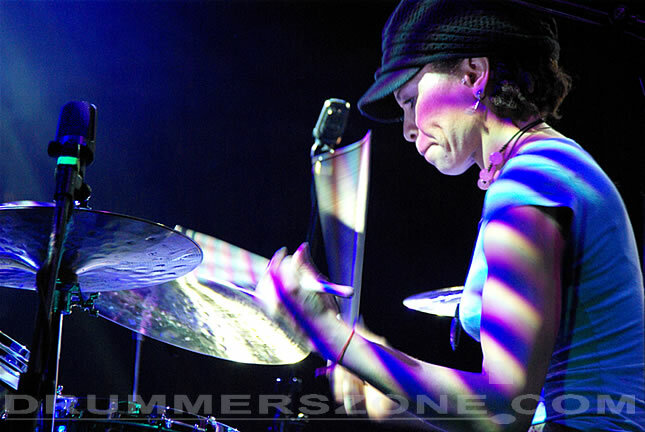 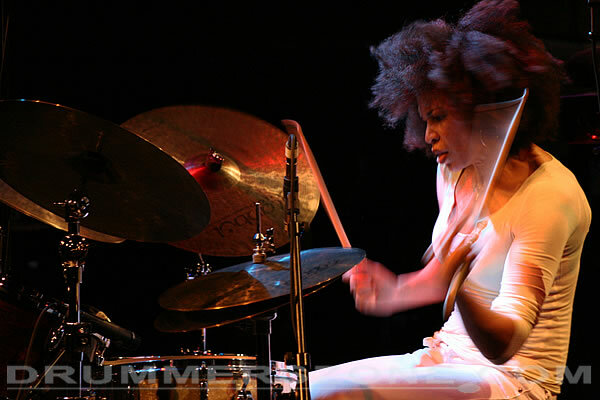 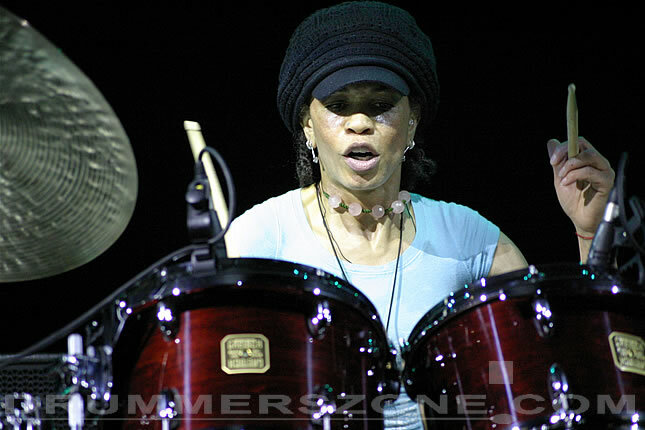 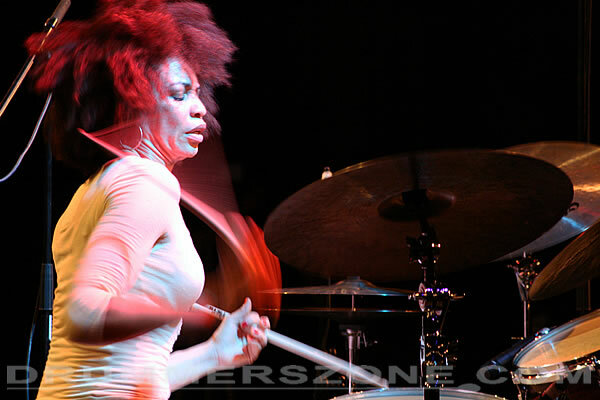 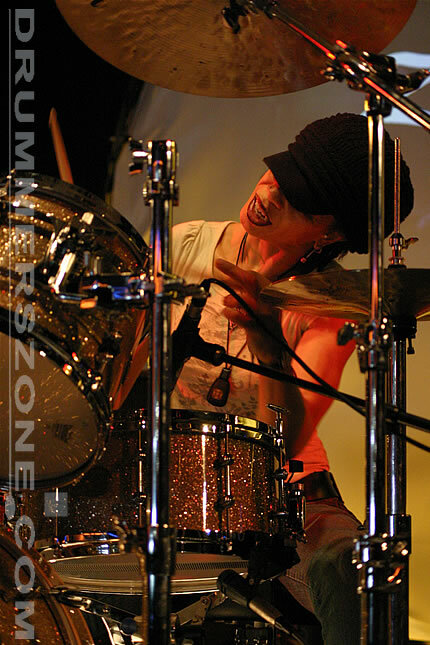 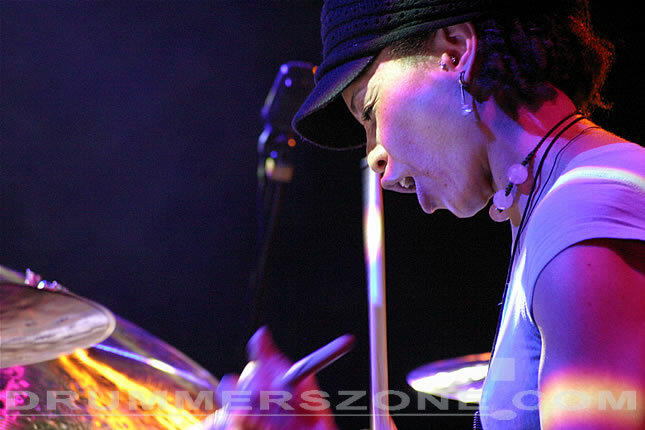 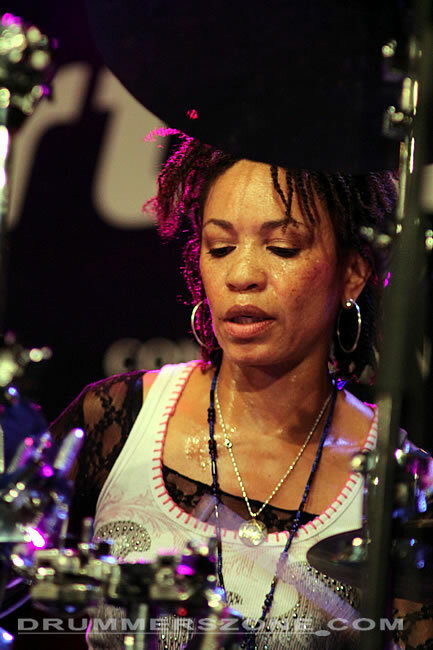 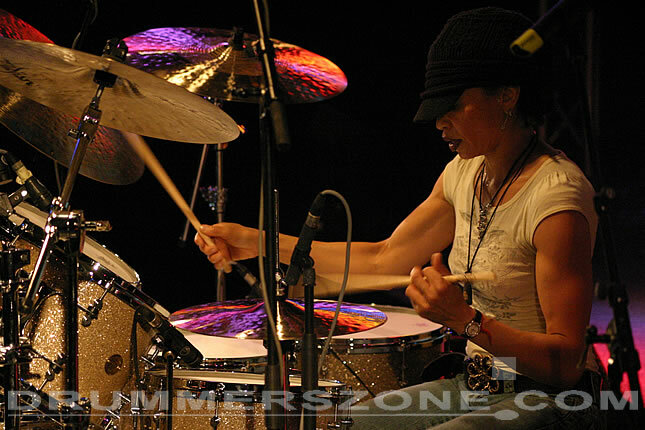 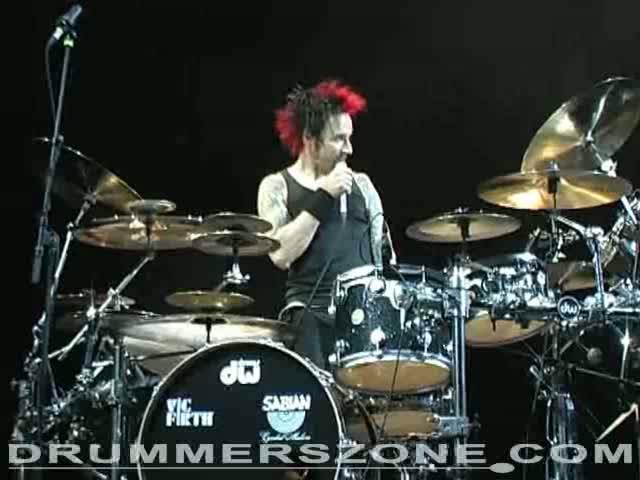 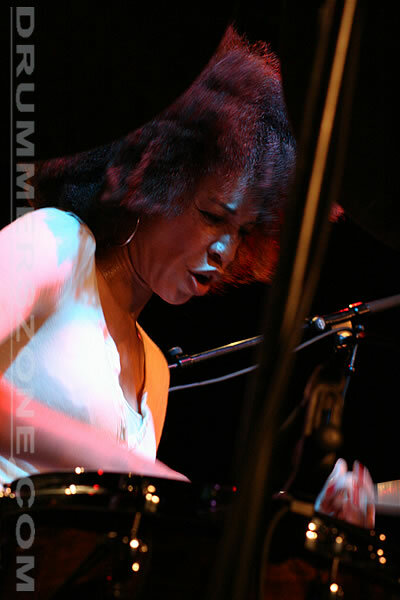 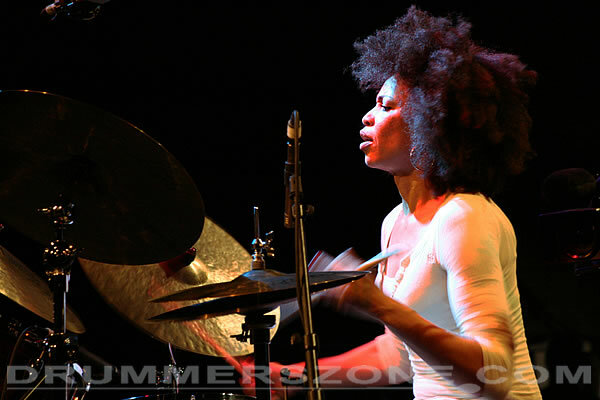 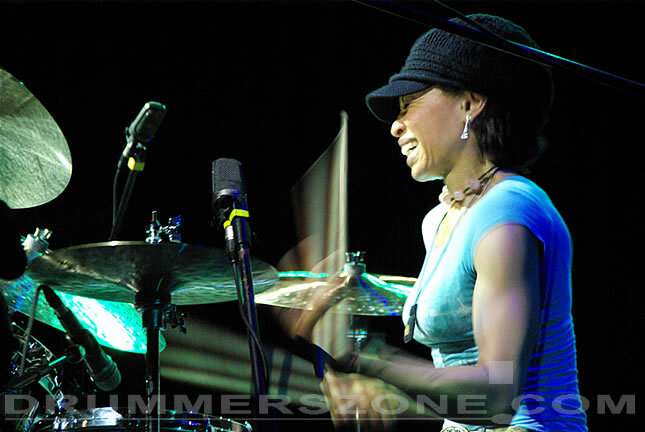 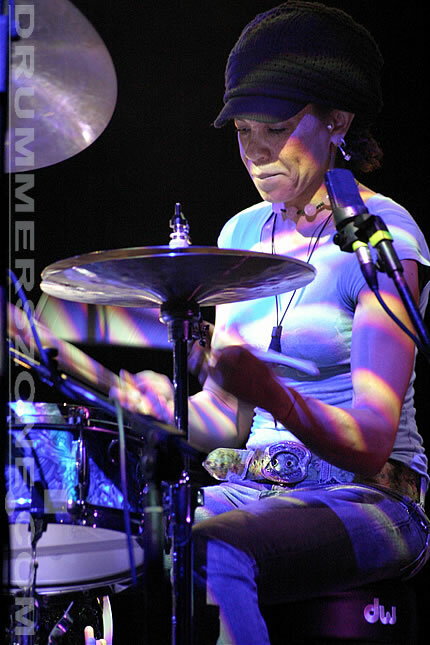 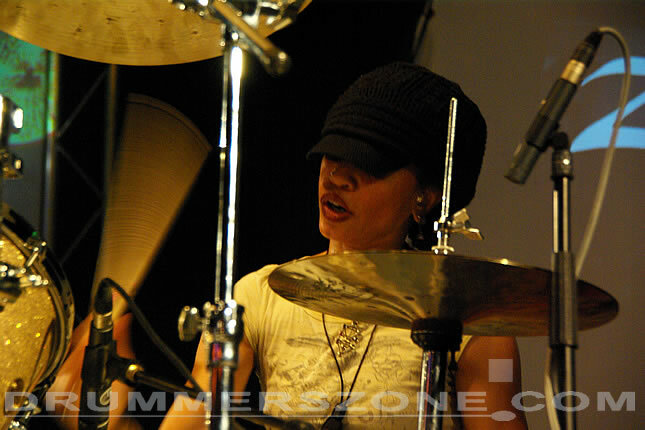 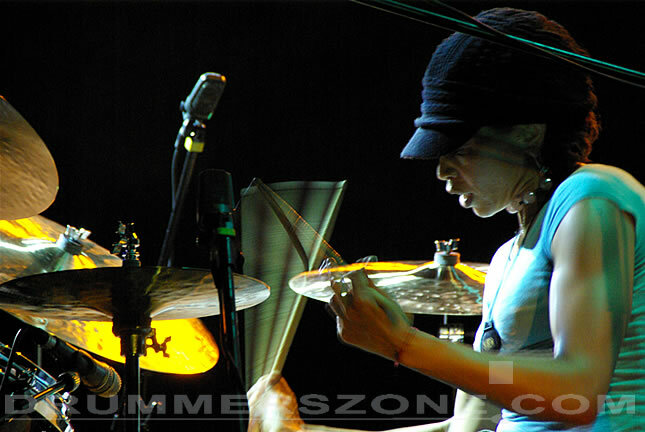 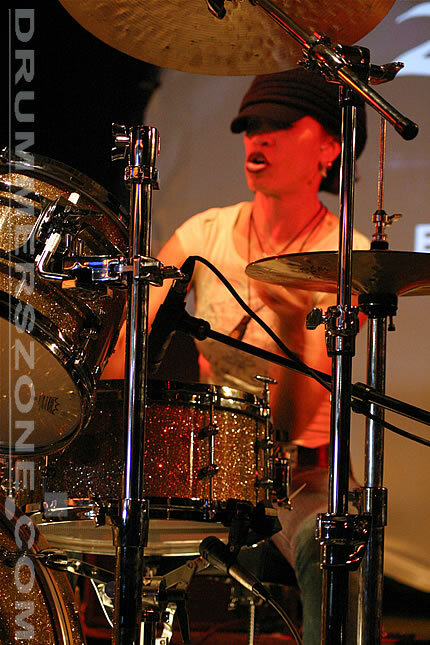 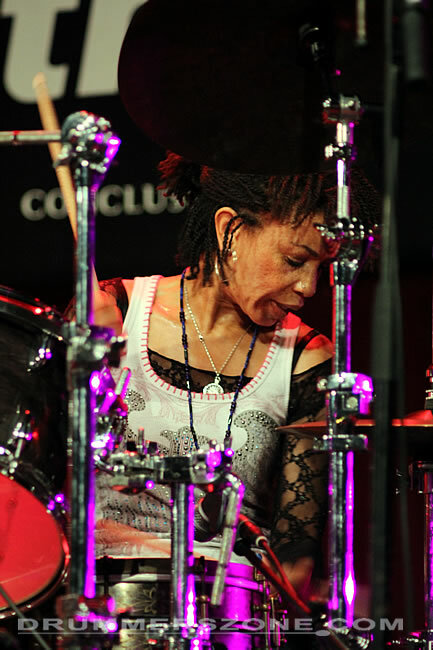 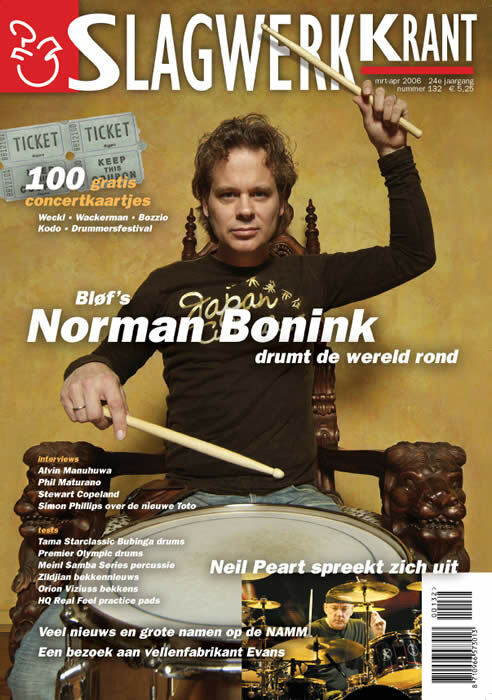 Cindy Blackman clinic at 2007 edition of Drummer Magazine's Drummer Live! 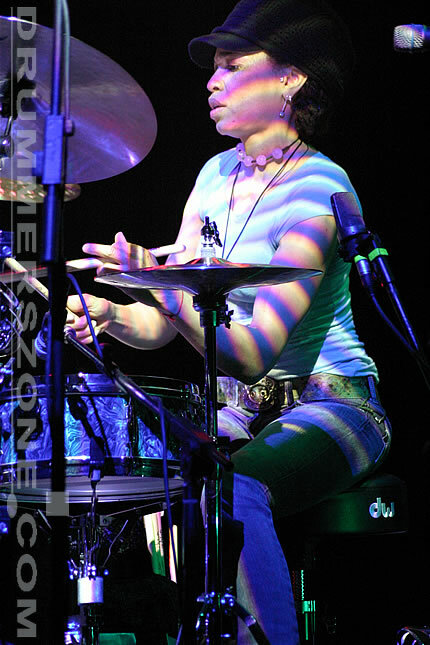 at the London Docklands' ExCeL Centre. 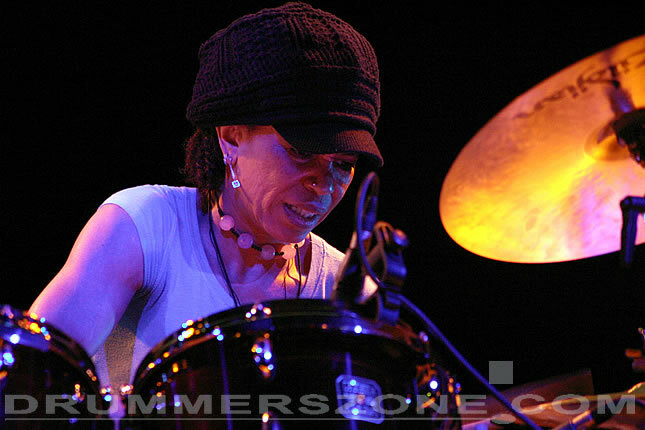 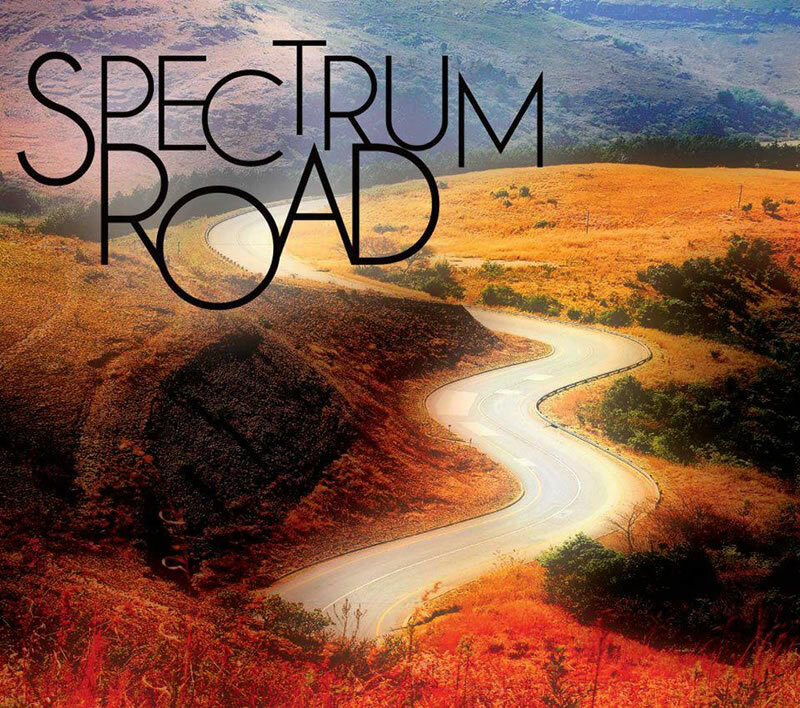 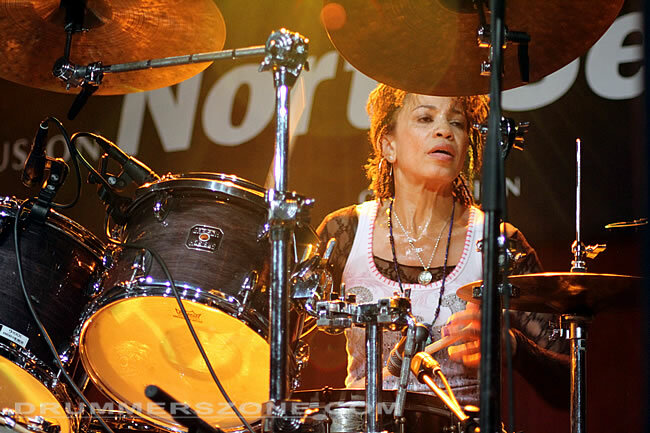 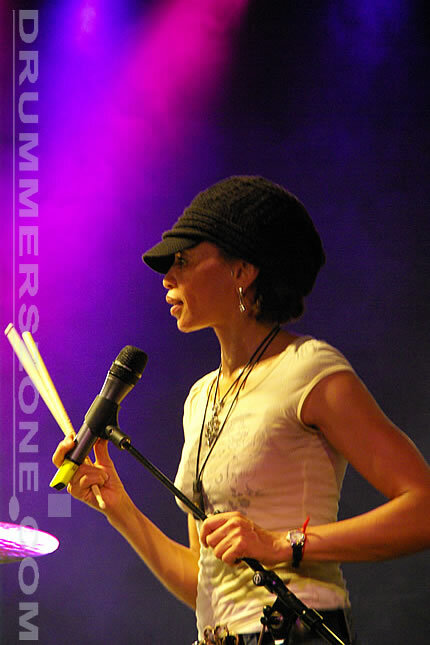 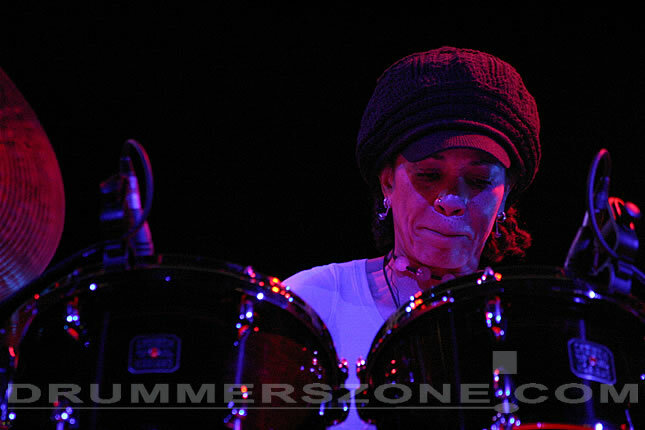 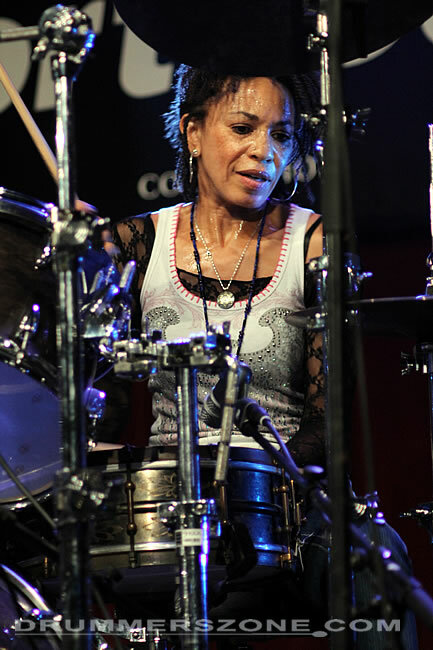 Born in Ohio and raised in Connecticut, Cindy Blackman (Yellow Springs, 1959) began her musical career as a New York street performer. 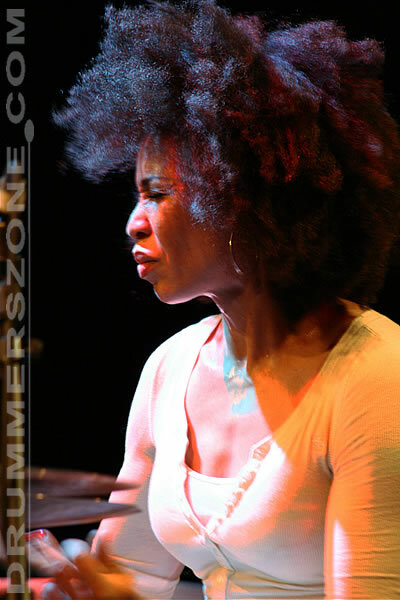 She spent three semesters at Berklee College of Music in Boston, Massachusetts and also studied with legendary teacher Alan Dawson. 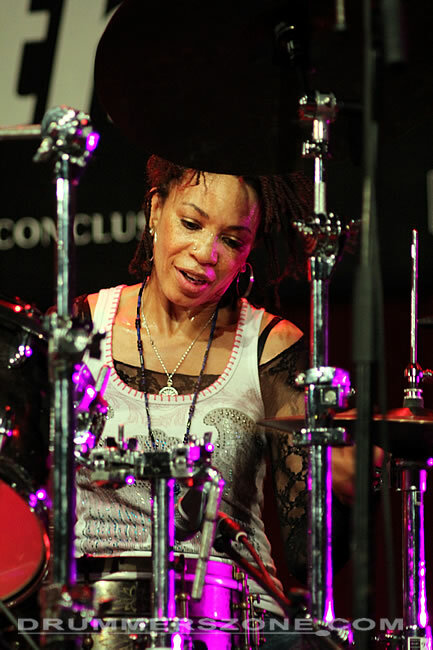 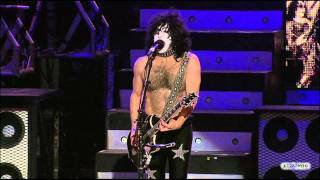 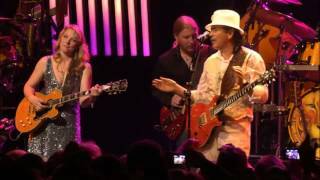 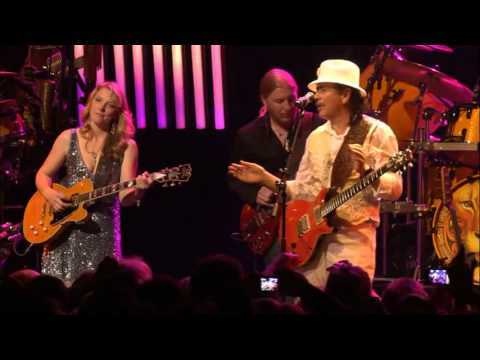 Cindy moved to New York City in the 80�s and since that time, she has been seen and heard by millions of people all over the world performing with her own group and retro funk rocker Lenny Kravitz. 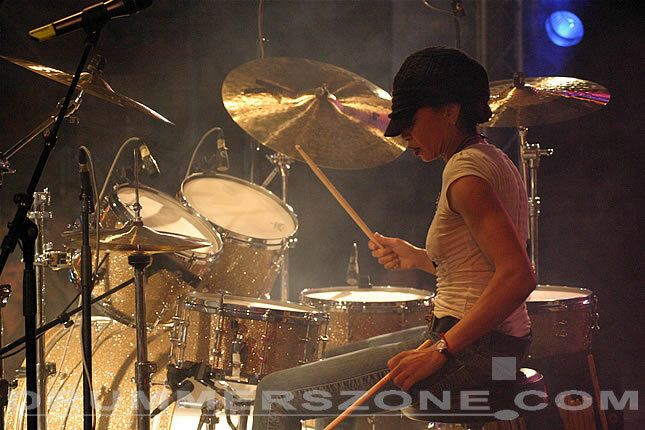 In 1998, Cindy Blackman released her first drumming instructional video entitled, "Multiplicity through Warner Brothers publications. 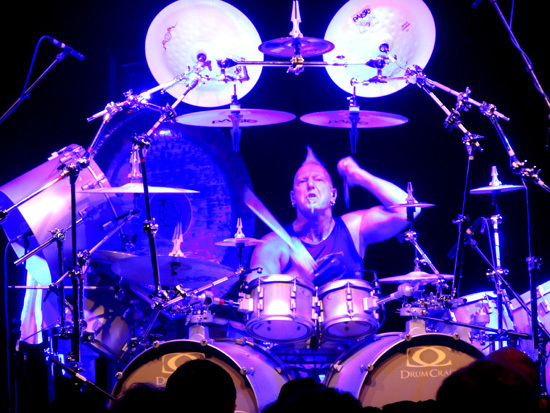 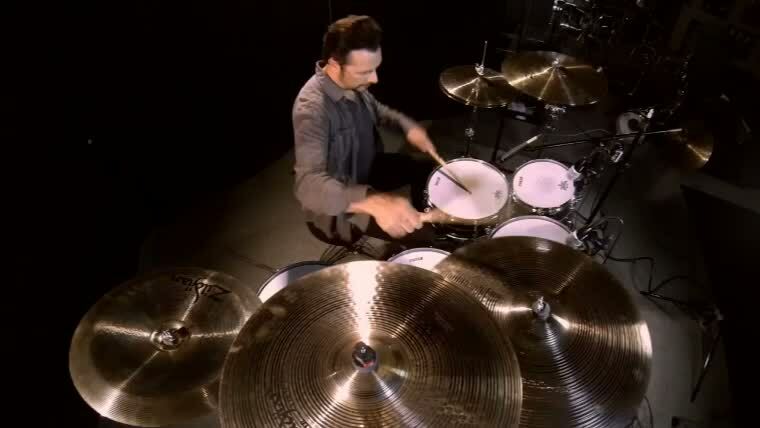 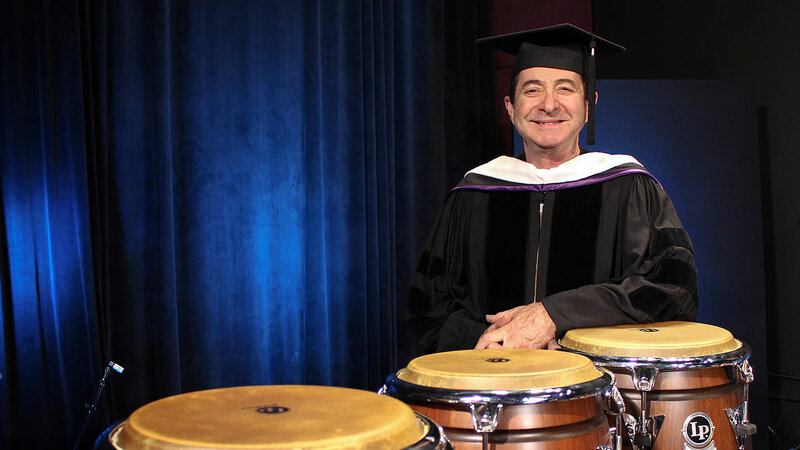 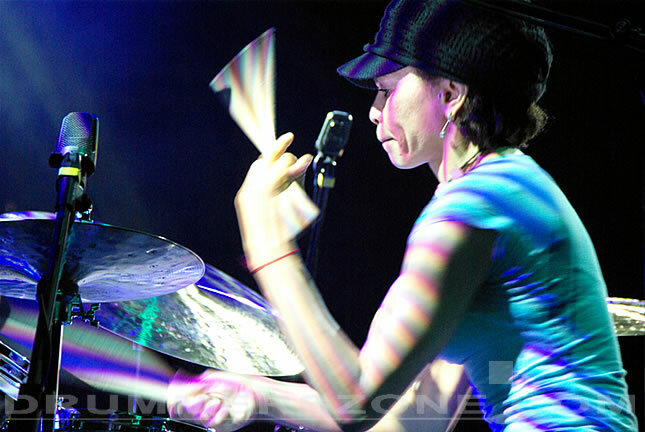 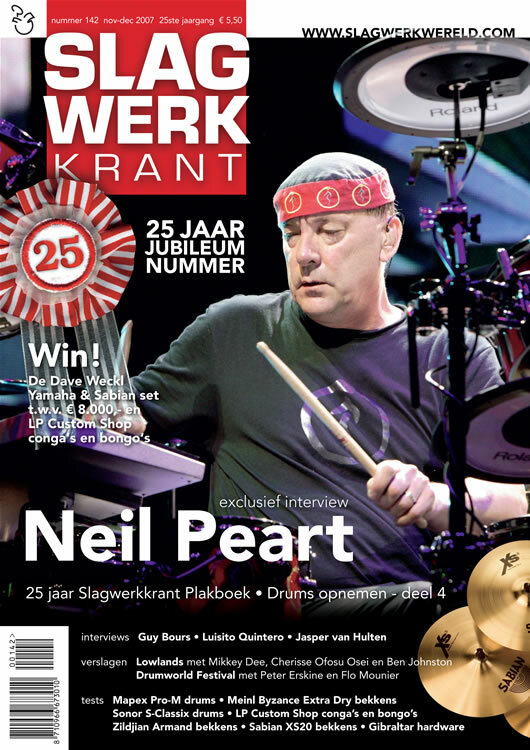 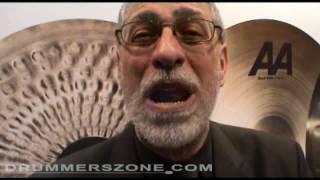 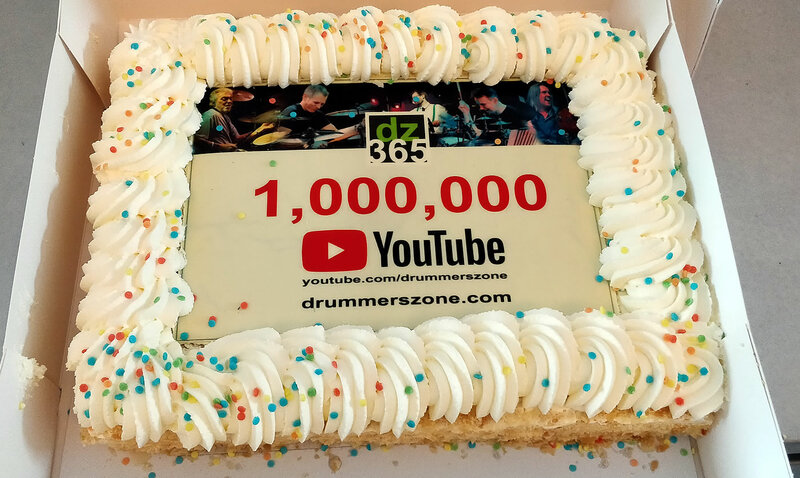 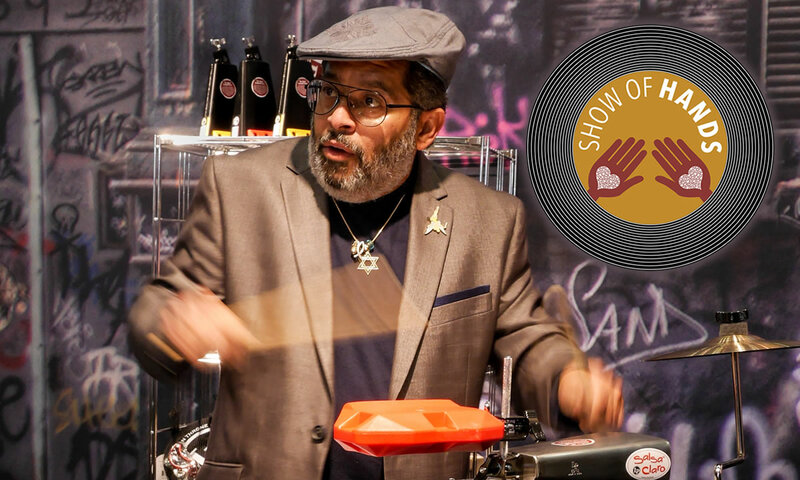 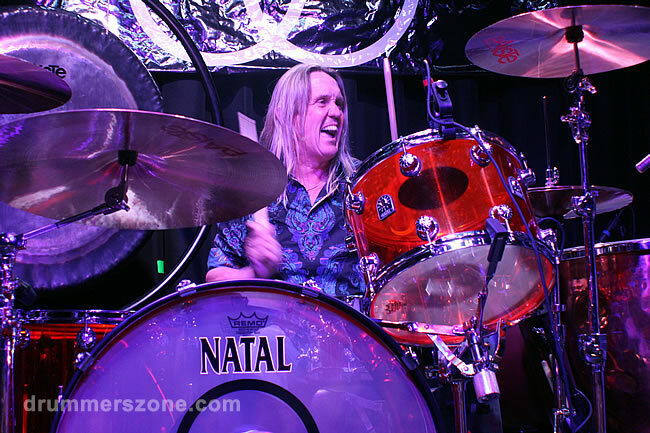 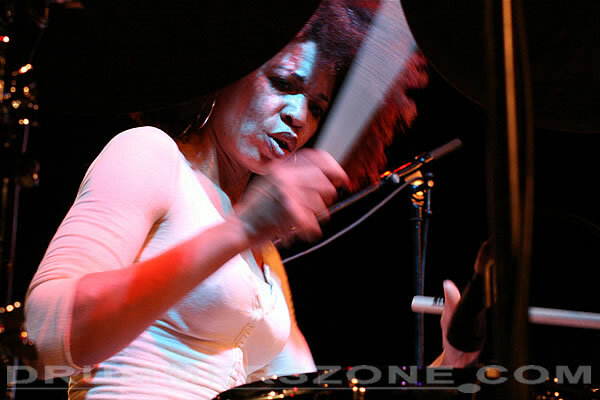 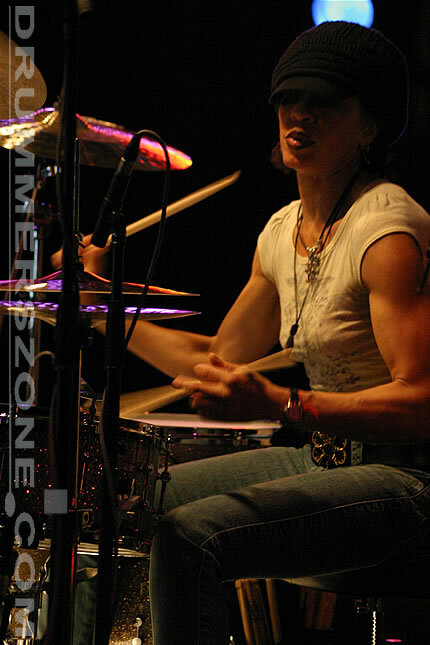 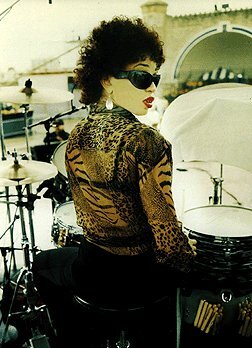 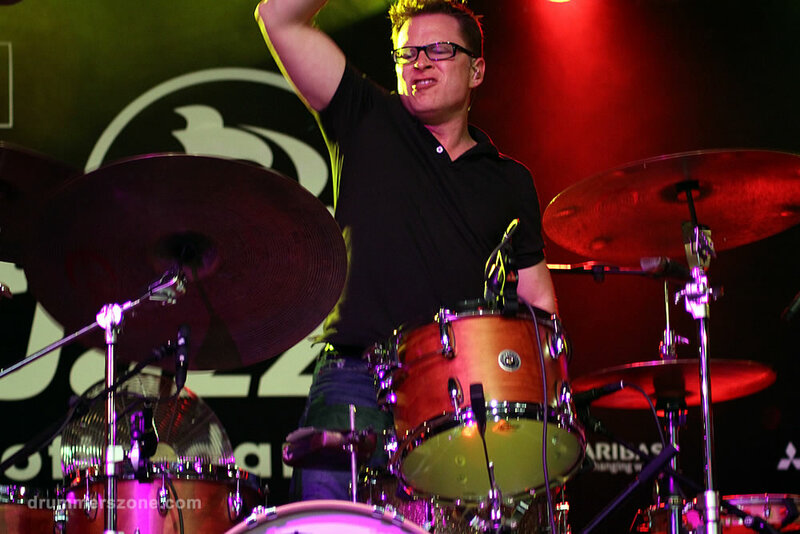 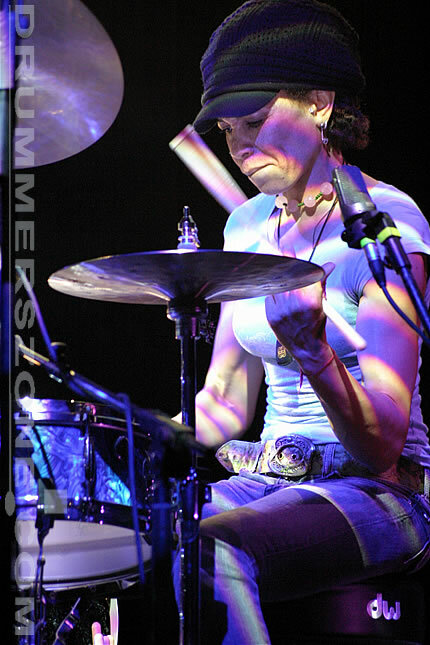 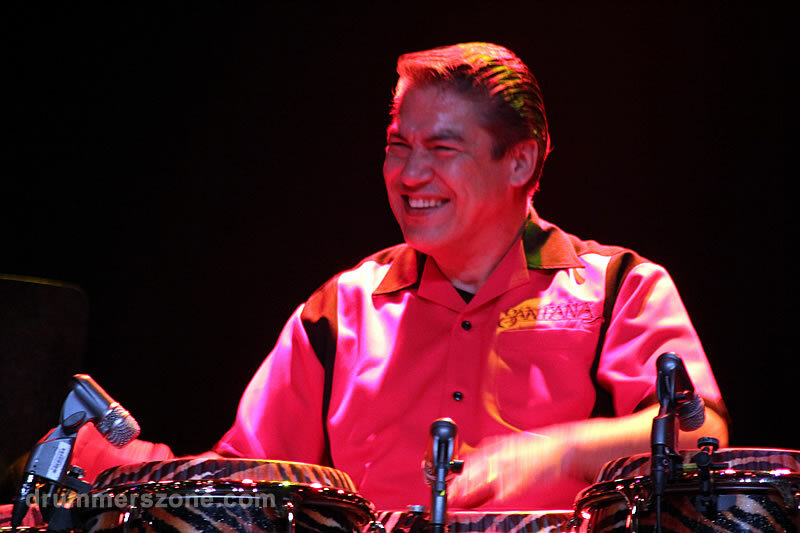 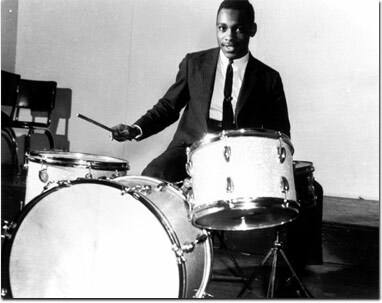 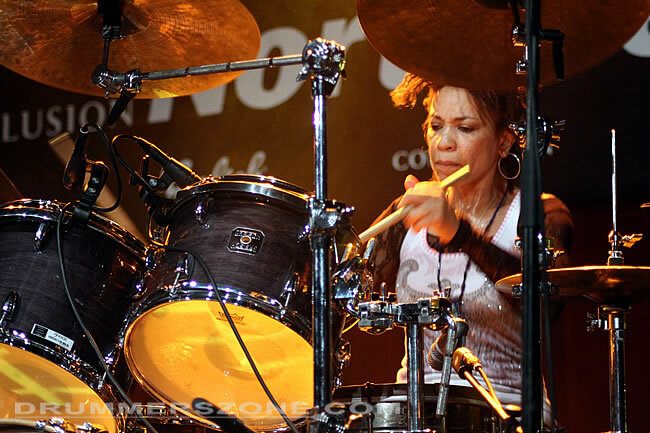 Cindy has been touted as " one of the hottest drummers in the business ", by the Star-Gazette and is regarded by many as one of the top drummers in the world. 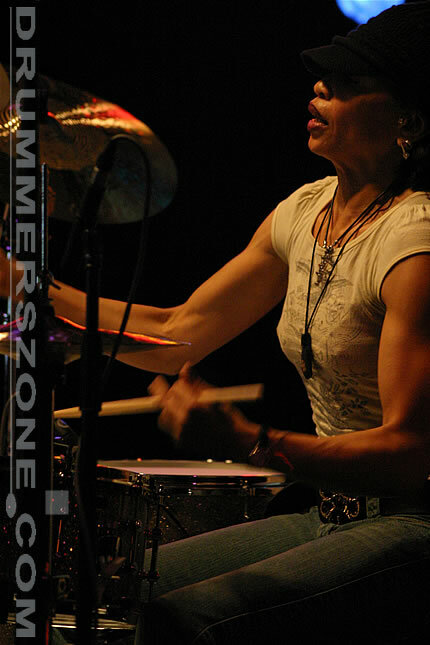 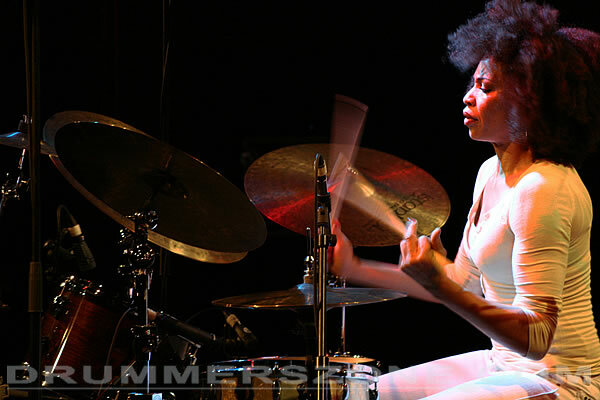 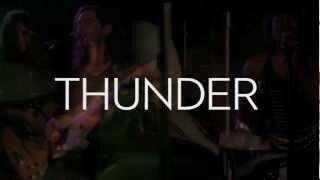 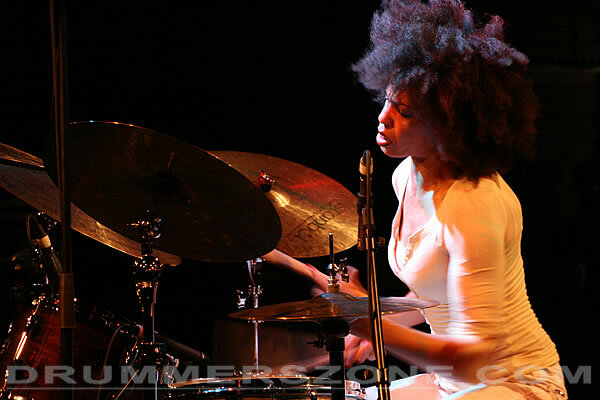 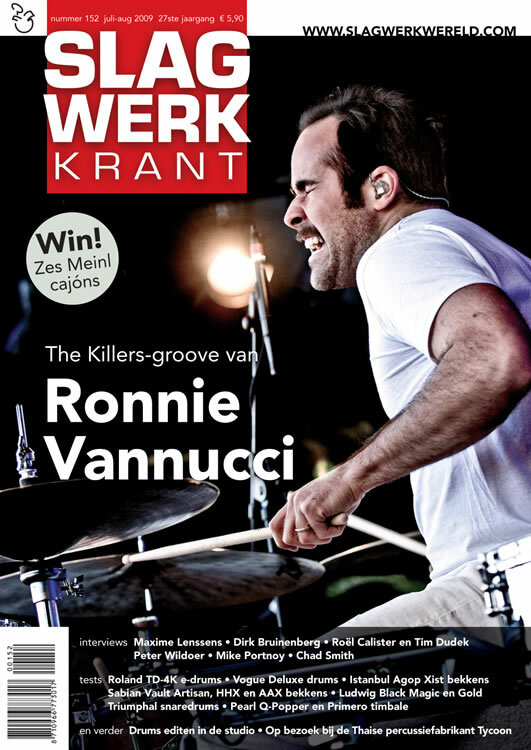 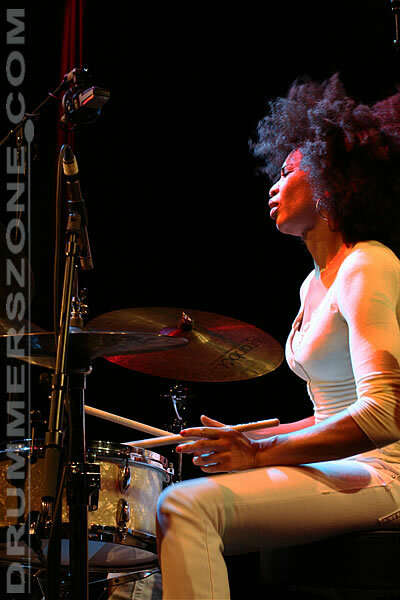 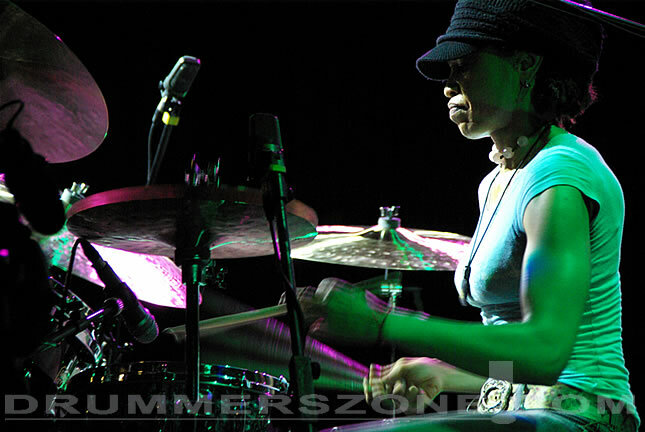 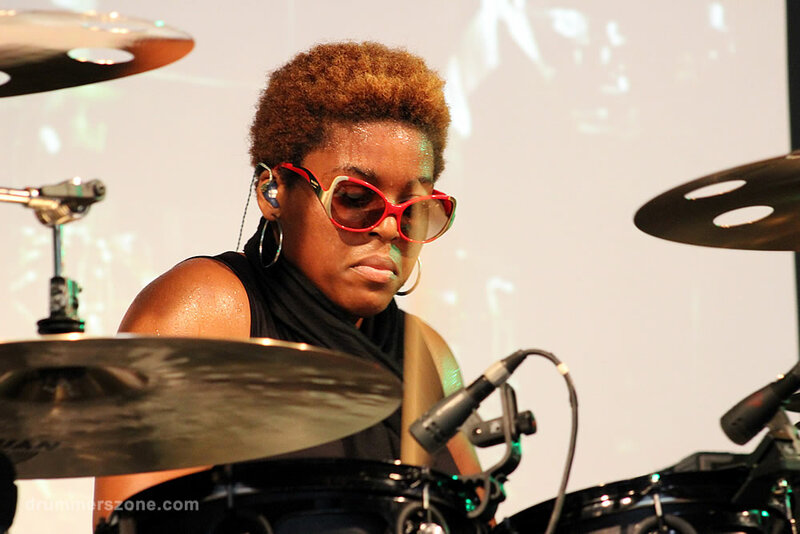 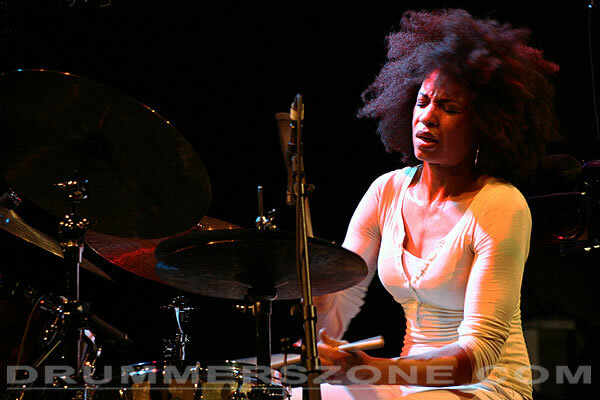 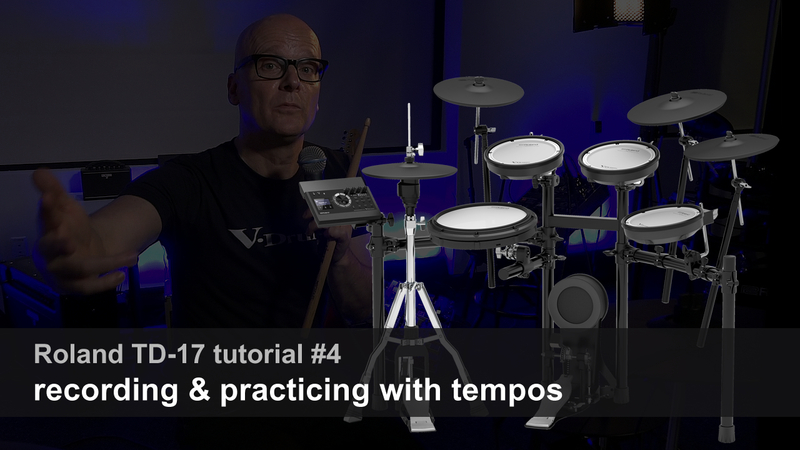 She is a solid, dependable drummer who can easily move from straight-ahead jazz to rock to funk and back again. 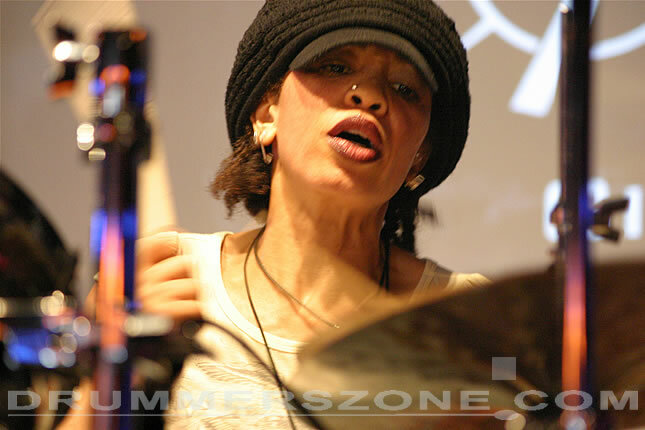 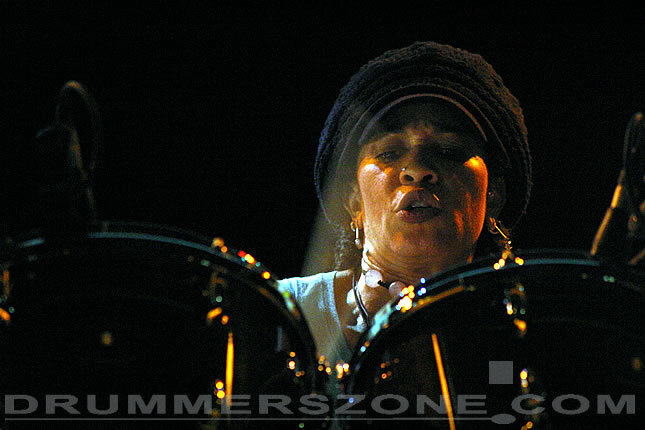 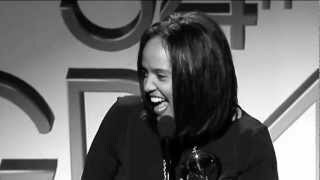 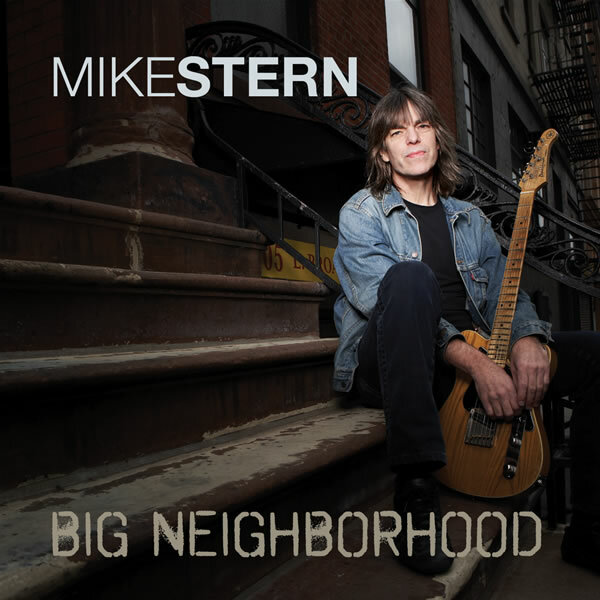 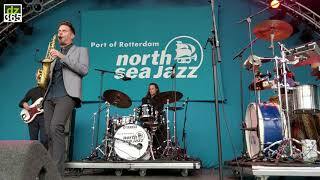 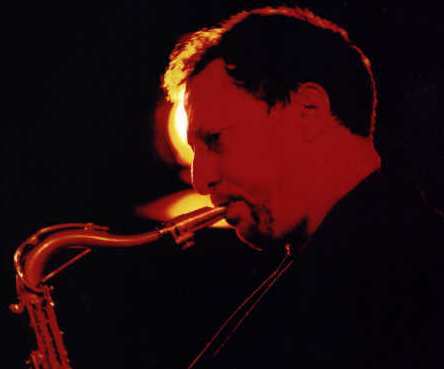 She�s upheld the backbeat and created texture for a veritable "Who�s Who" in jazz, including Jackie McLean, Joe Henderson, Don Pullen, Hugh Masekela, Pharaoh Sanders, Sam Rivers, Cassandra Wilson, Angela Bofill, Bill Laswell, Buckethead. 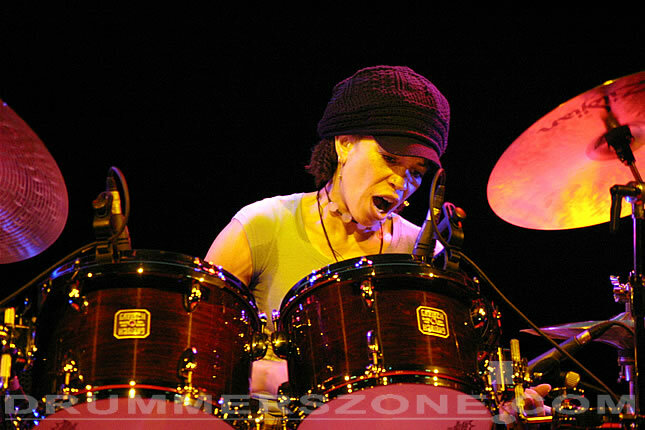 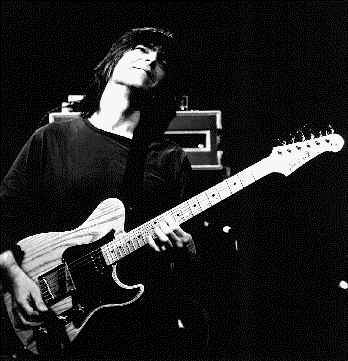 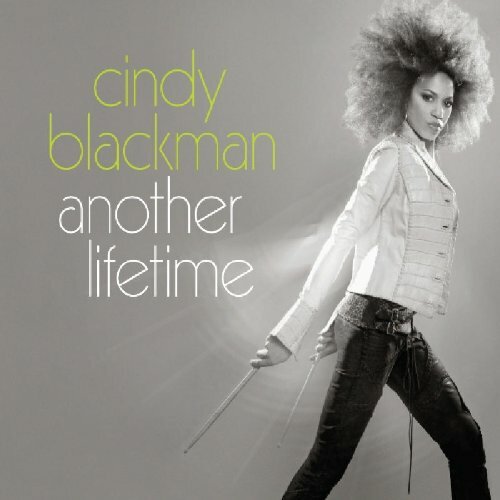 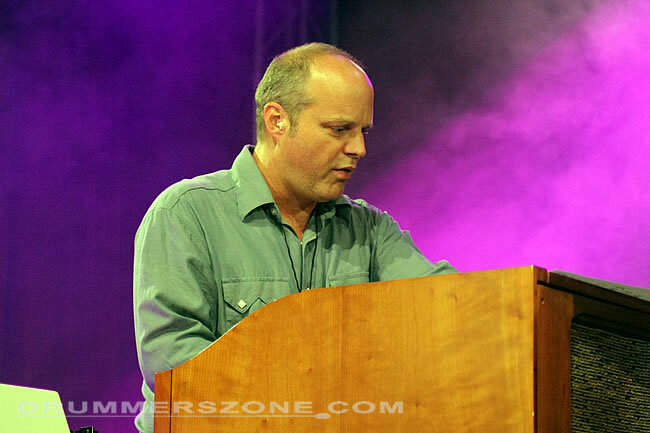 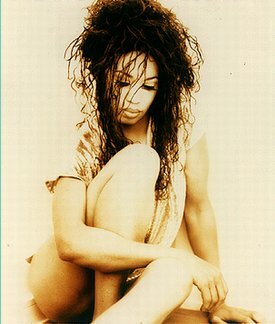 In early 2000, Cindy released the latest of her several acclaimed solo albums entitled "Works on Canvas". 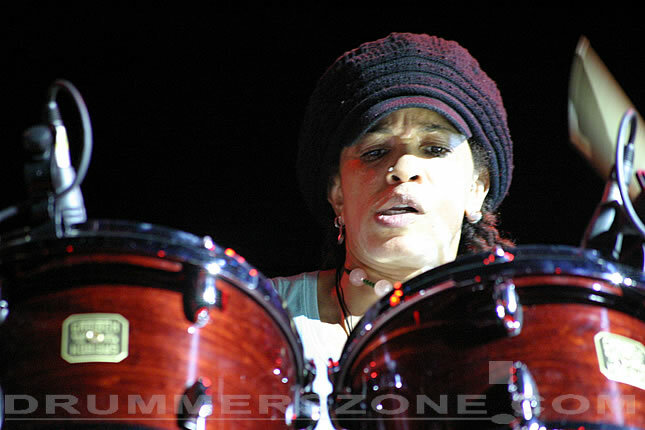 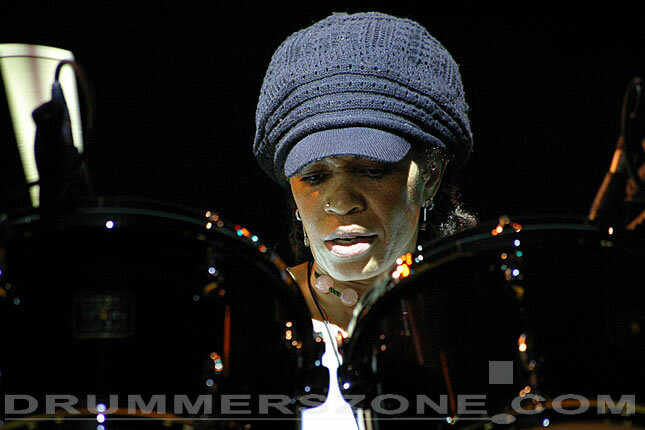 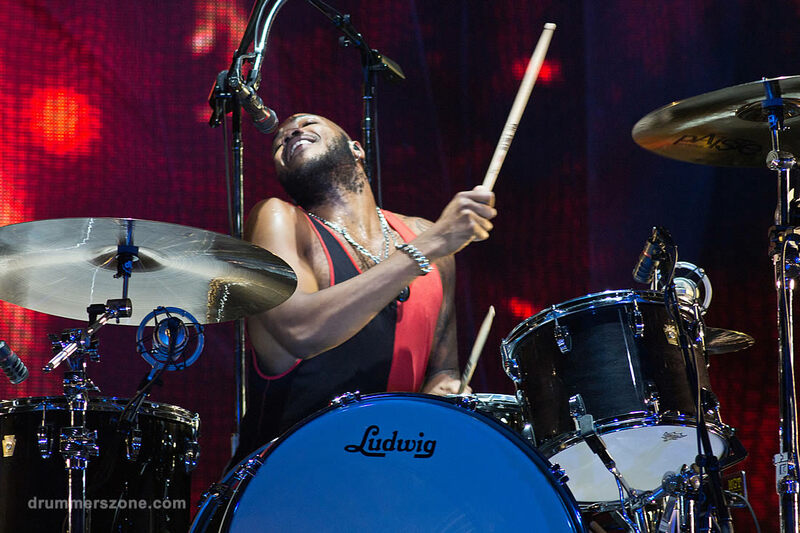 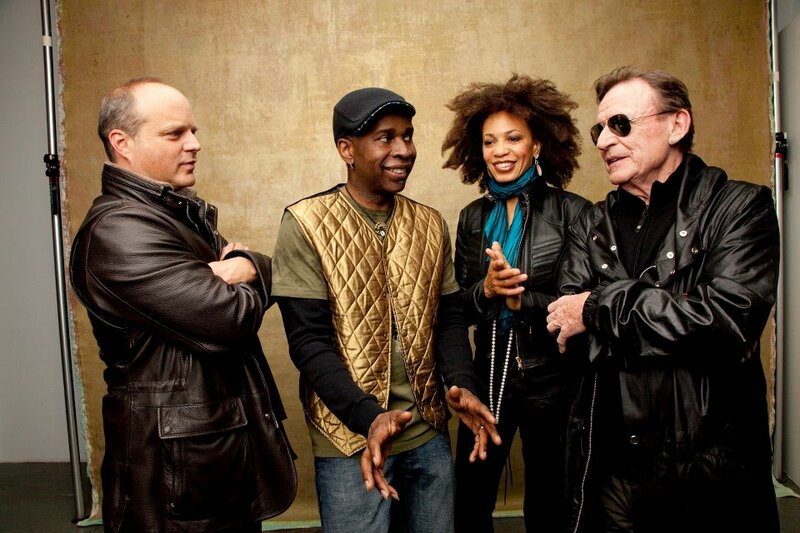 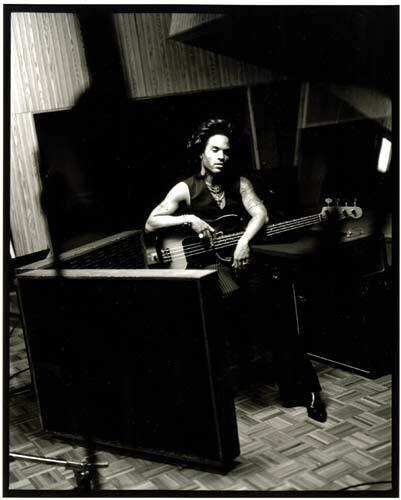 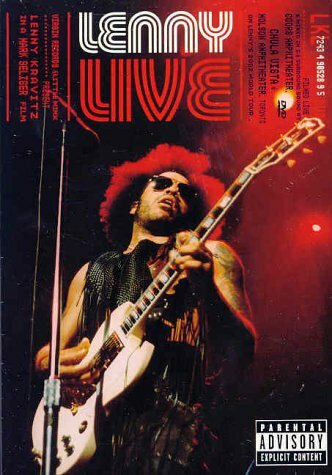 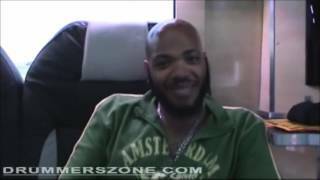 Cindy also continues to keep a very heavy schedule of touring and recording with Lenny Kravitz. 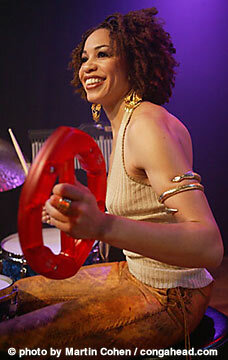 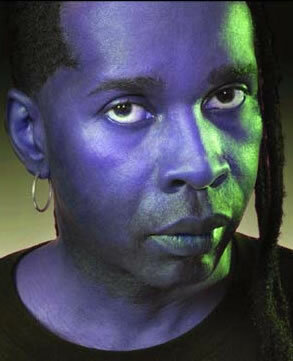 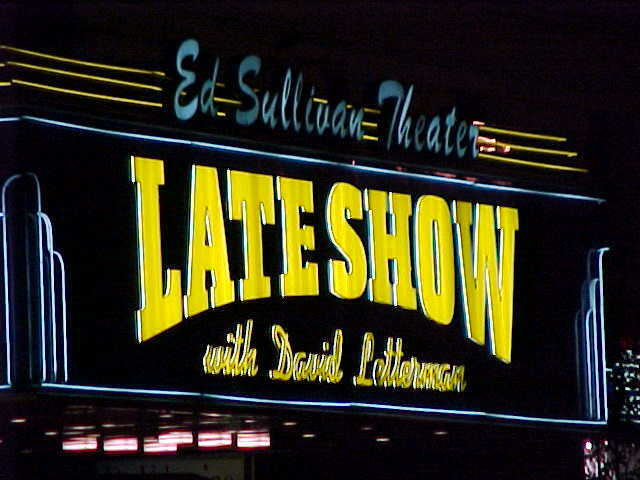 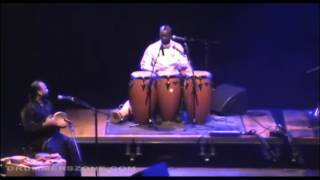 In 2003 Cindy played with Ahmir '?estlove' Thompson on "The Soul Sessions" - Joss Stone's debut. 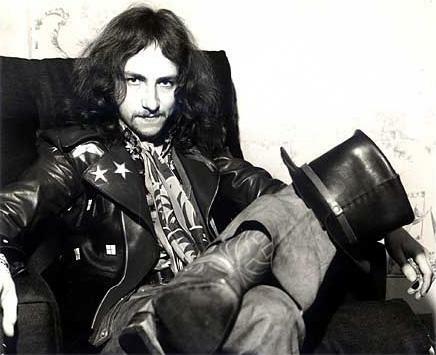 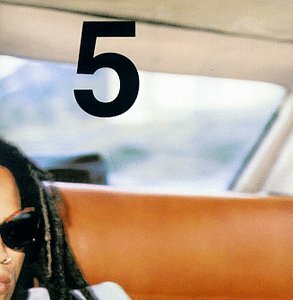 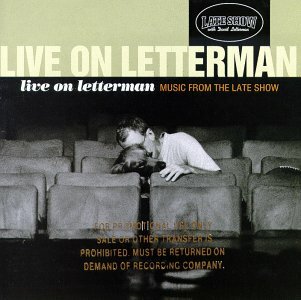 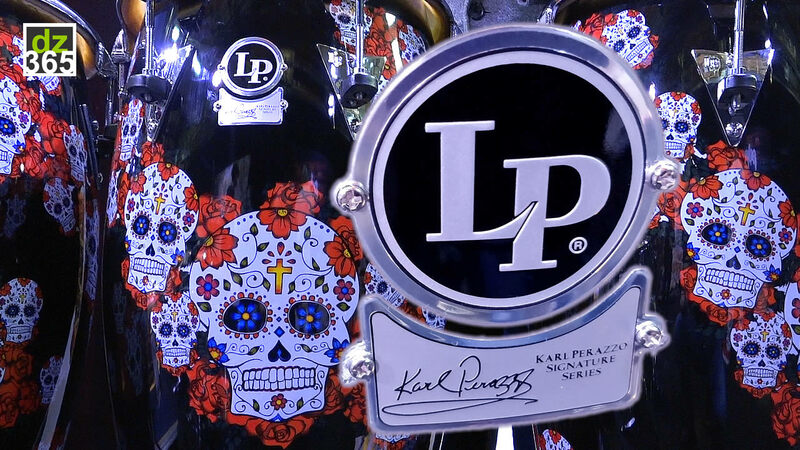 The album was completed in only four days. 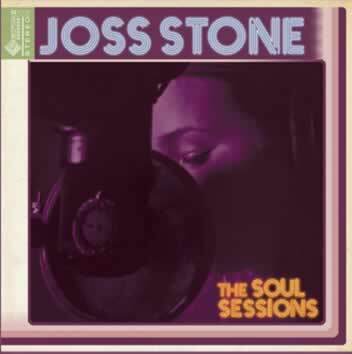 The Soul Sessions is a collection of classics and little-known soul gems alongside some contemporary tracks re-interpreted by Joss Stone and her titanic band of accomplices. 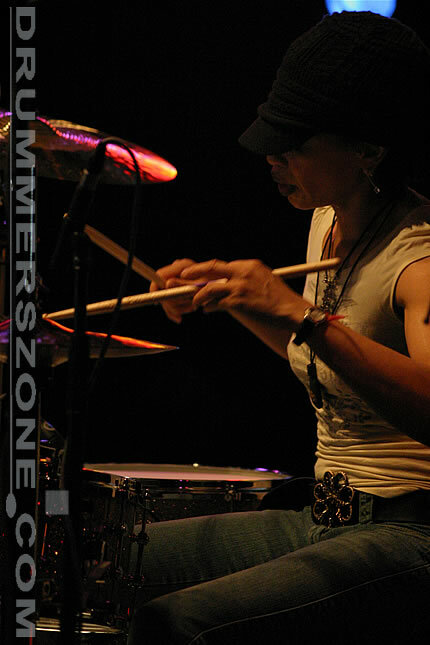 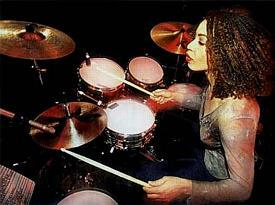 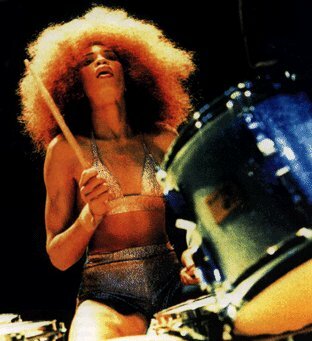 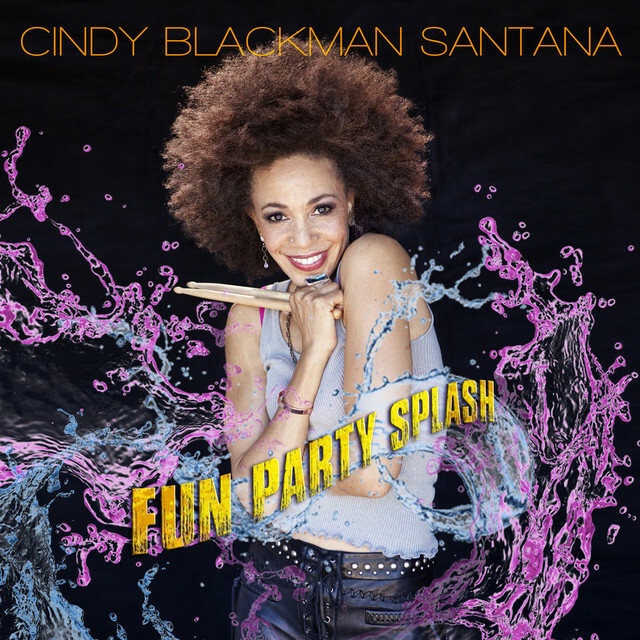 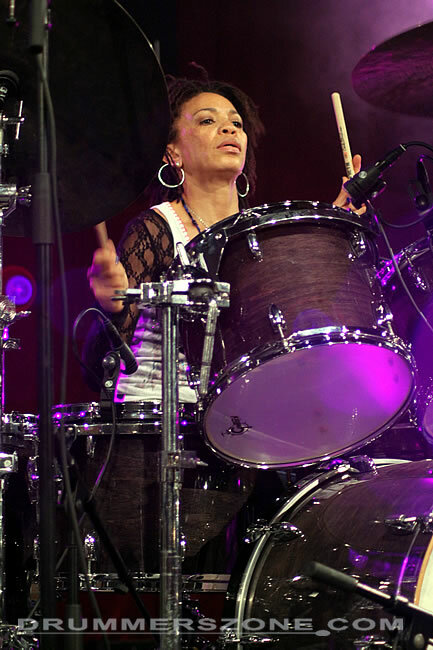 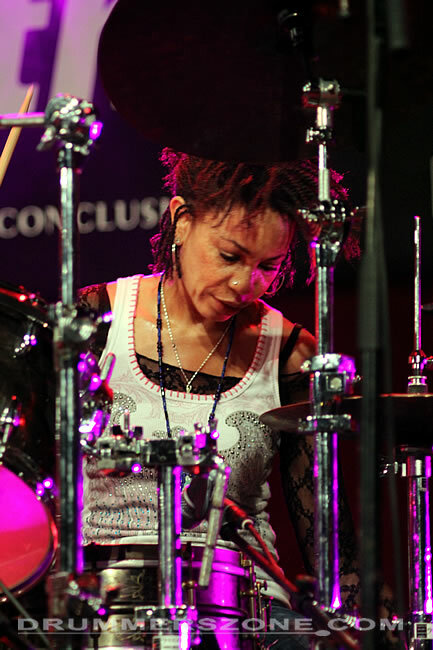 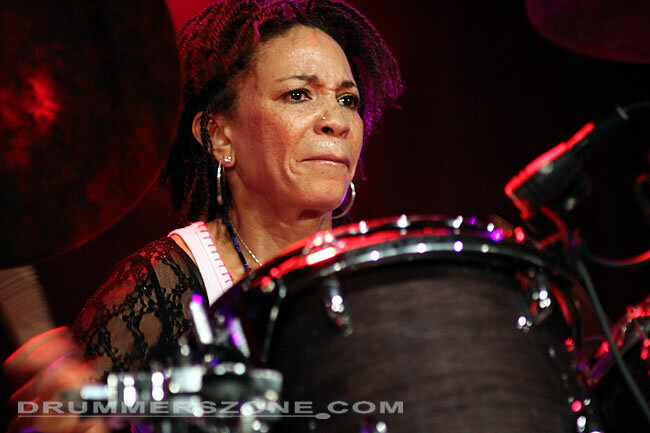 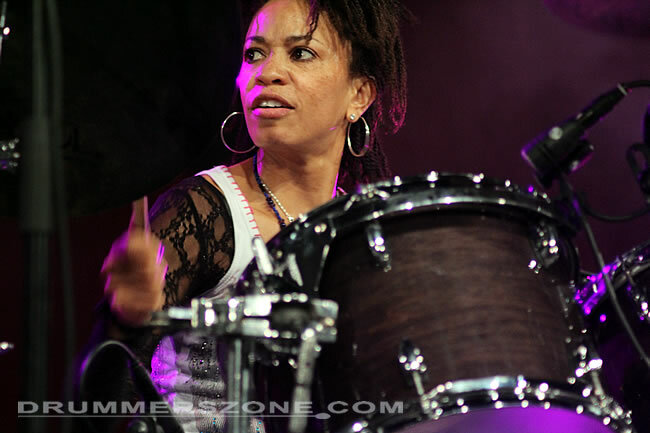 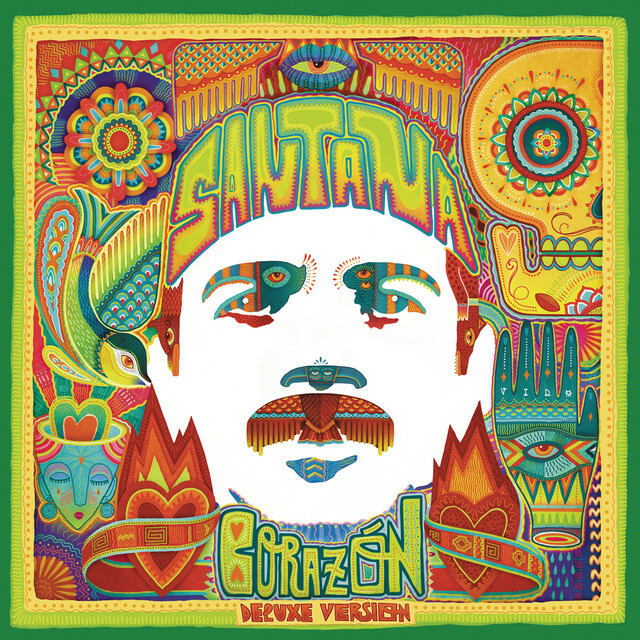 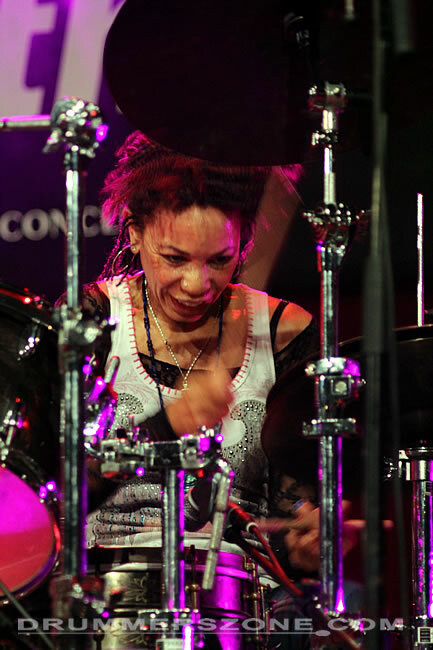 Welcome to the OFFICIAL Cindy Blackman Santana page. 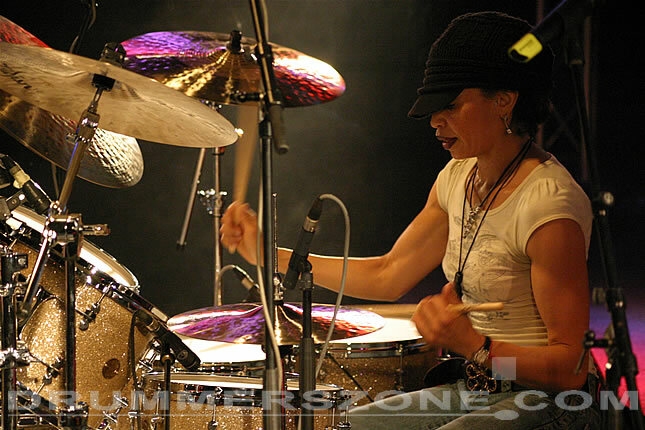 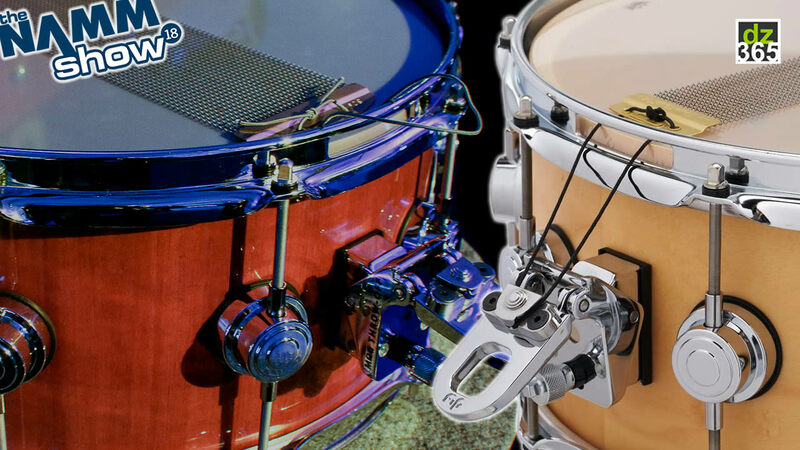 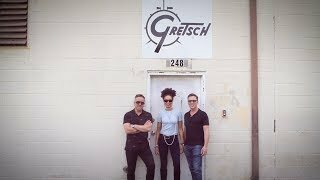 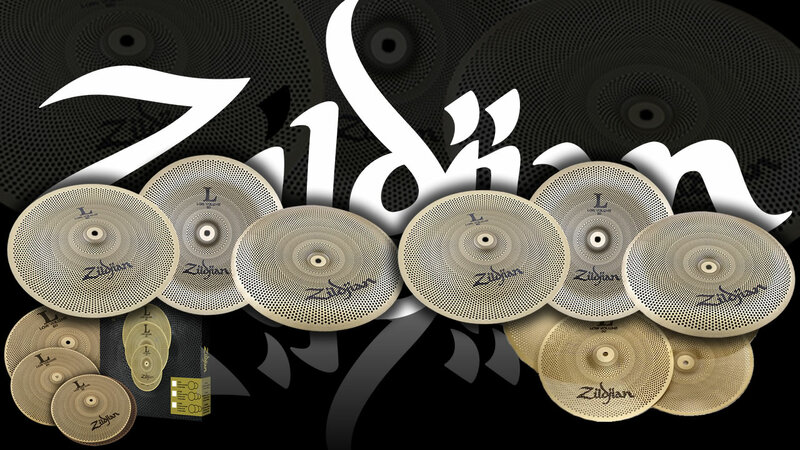 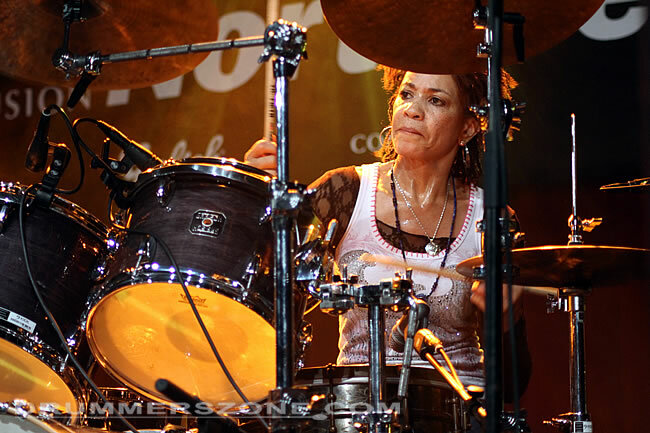 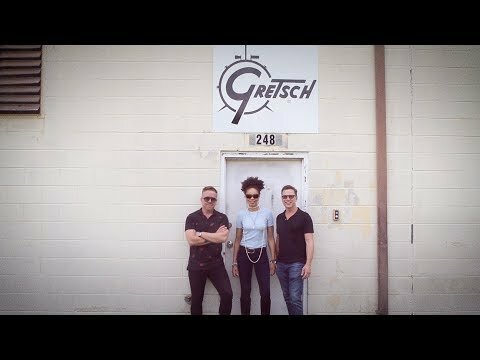 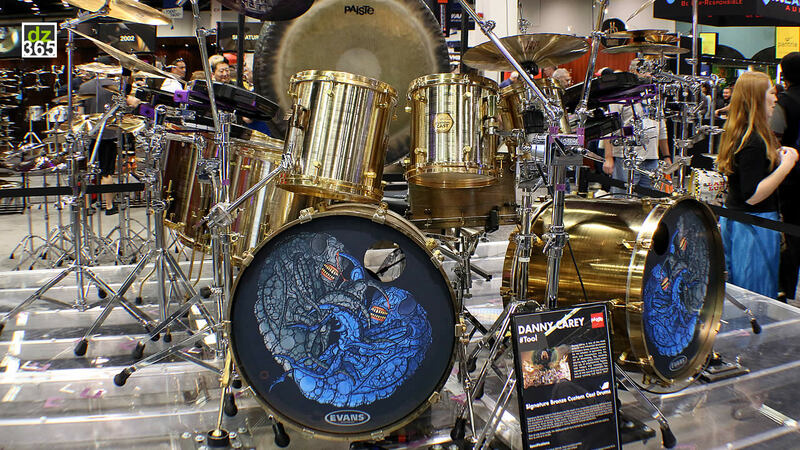 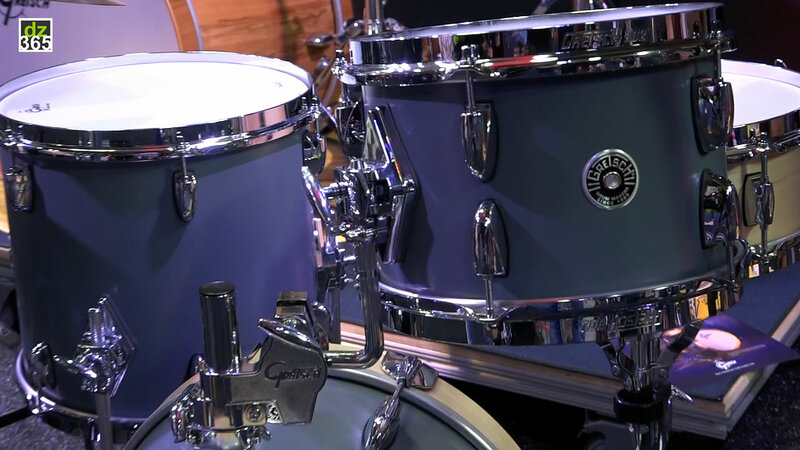 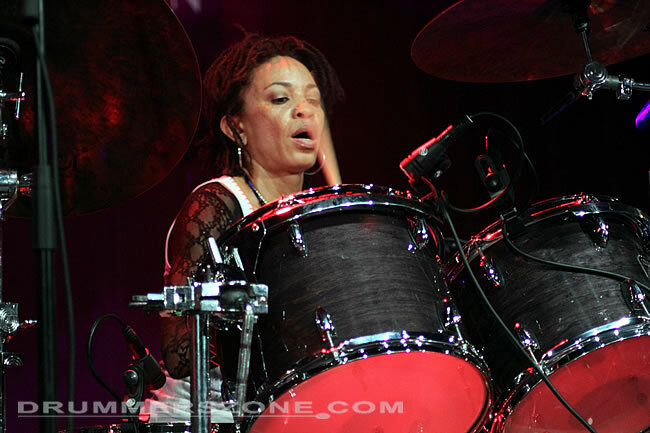 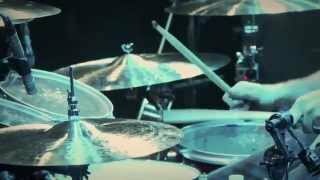 Cindy Blackman Santana plays Gretsch Drums & Istanbul Cymbals exclusively. 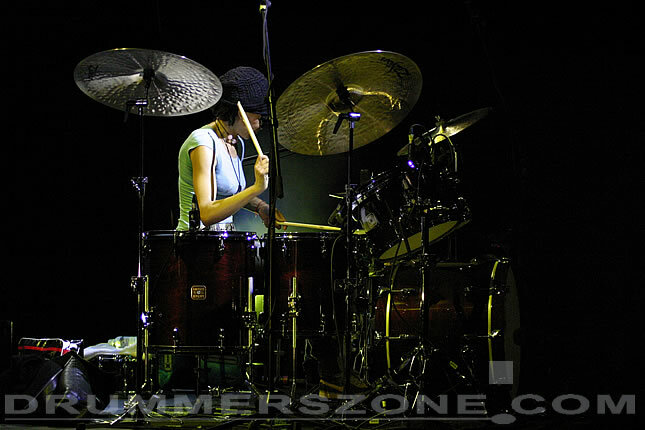 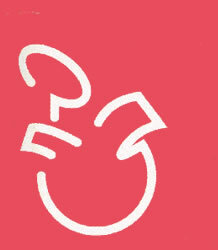 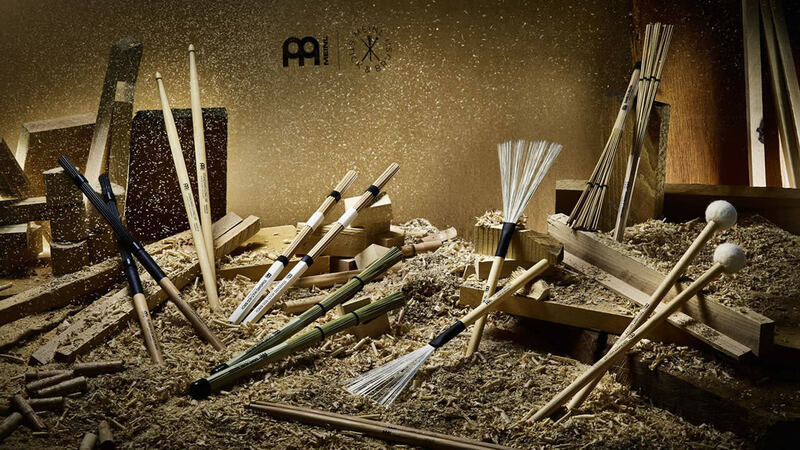 Her new line of cymbals is called 'Om'.